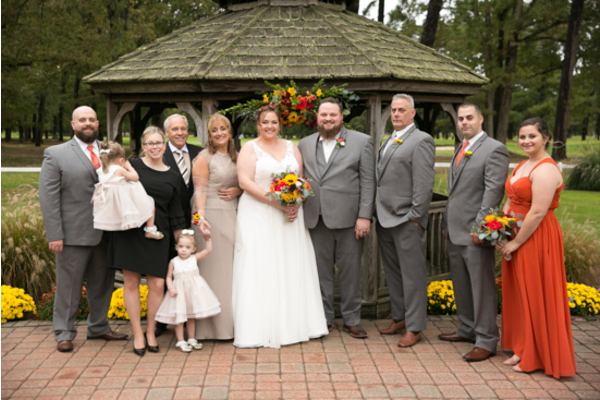 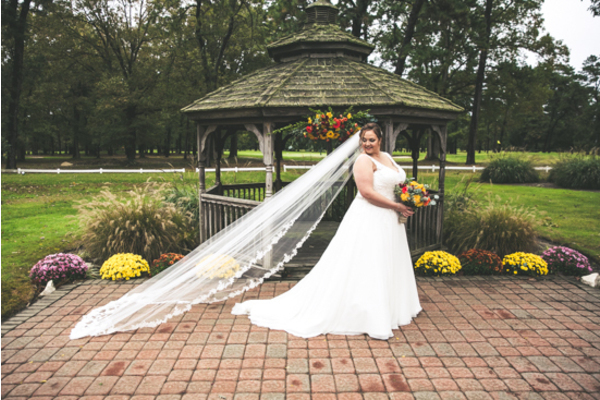 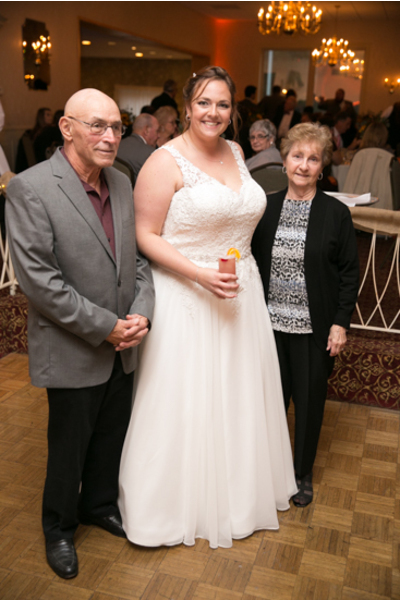 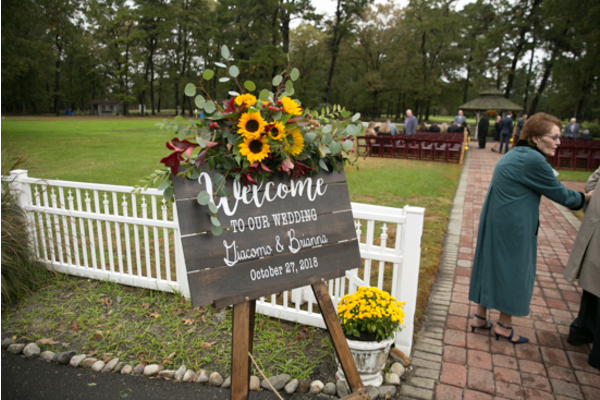 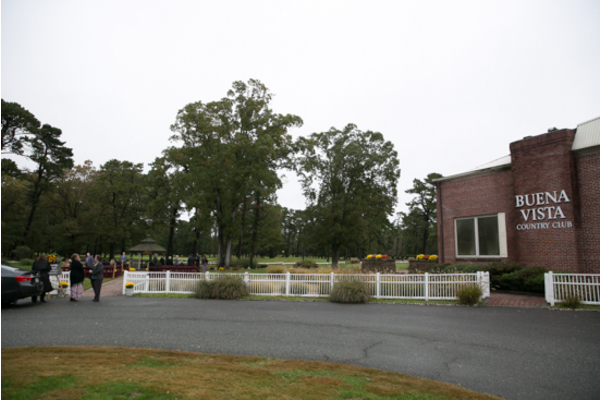 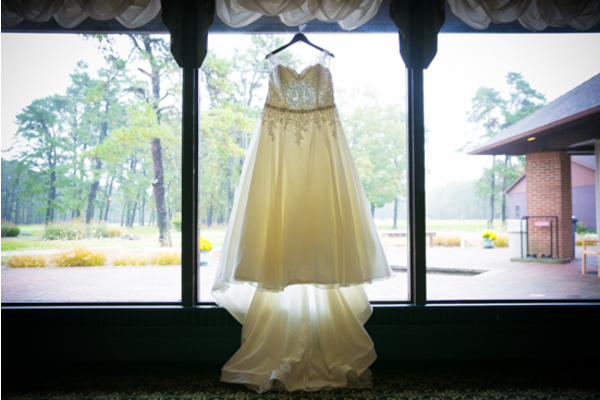 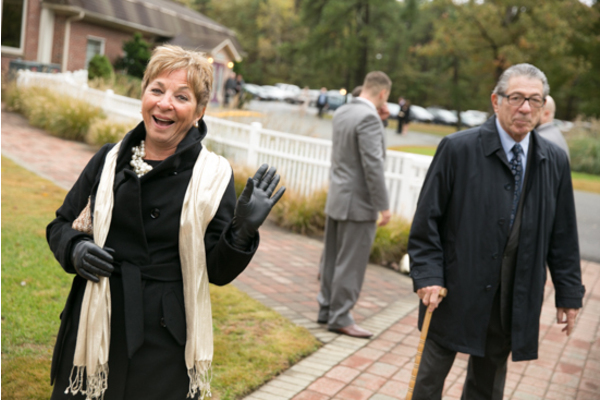 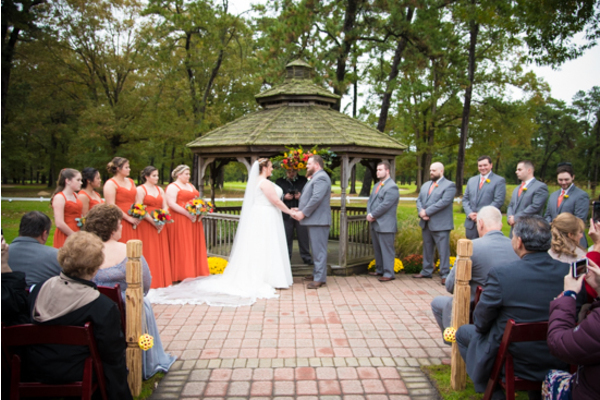 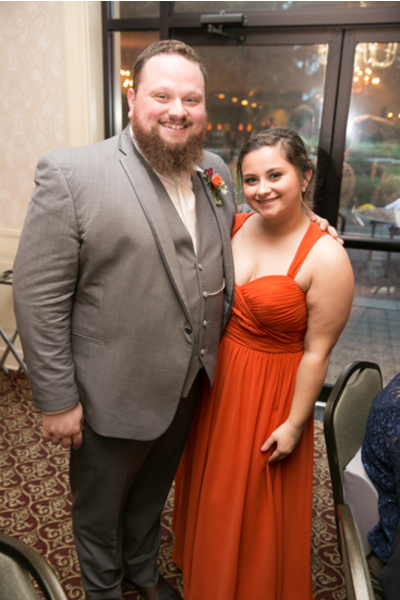 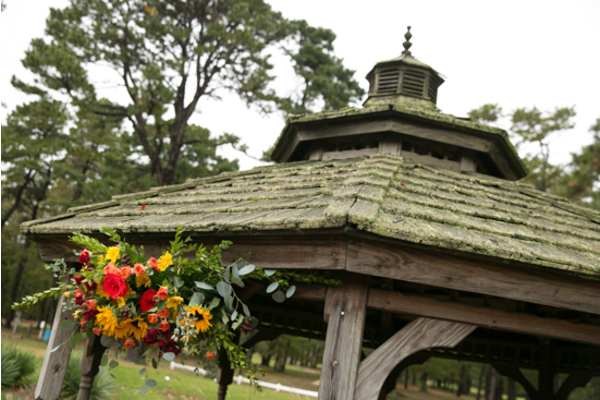 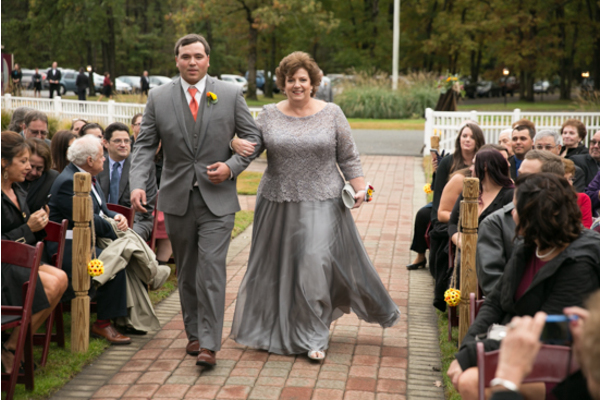 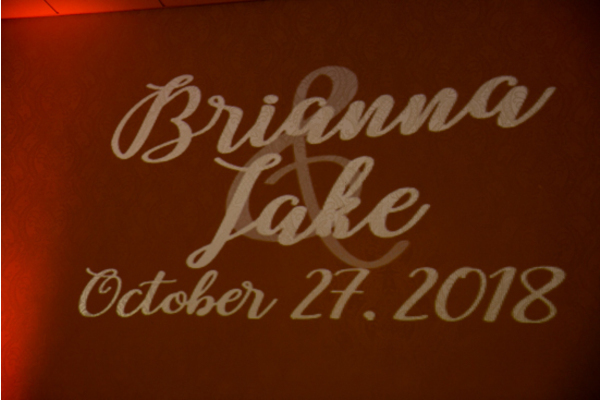 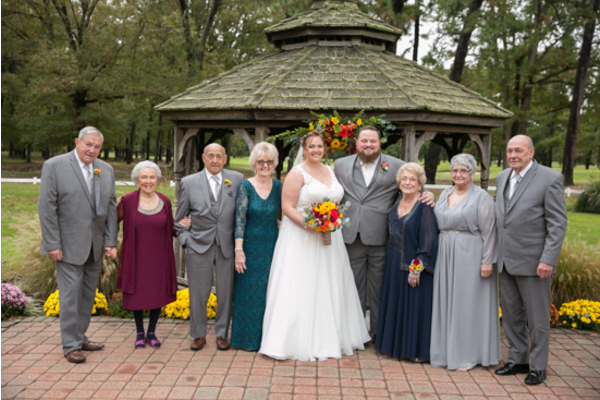 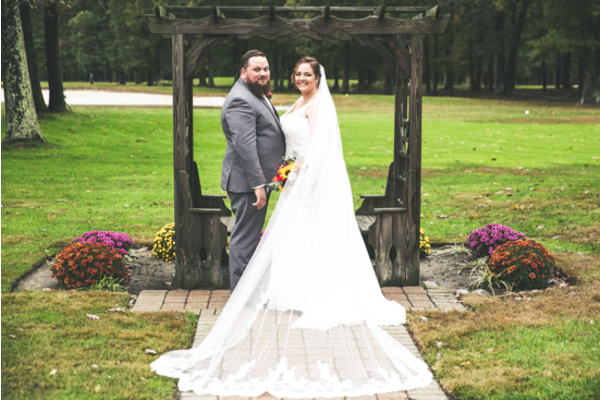 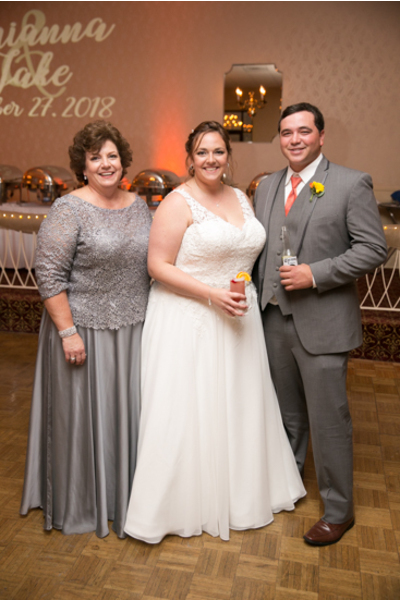 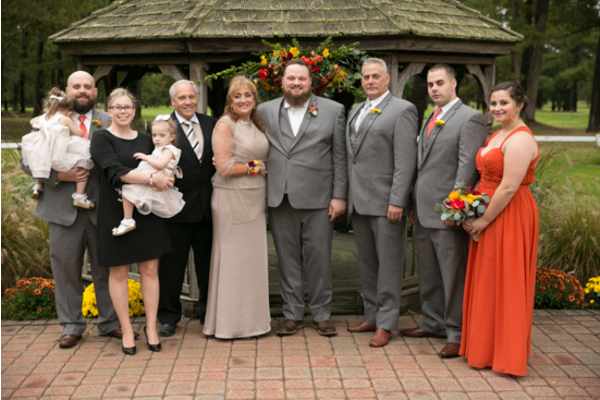 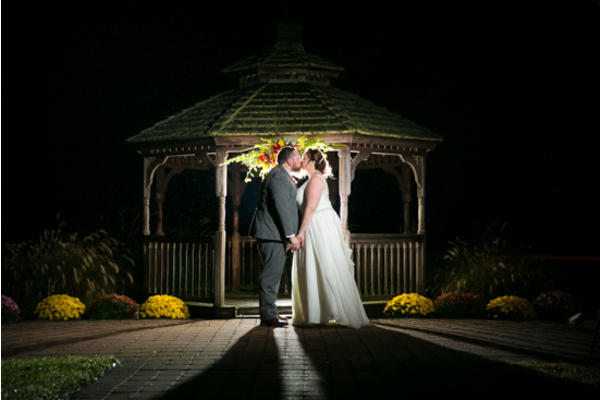 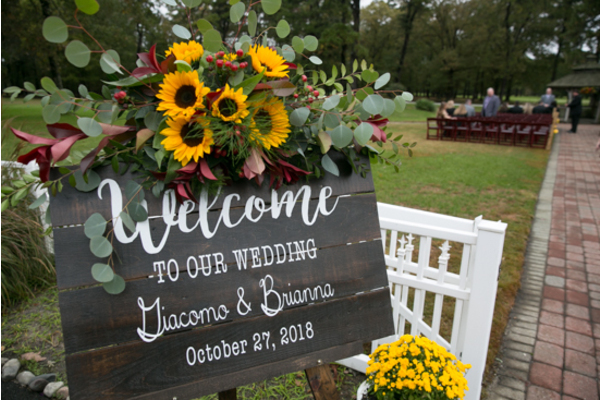 Congratulations to Brianna and Giacomo on their magnificent fall wedding! 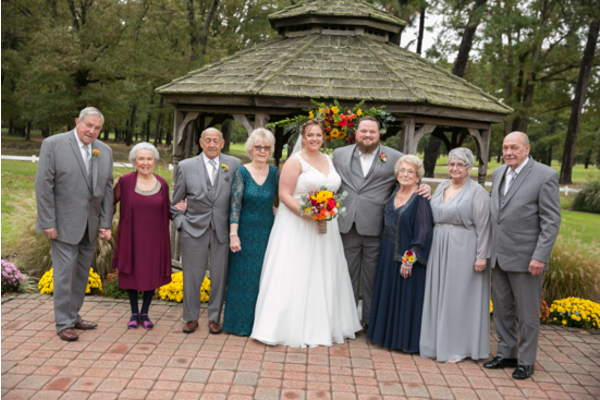 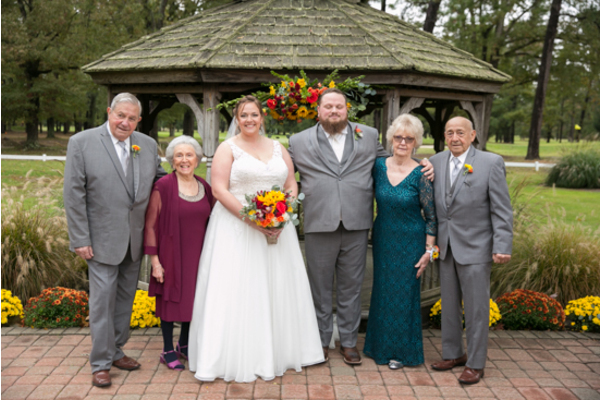 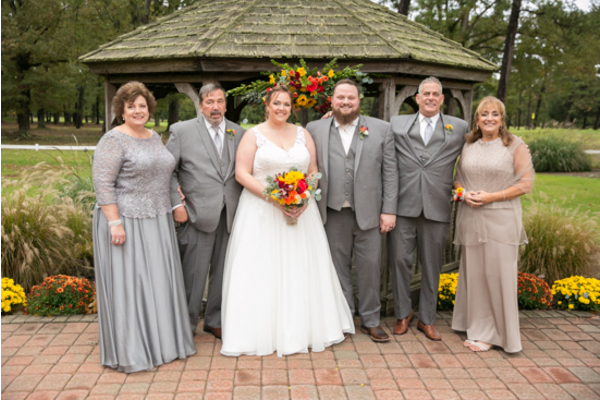 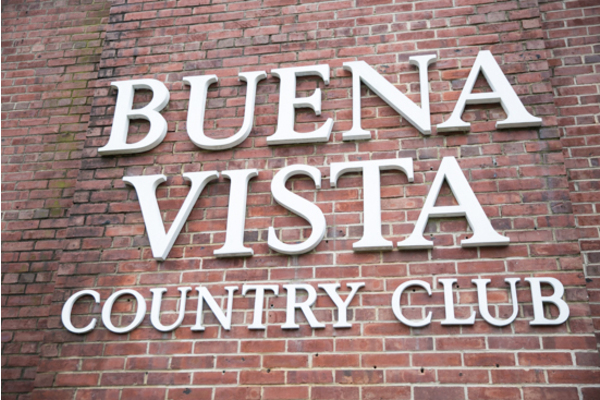 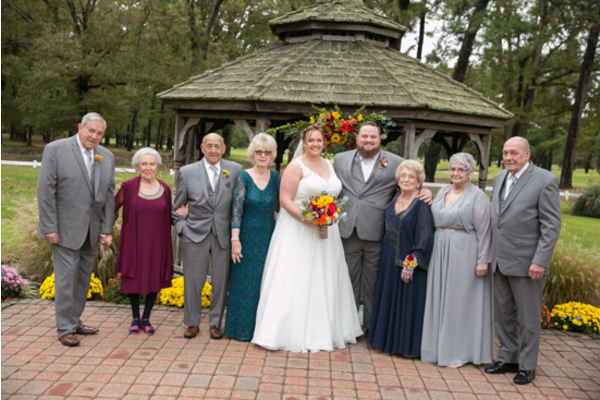 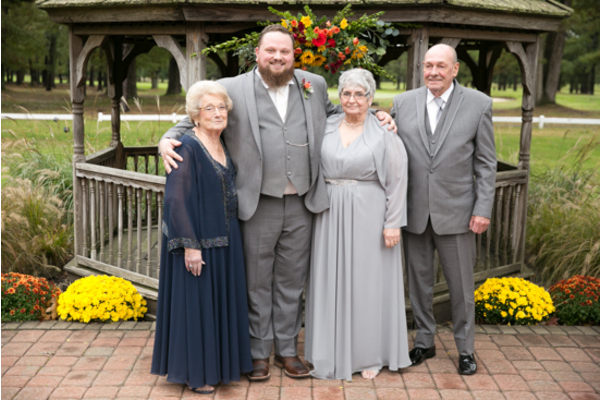 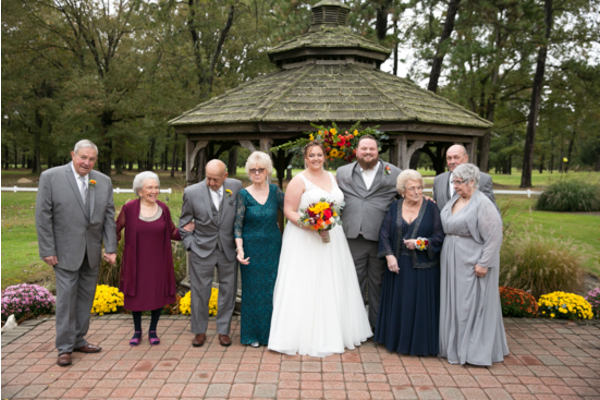 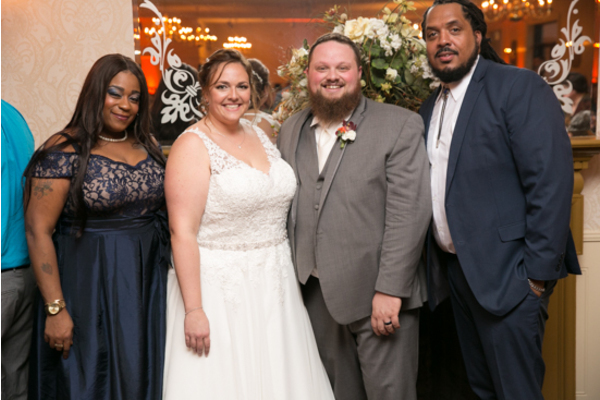 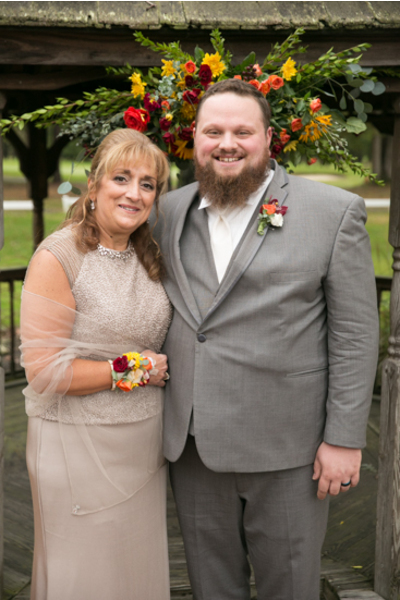 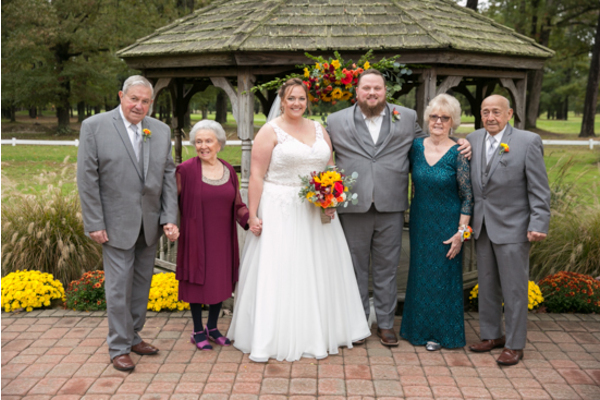 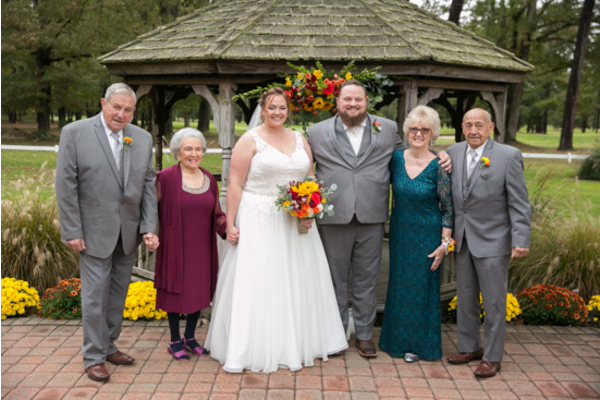 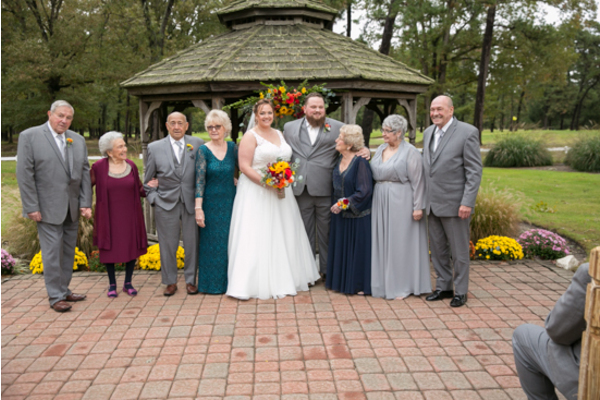 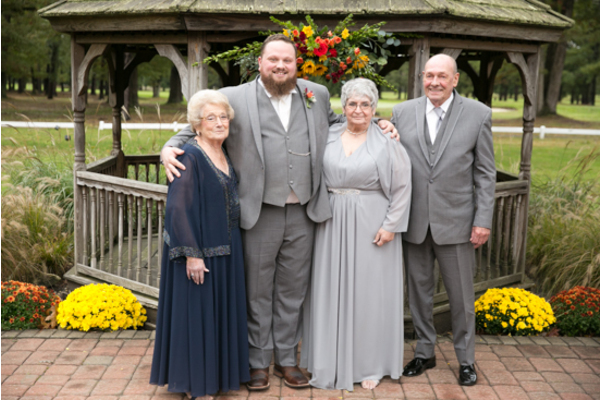 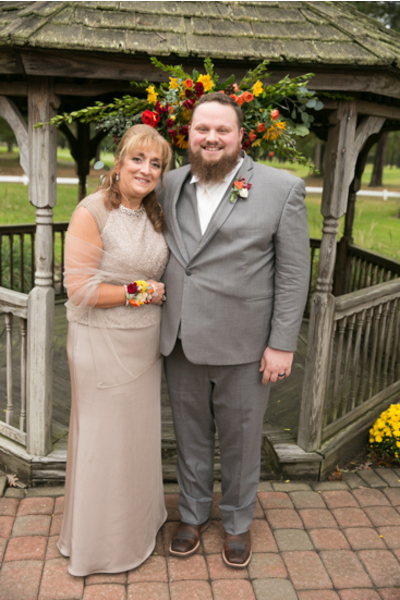 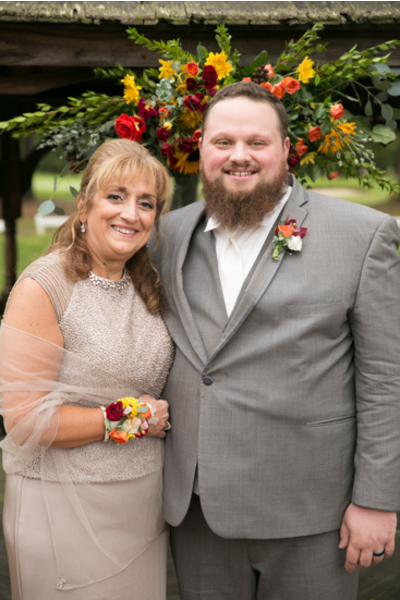 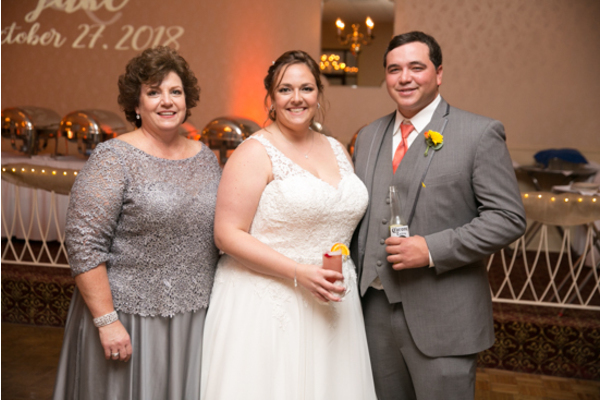 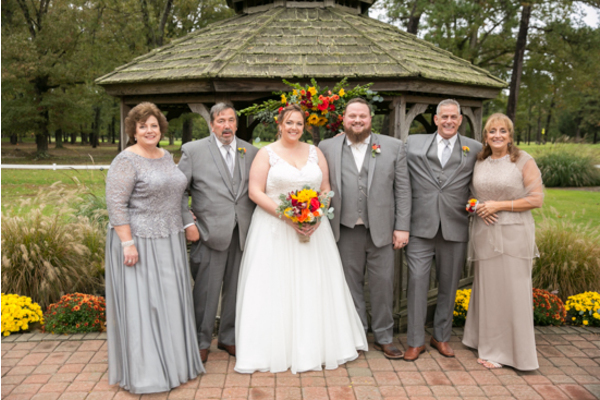 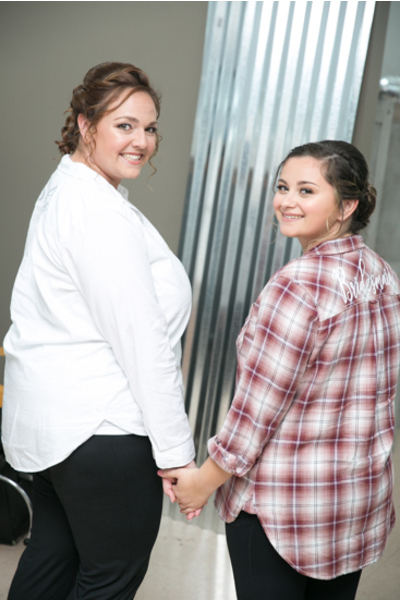 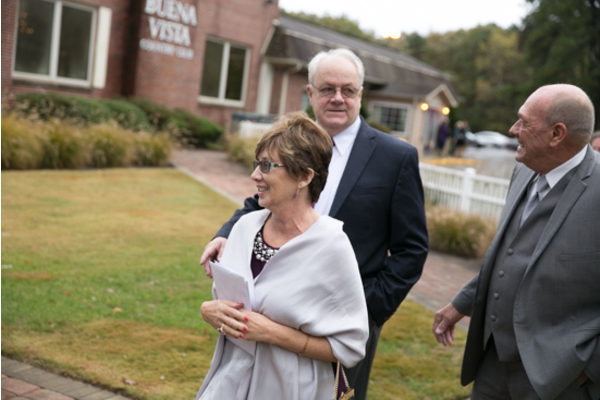 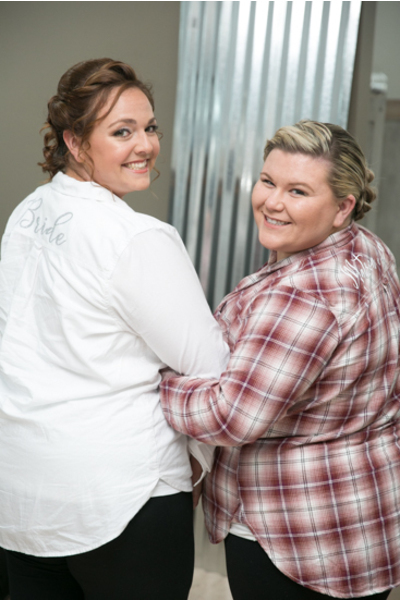 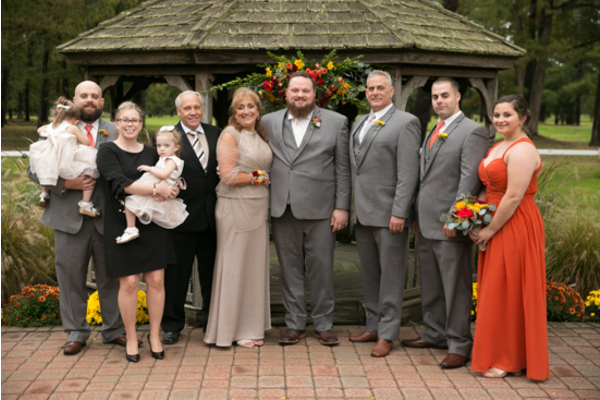 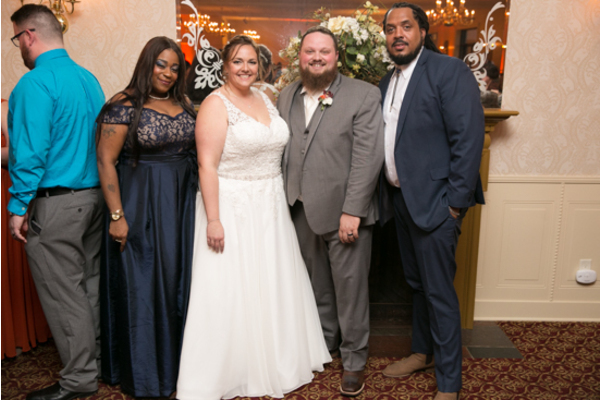 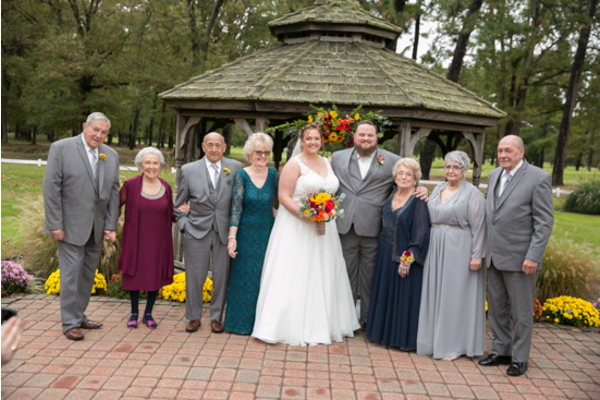 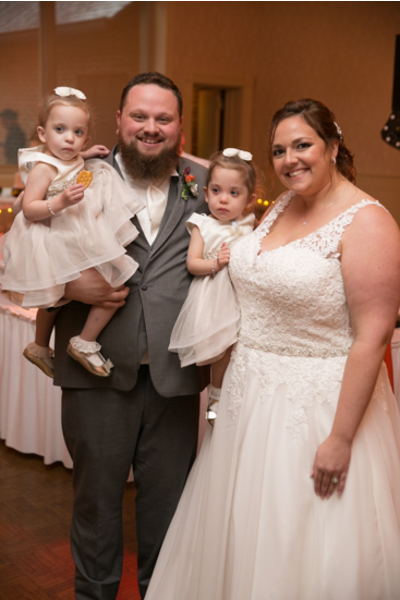 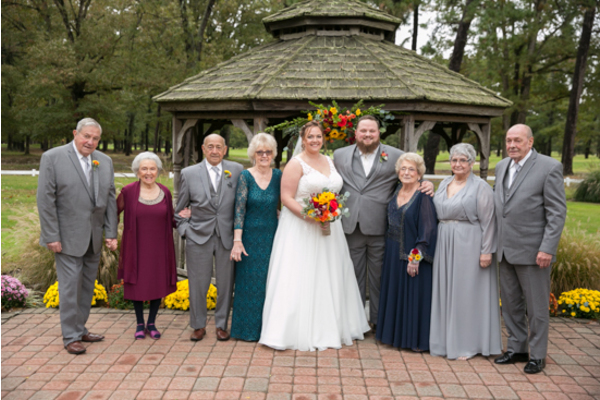 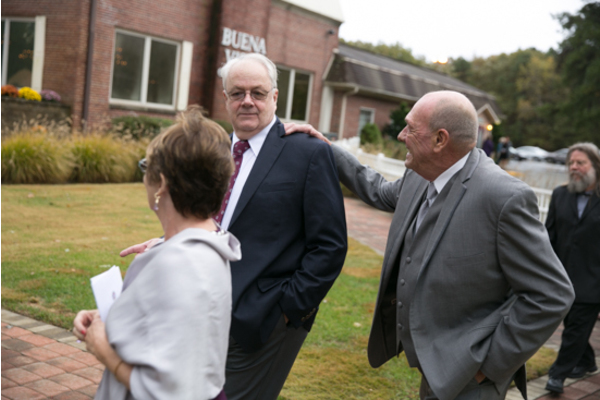 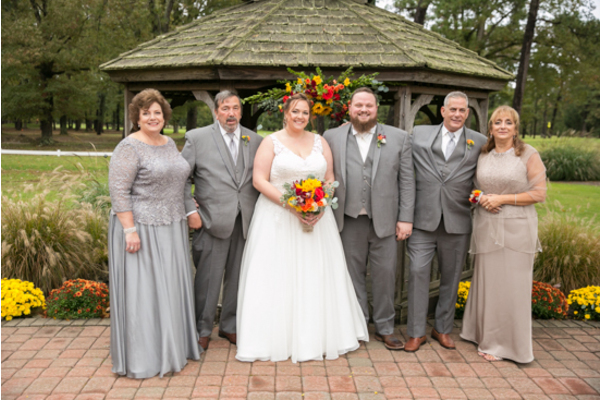 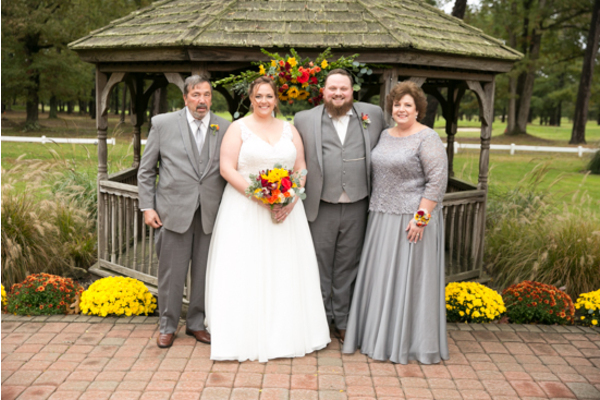 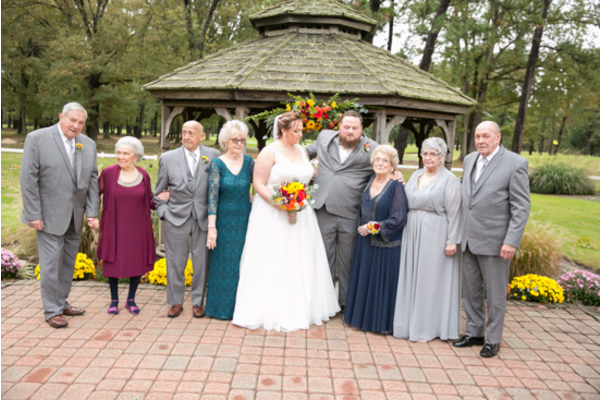 They tied the knot on October 27th, 2018 at Buena Vista Country Club. 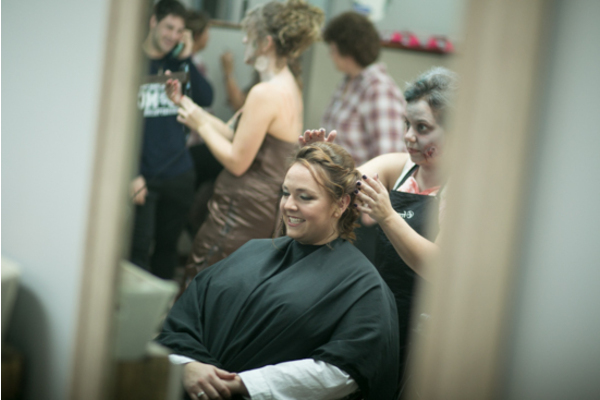 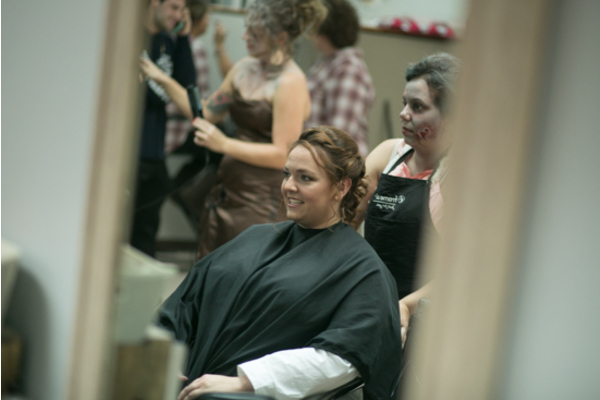 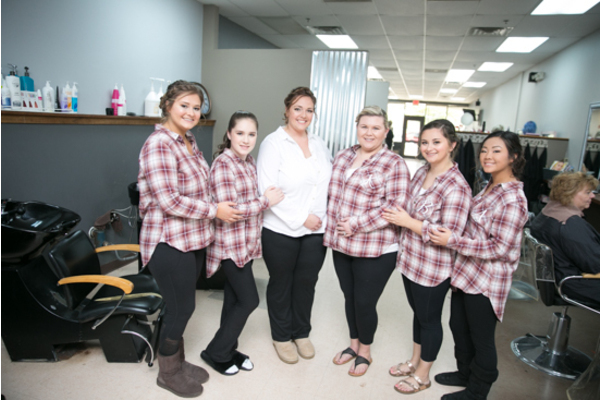 Surrounded by her loved ones, Brianna started her day being pampered. 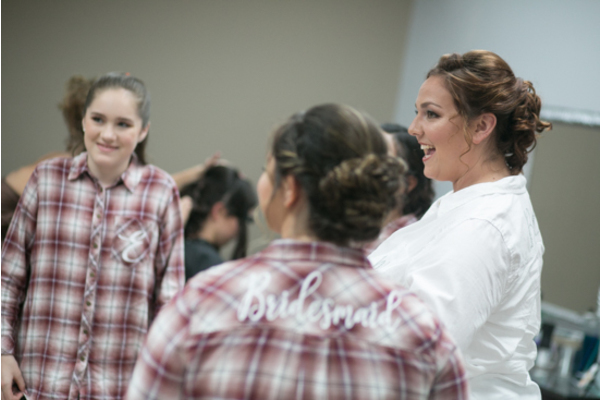 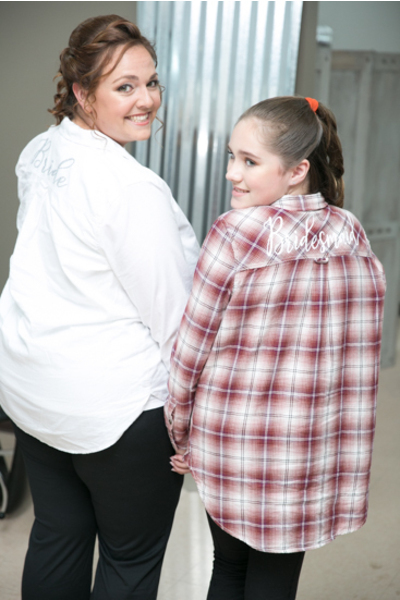 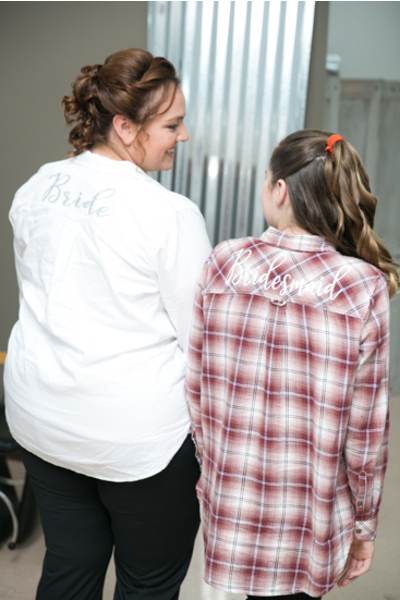 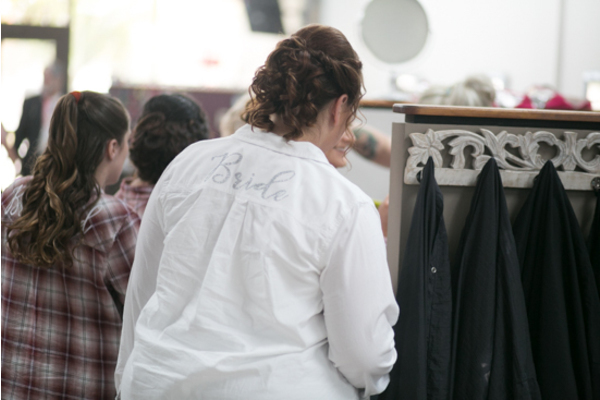 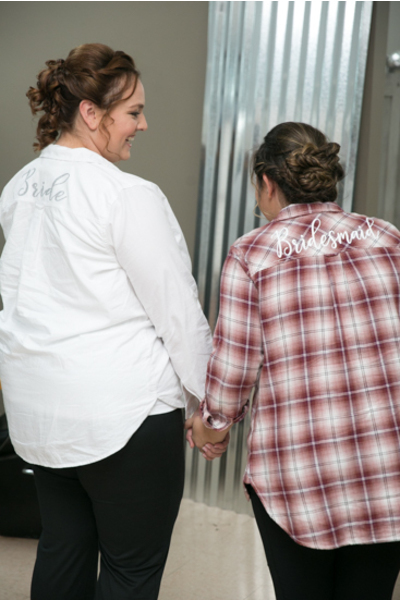 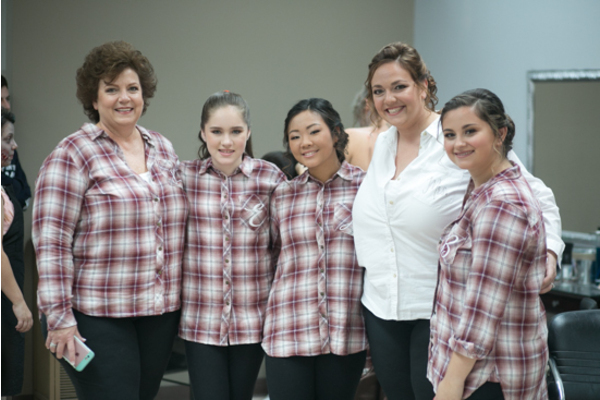 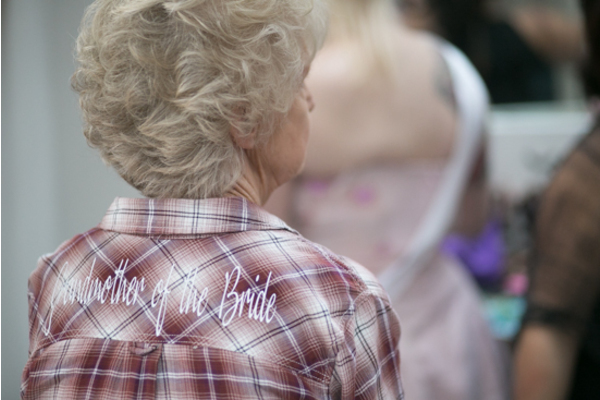 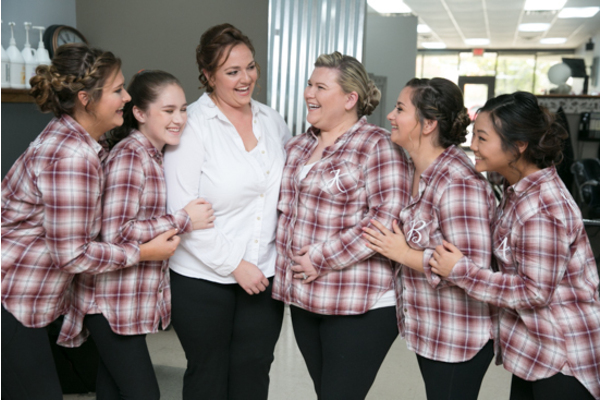 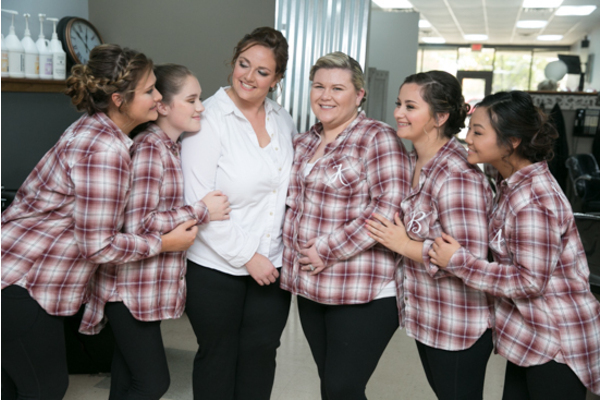 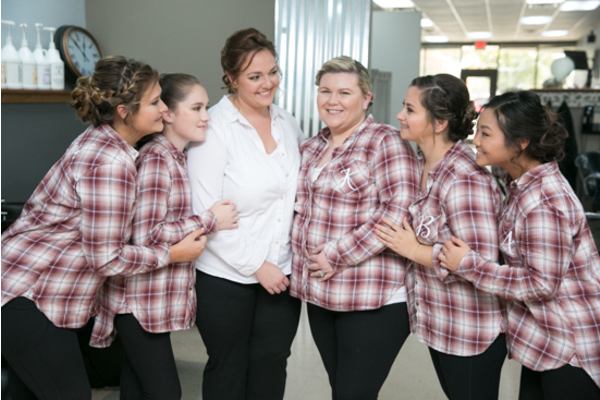 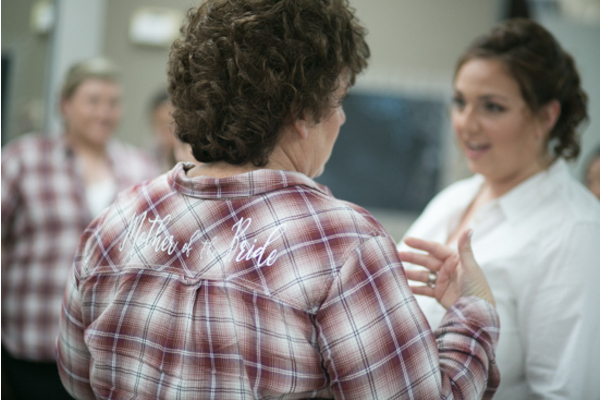 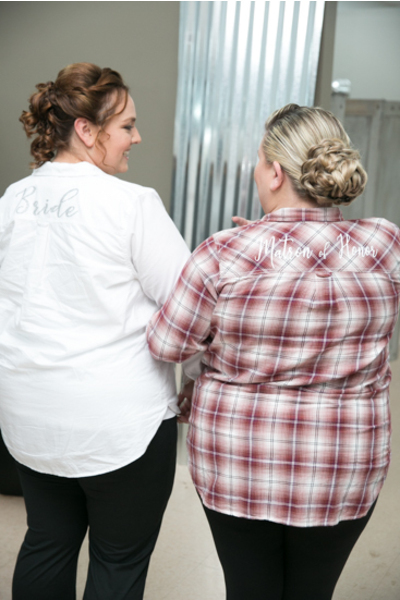 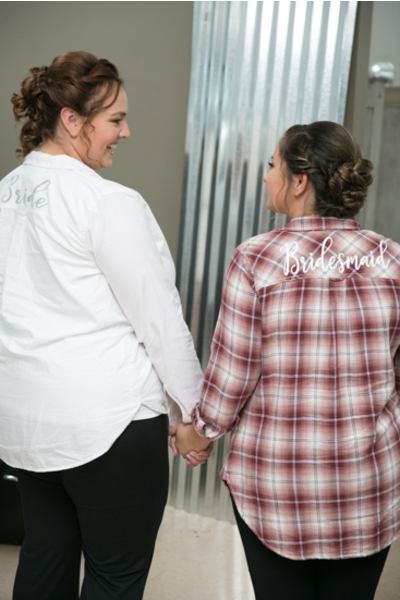 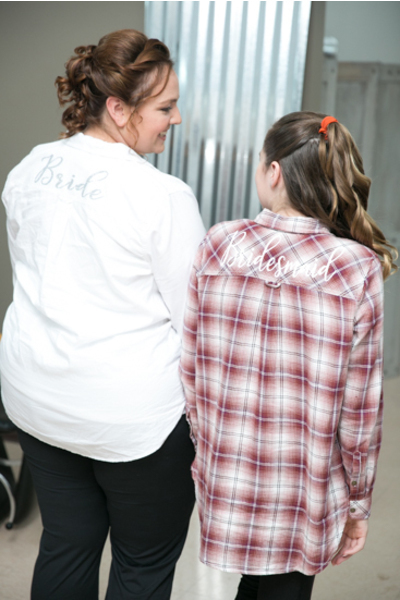 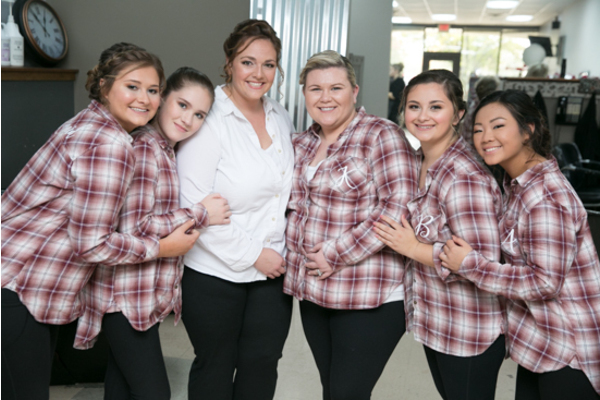 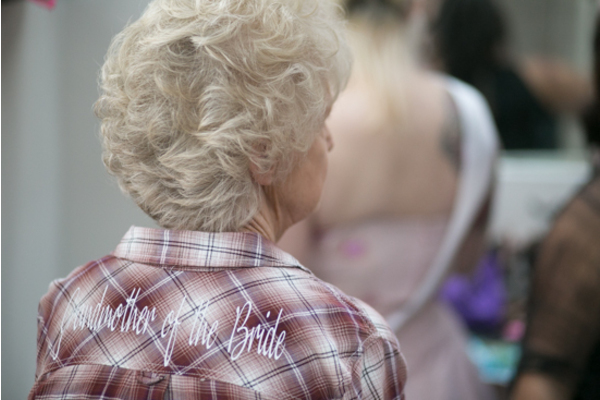 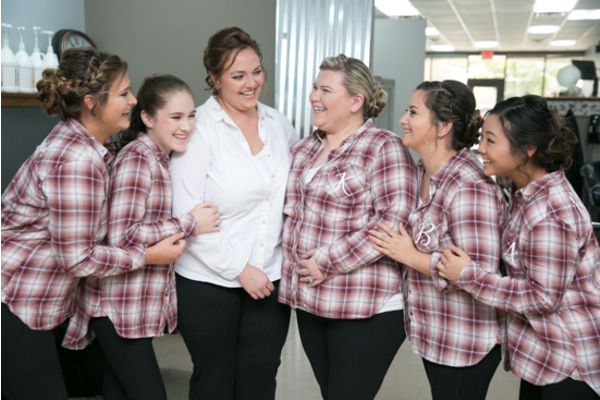 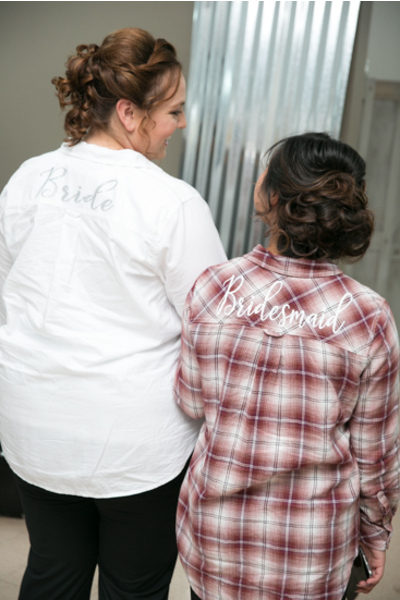 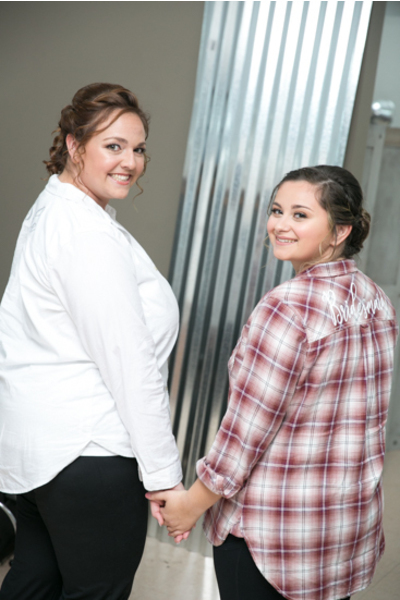 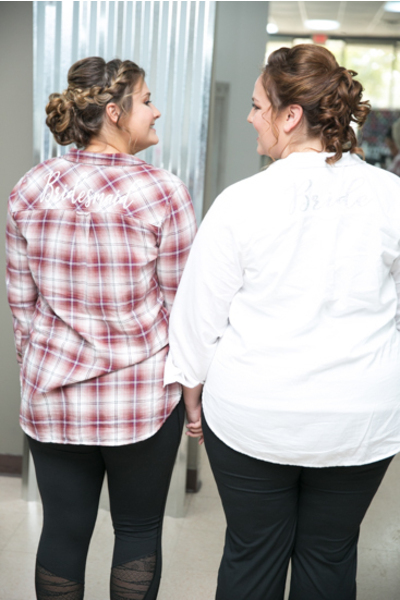 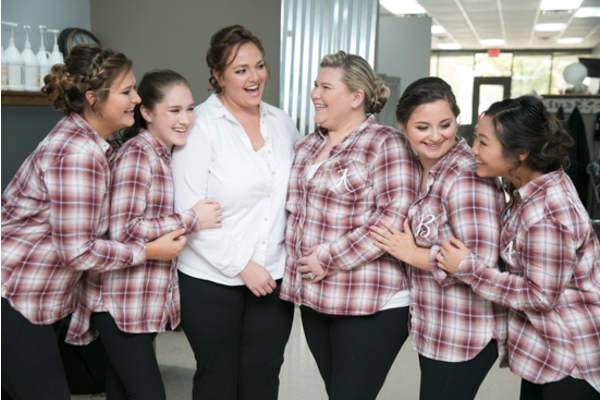 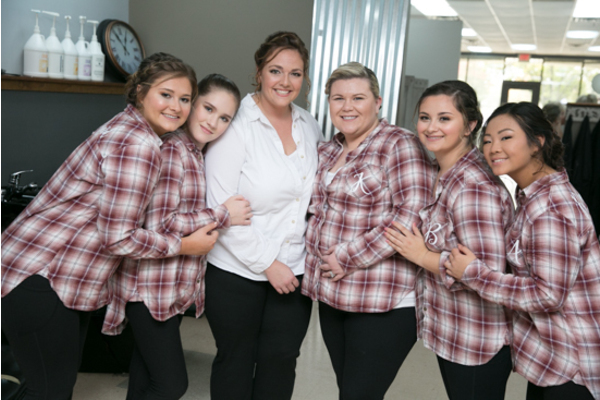 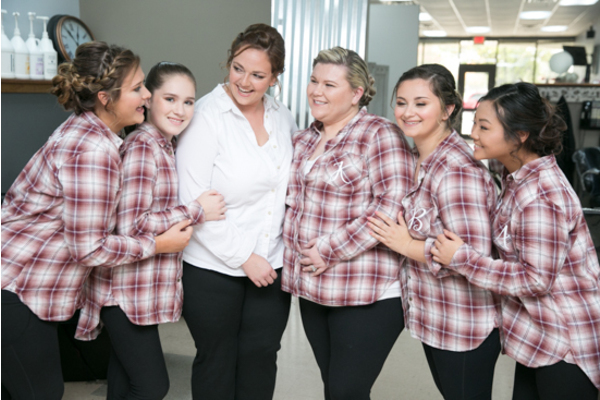 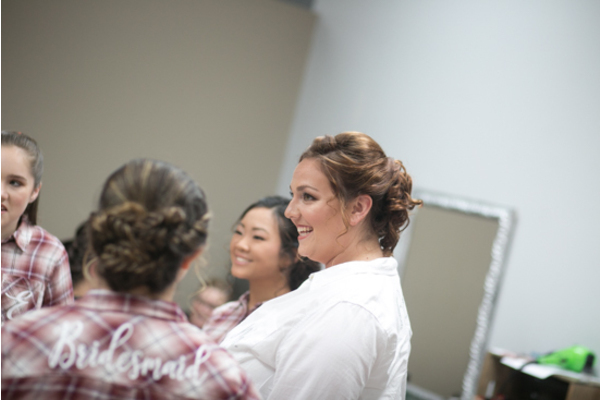 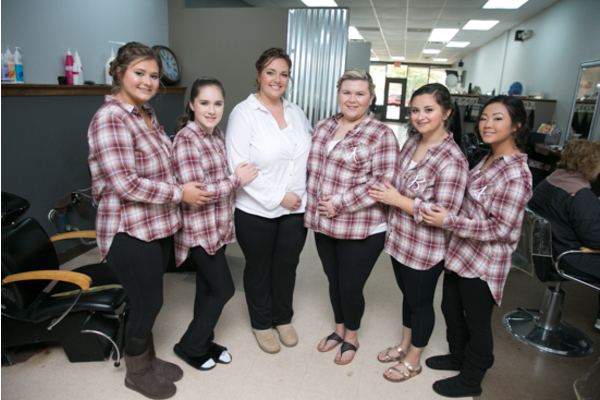 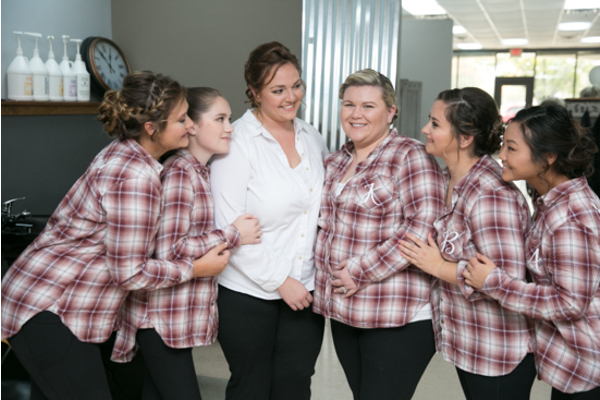 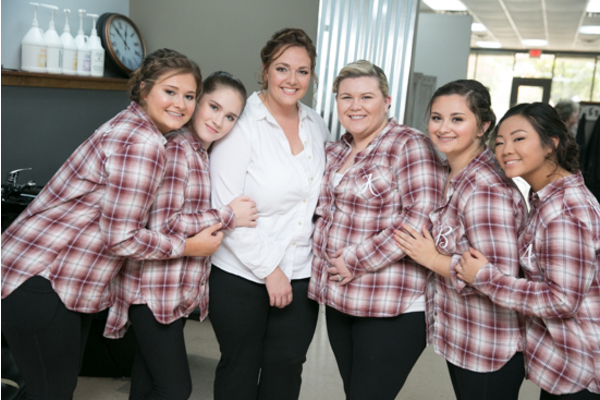 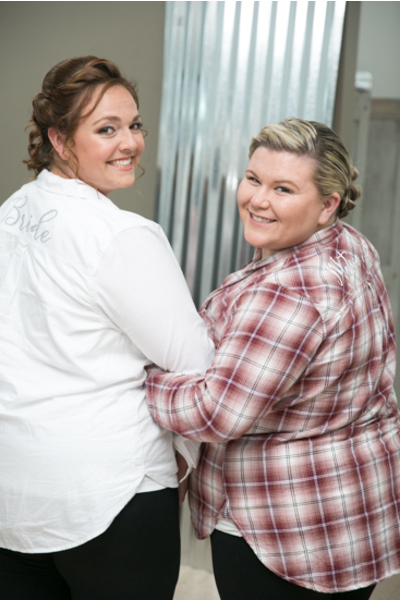 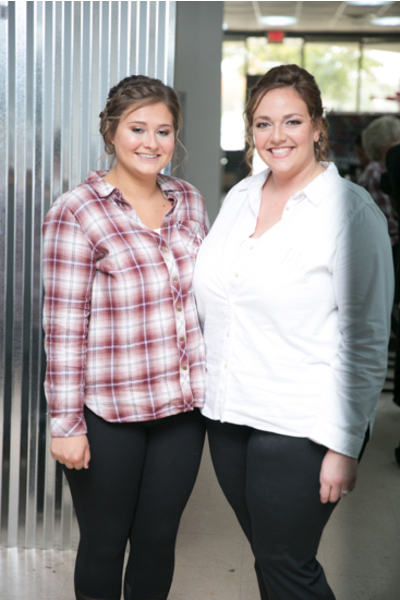 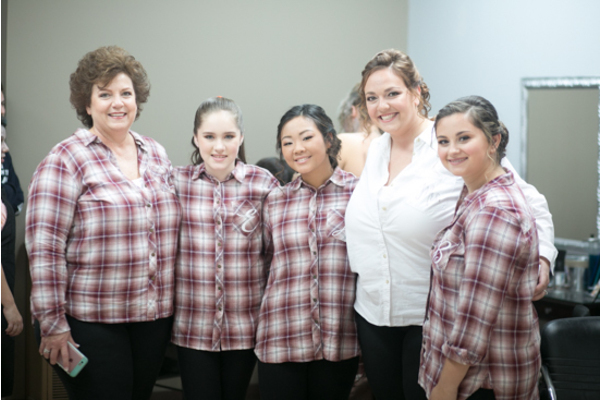 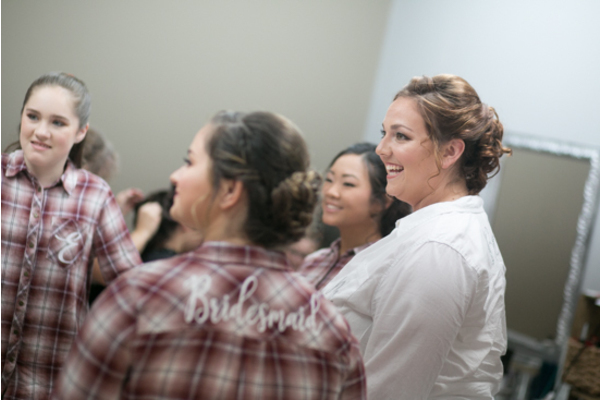 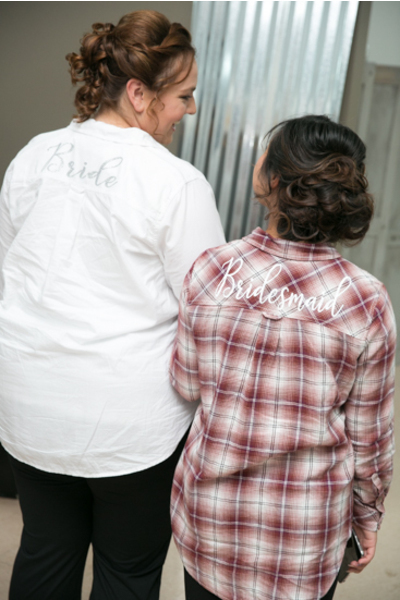 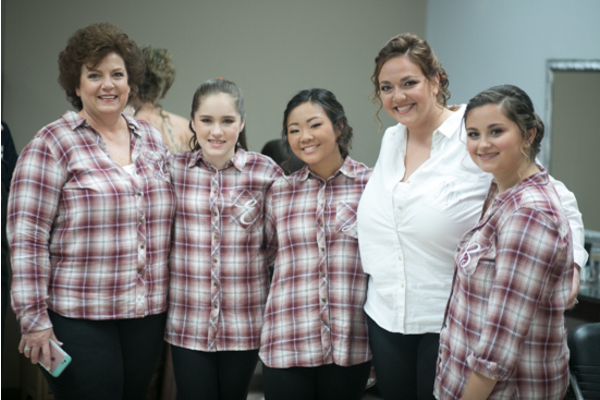 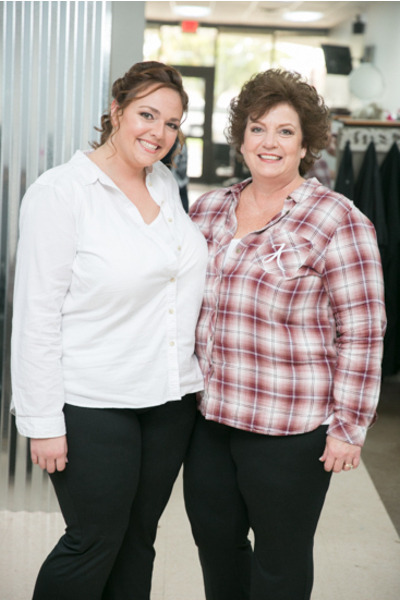 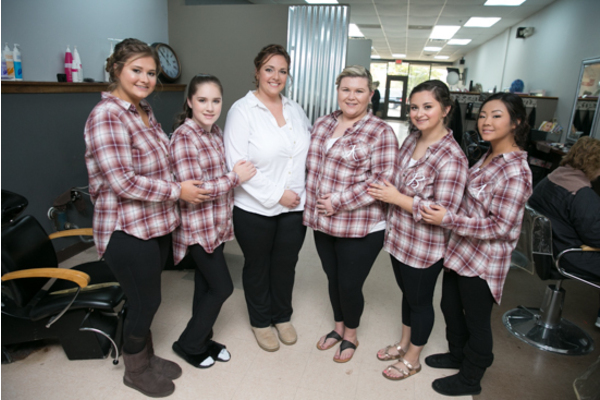 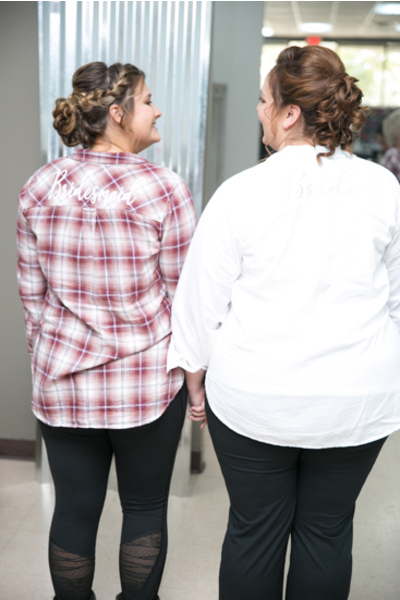 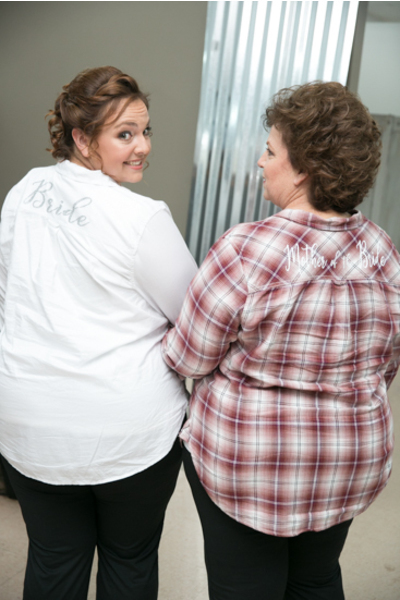 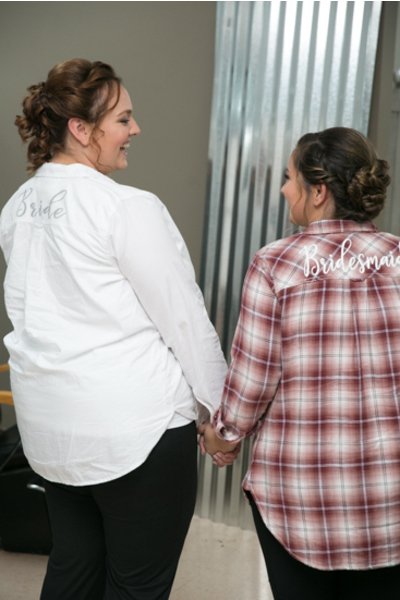 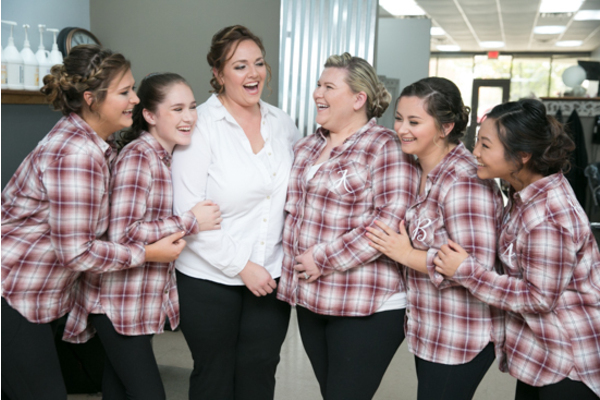 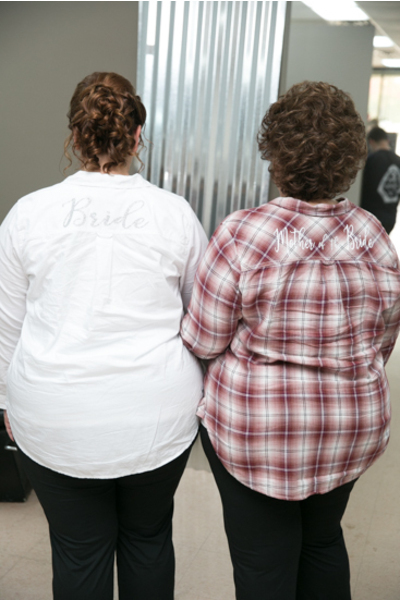 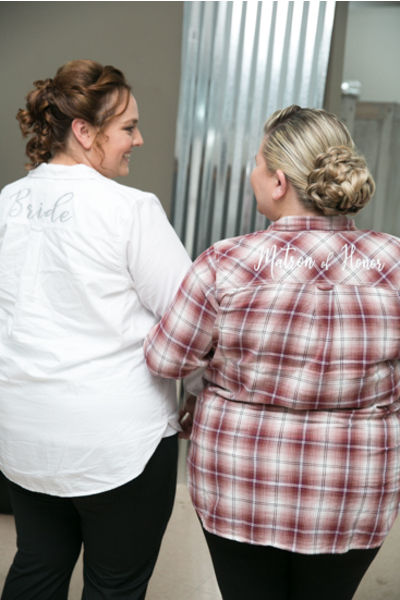 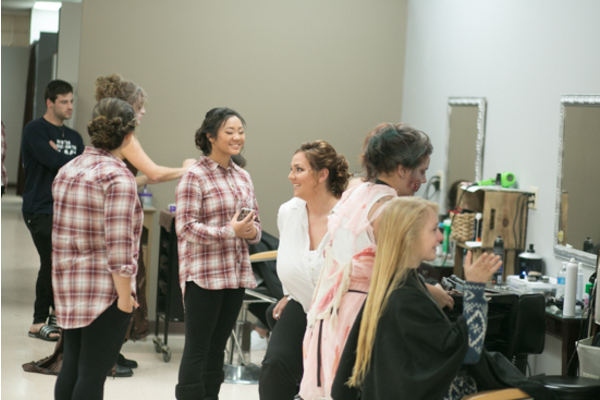 Each of her lovely bridesmaids were dressed in cozy red and white flannels. 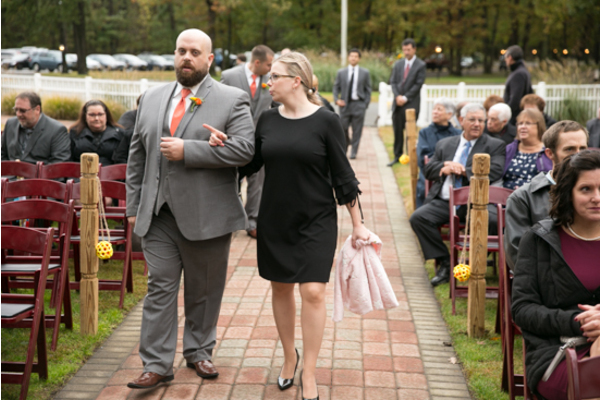 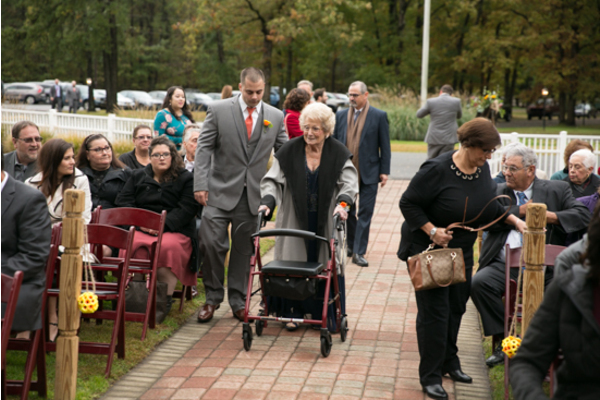 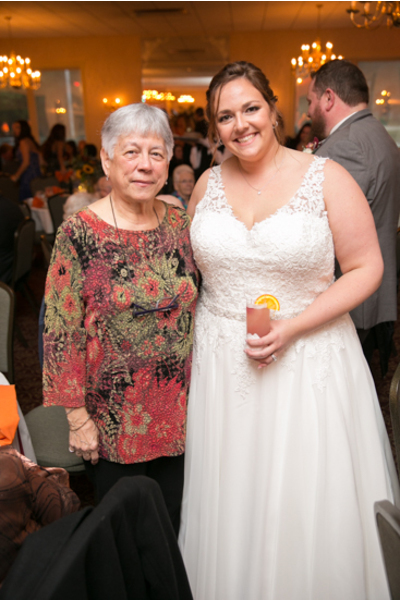 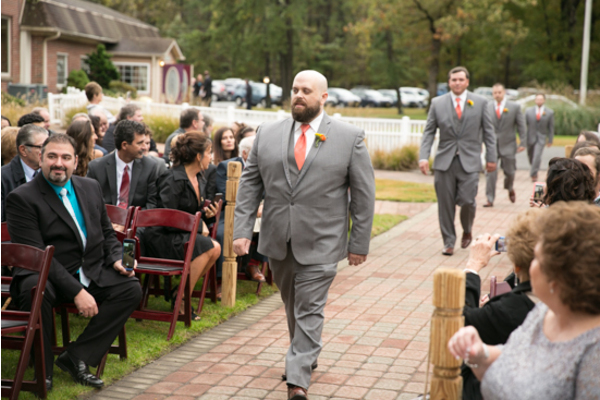 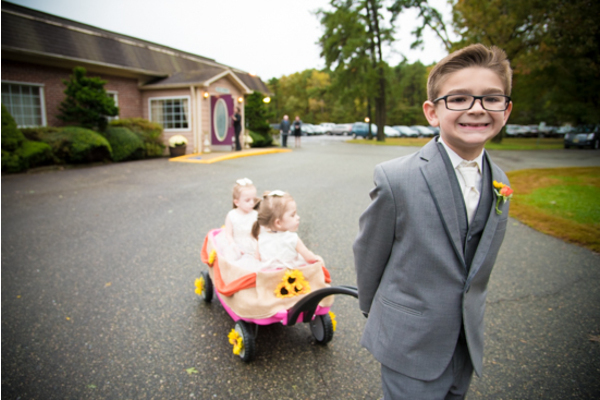 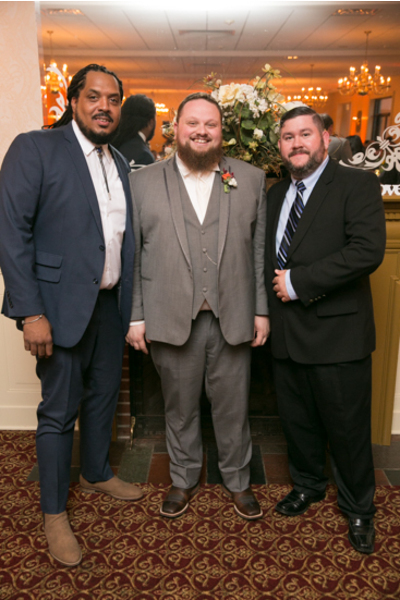 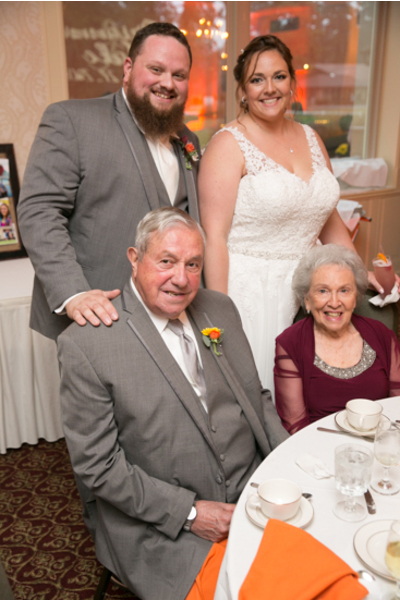 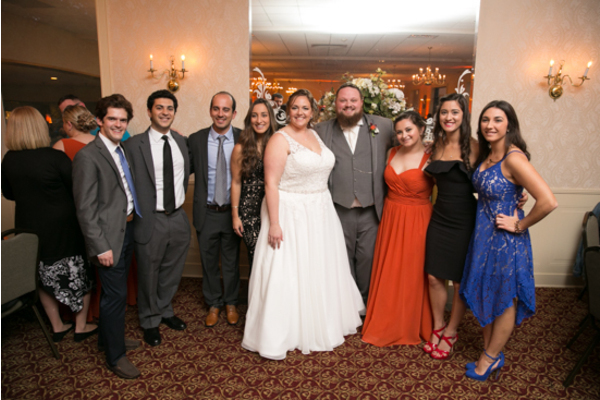 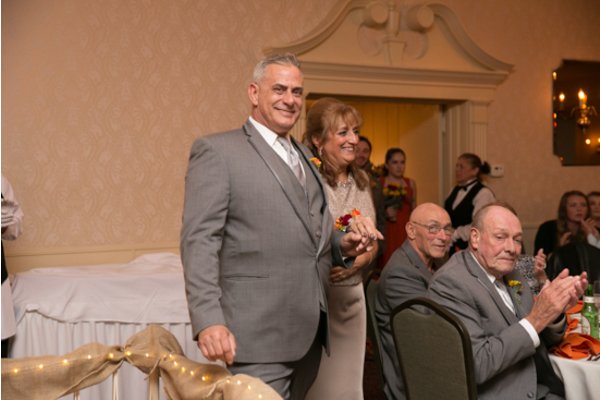 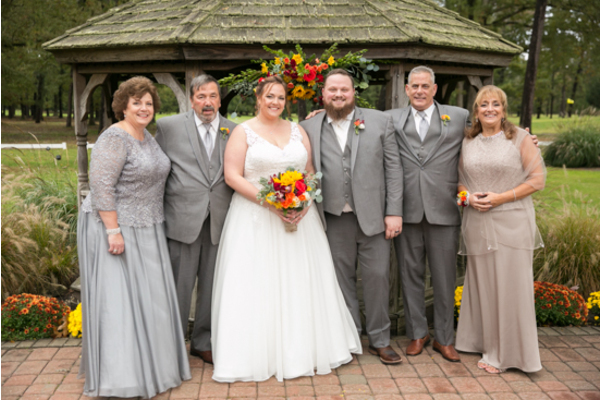 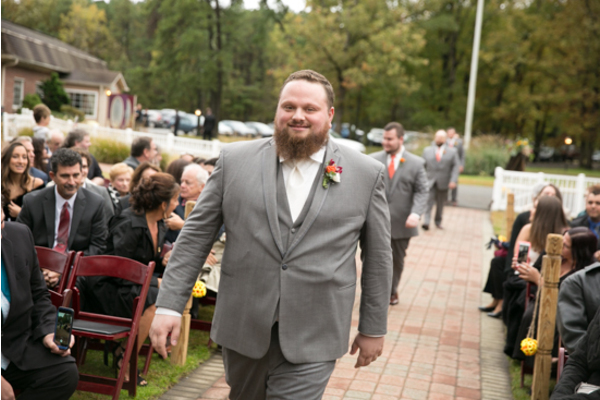 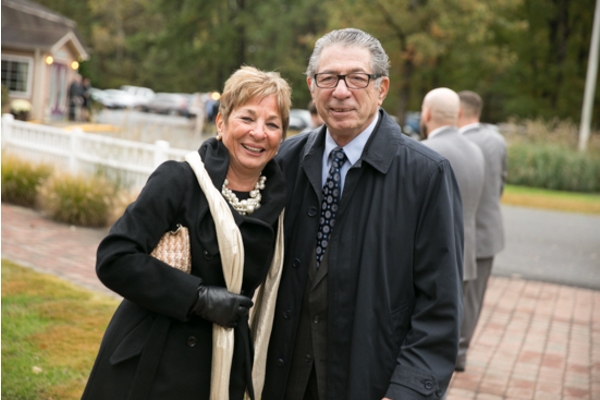 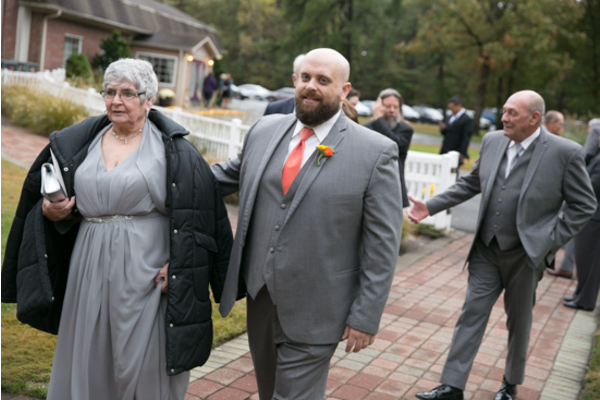 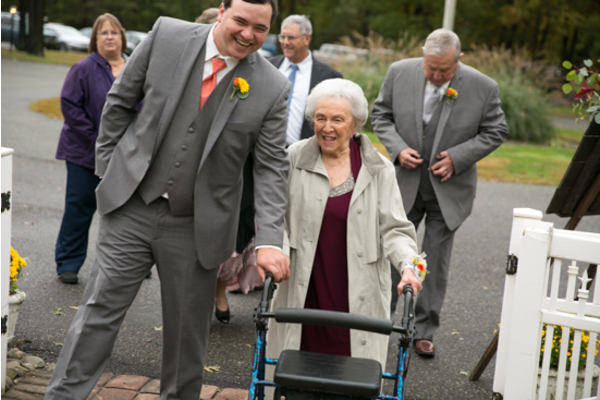 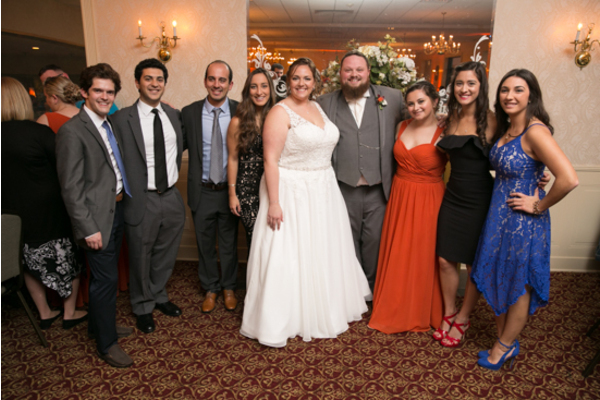 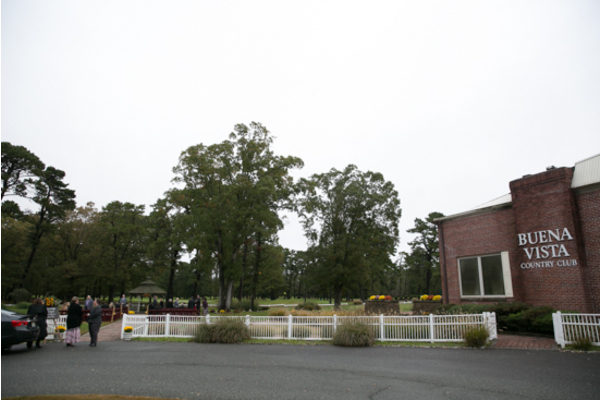 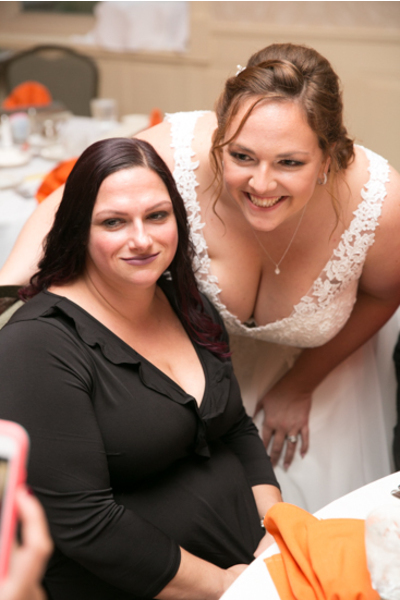 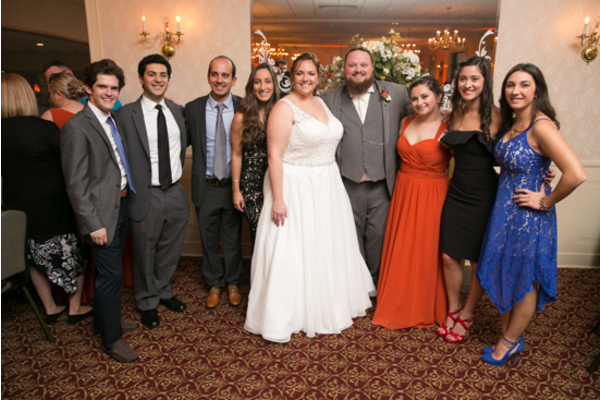 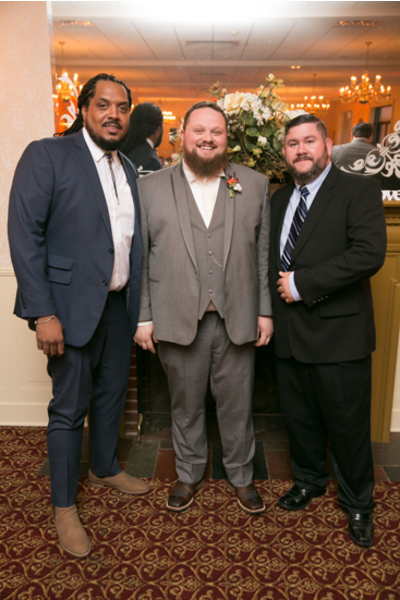 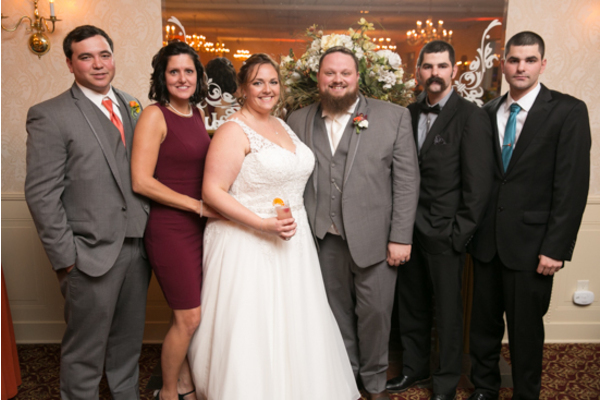 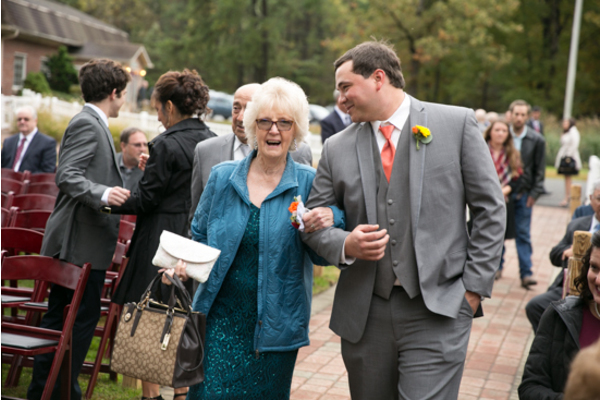 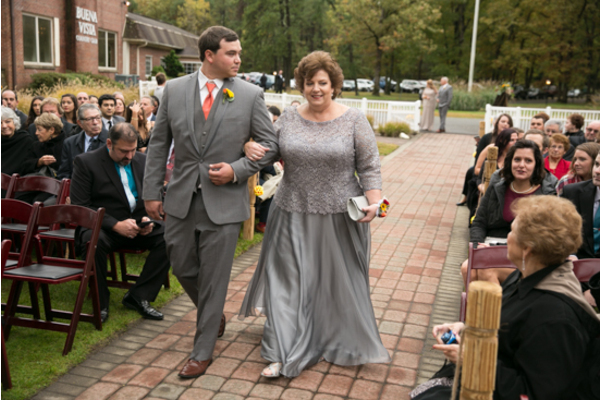 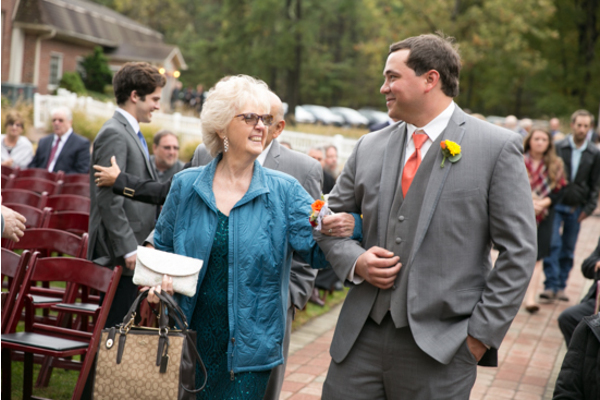 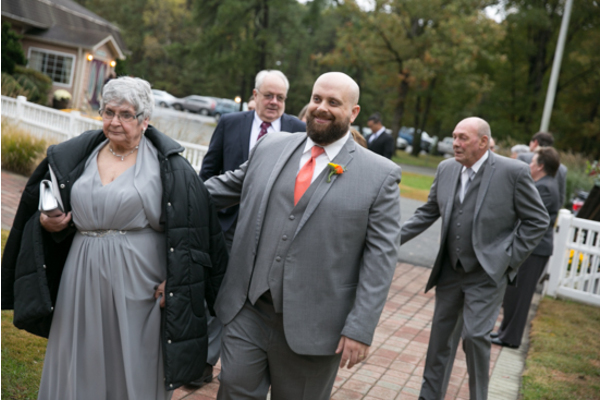 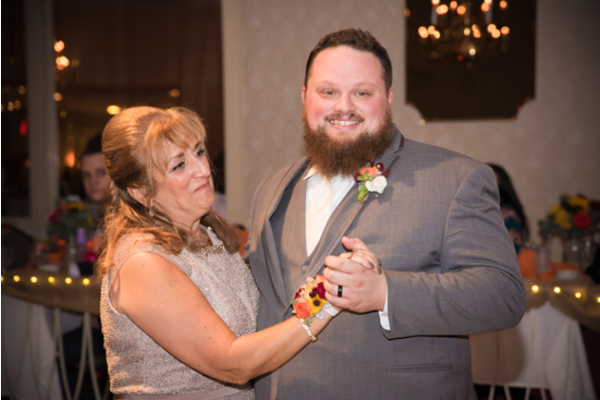 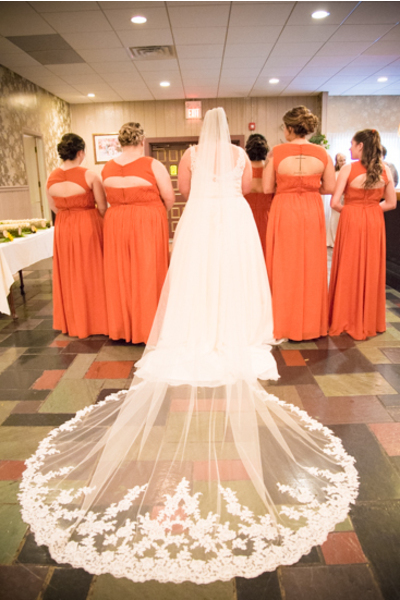 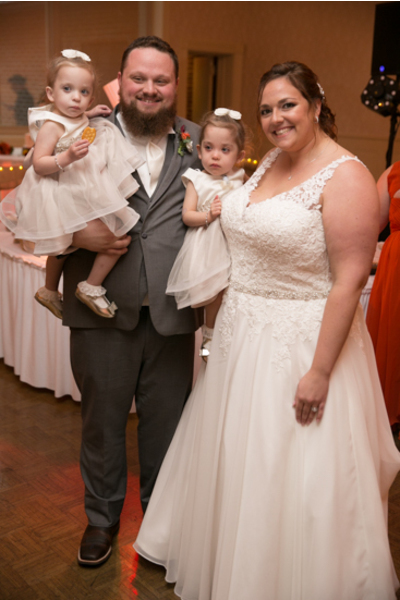 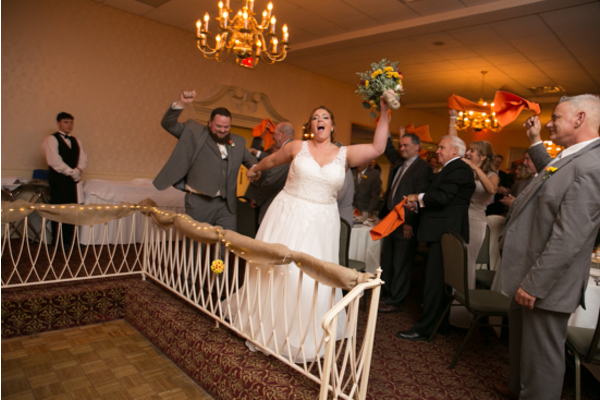 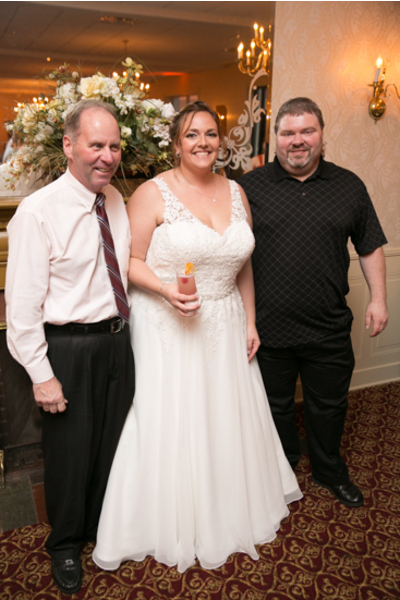 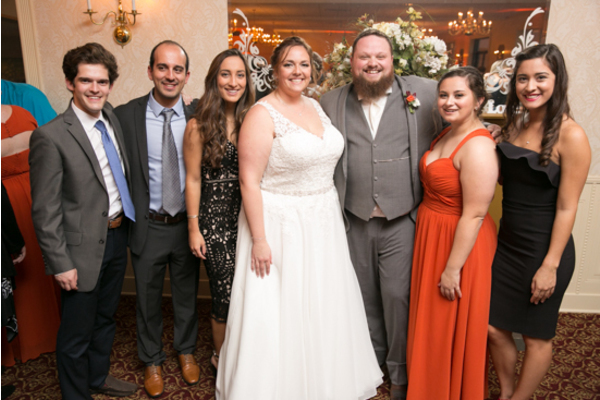 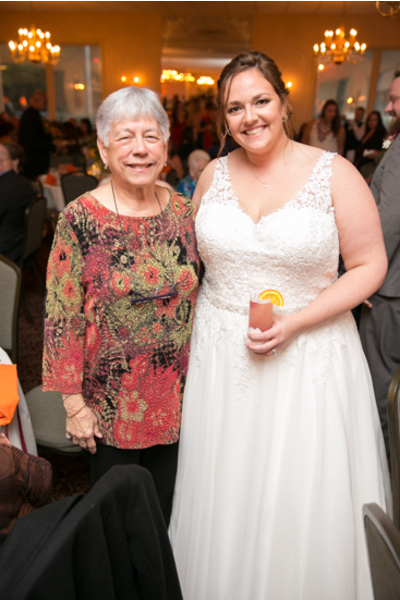 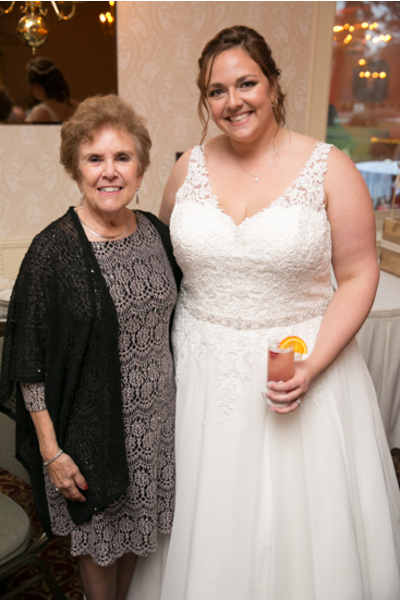 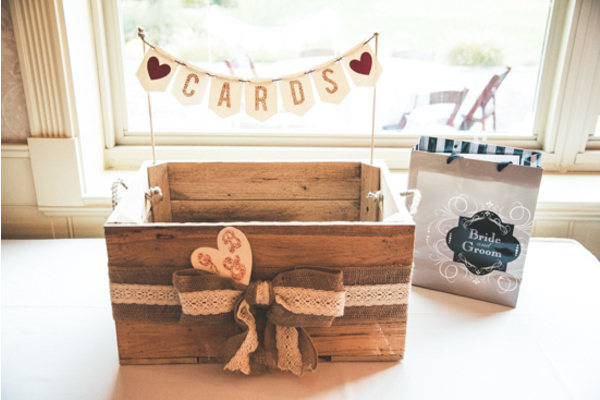 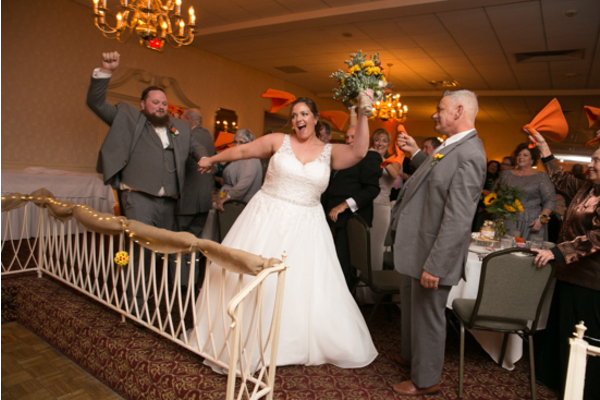 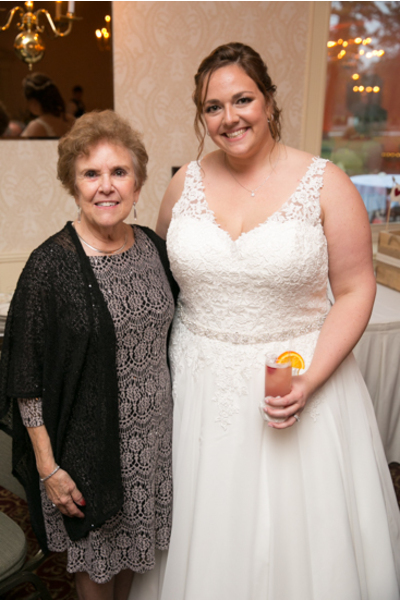 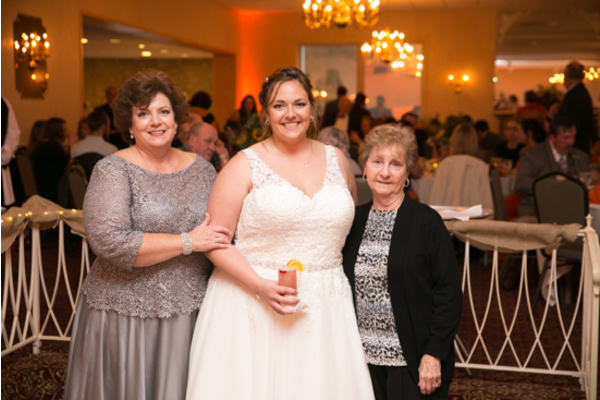 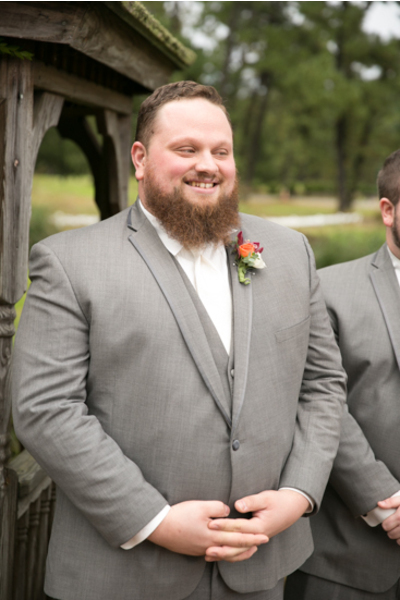 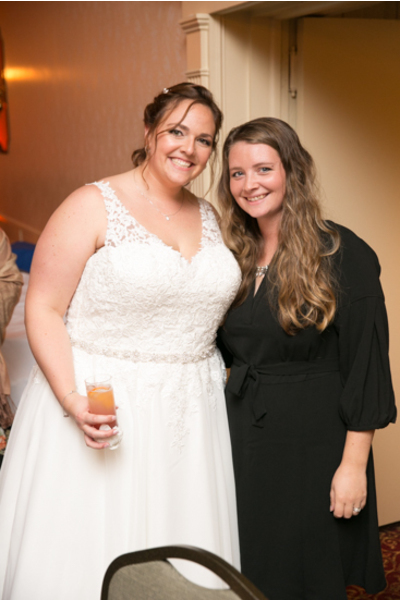 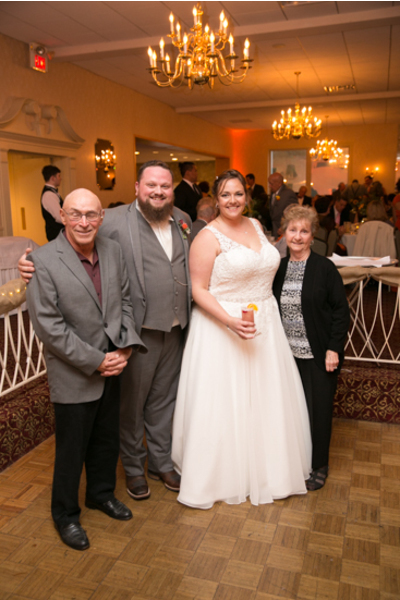 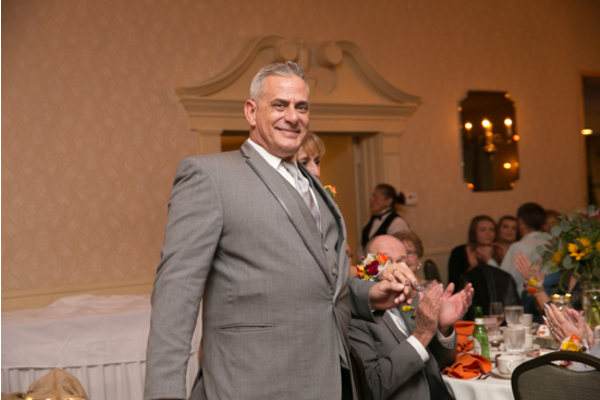 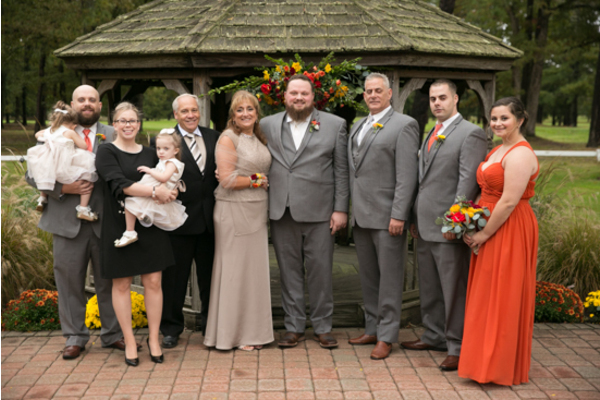 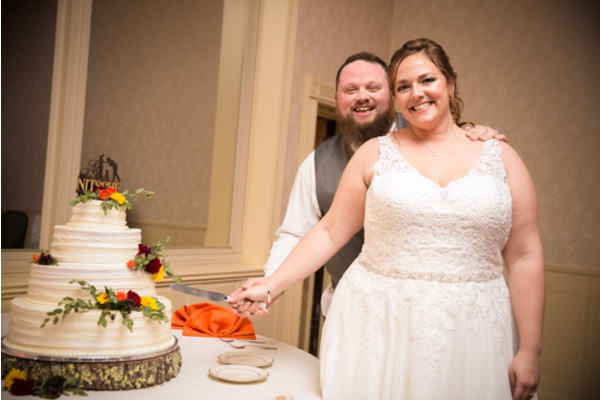 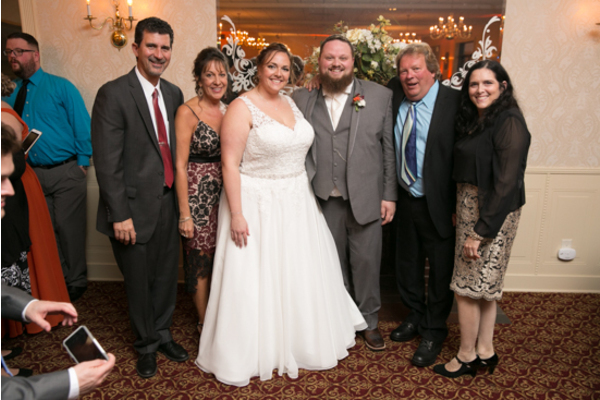 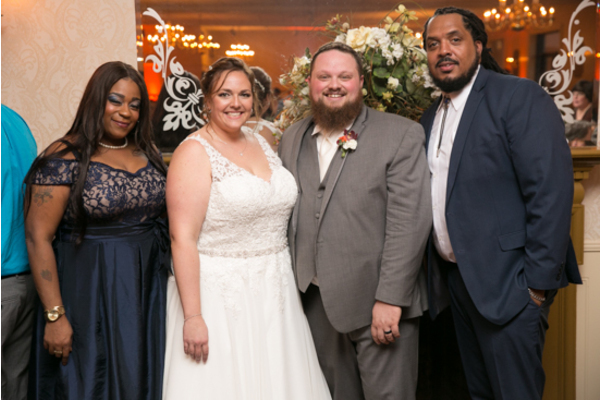 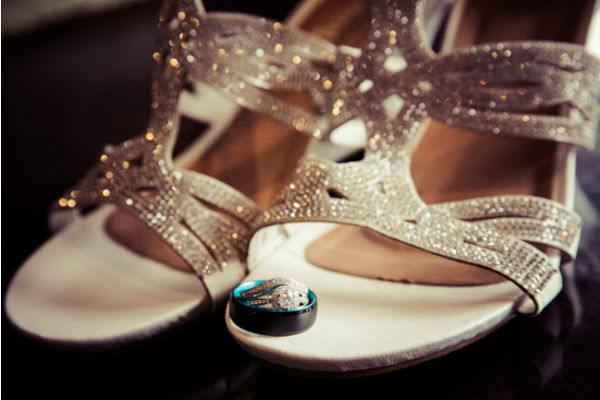 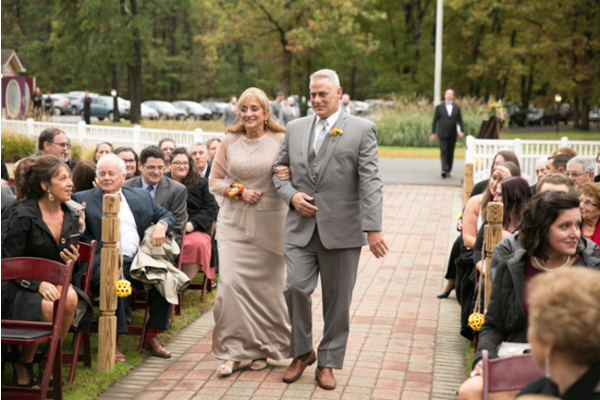 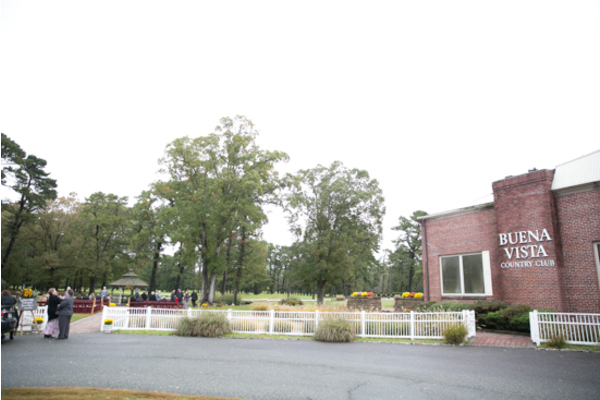 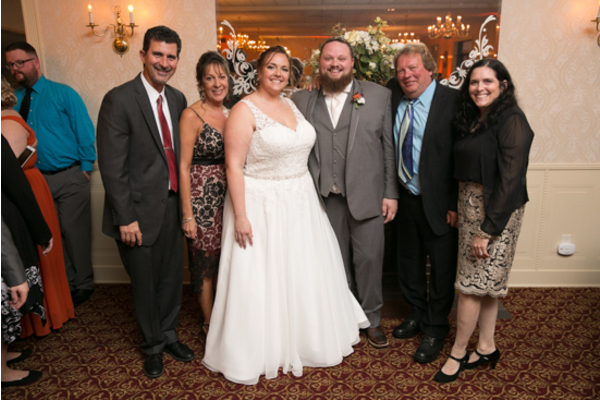 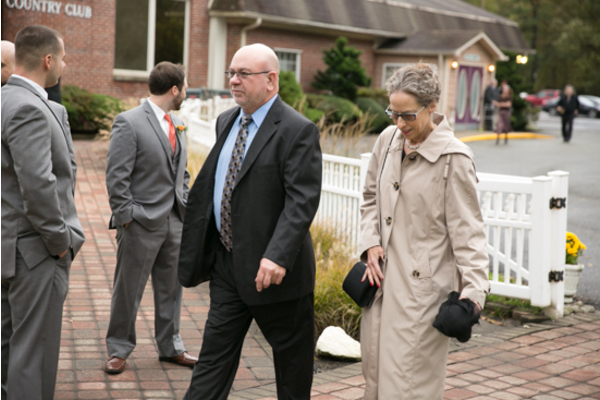 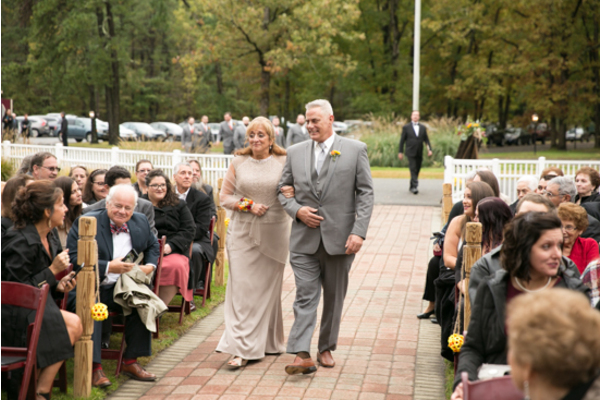 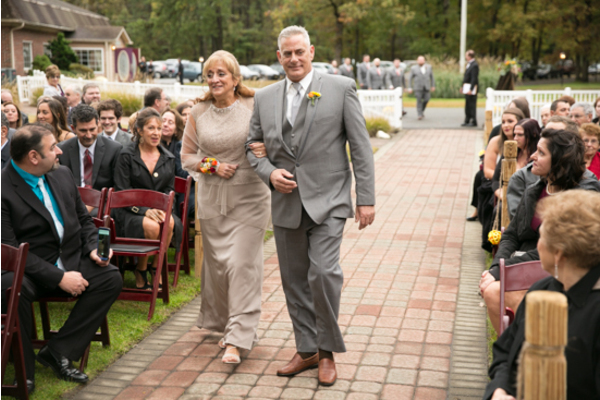 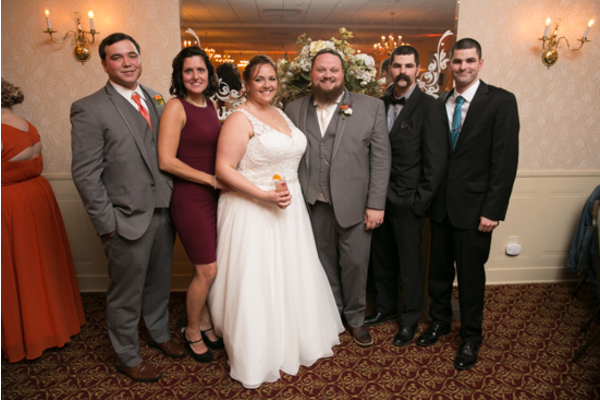 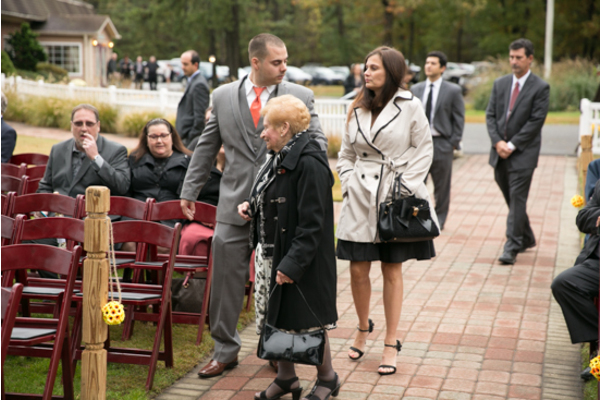 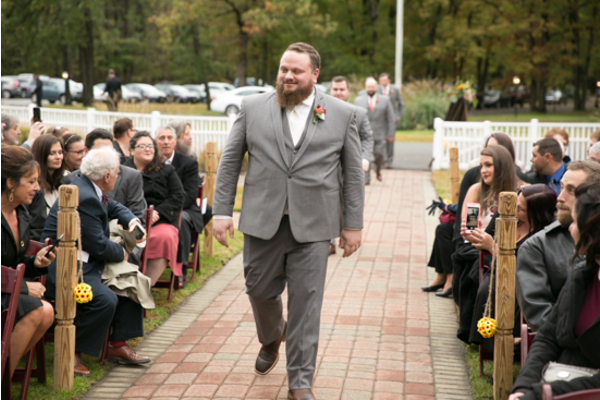 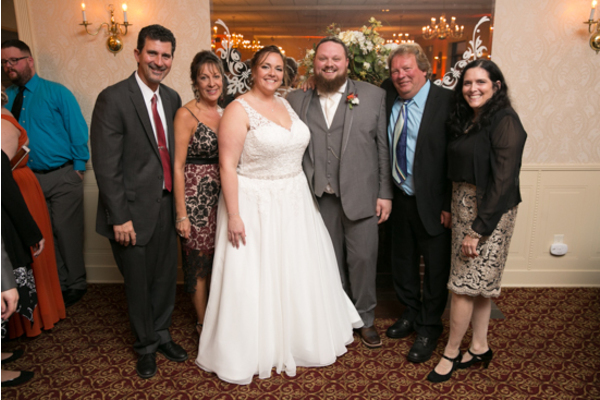 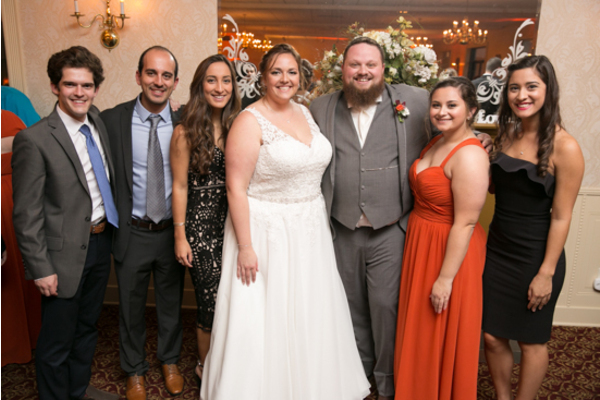 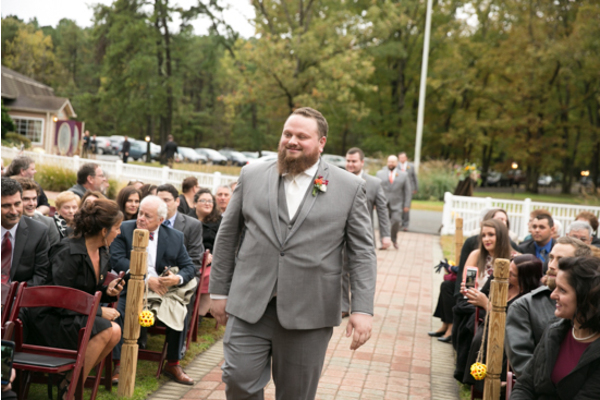 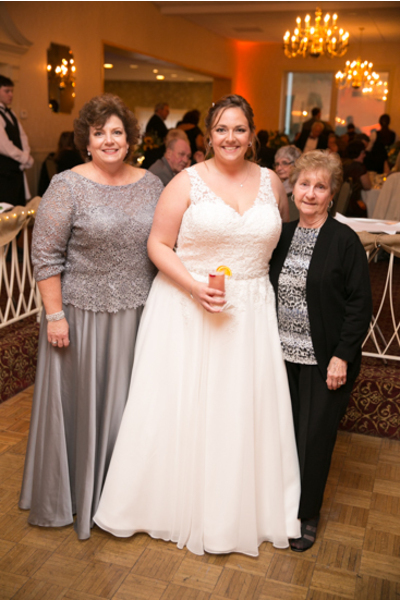 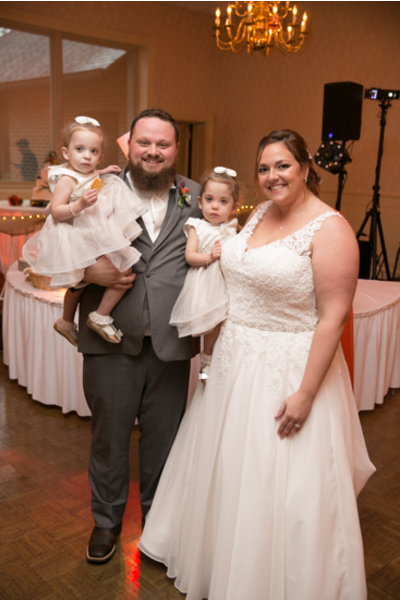 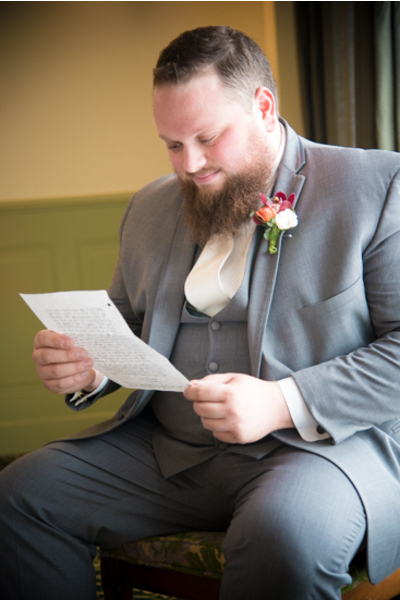 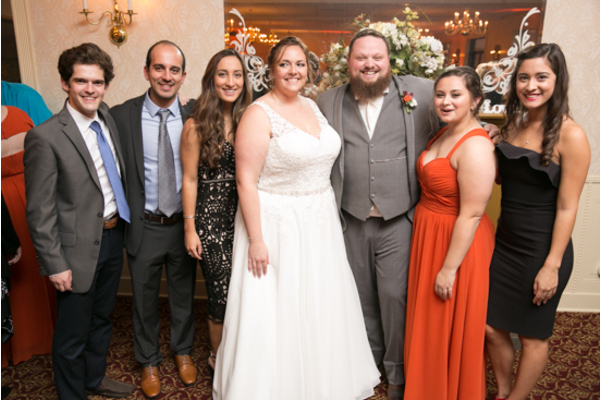 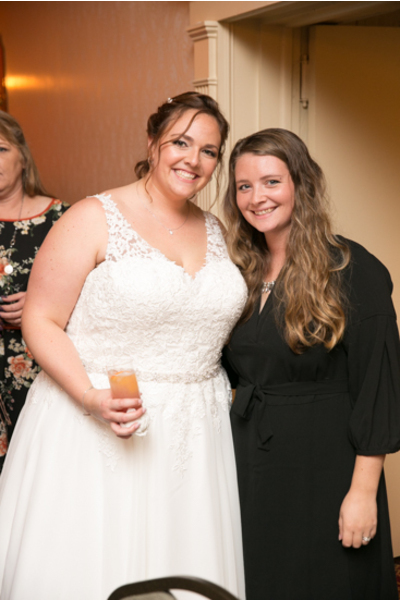 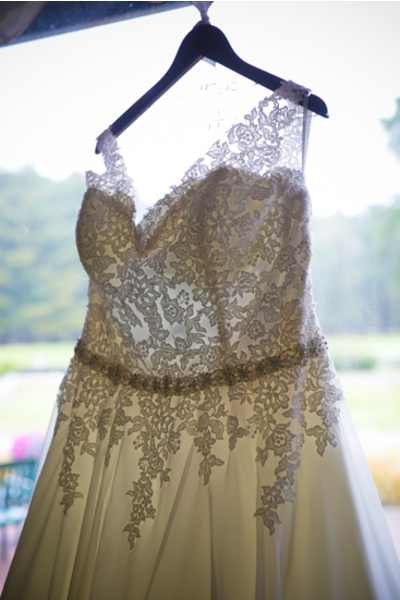 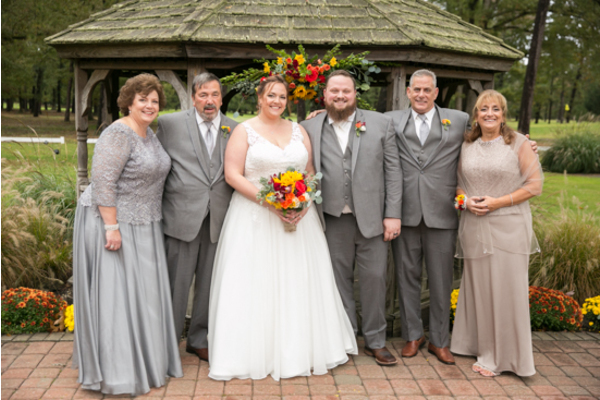 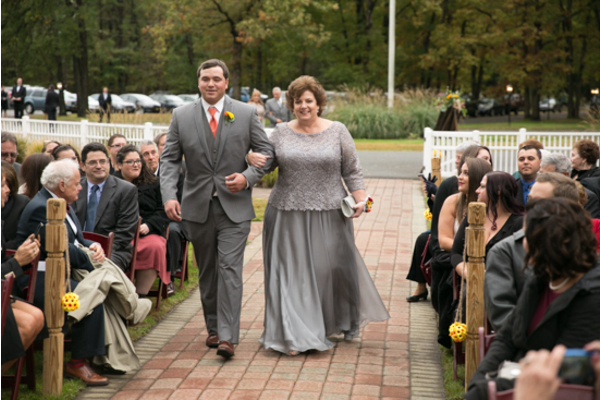 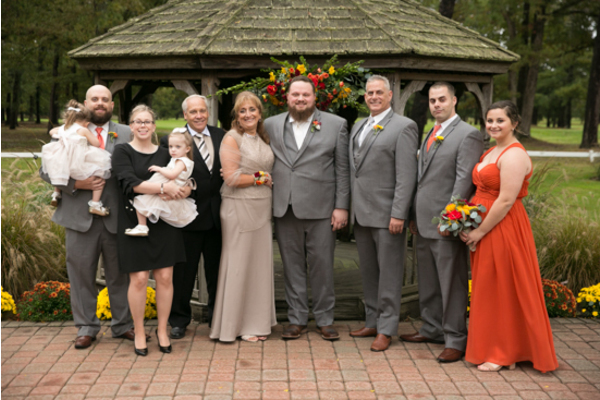 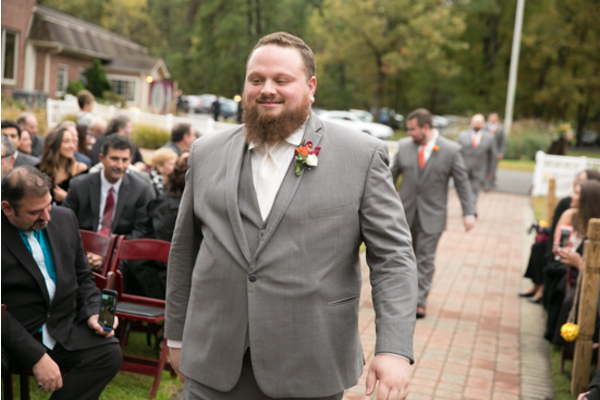 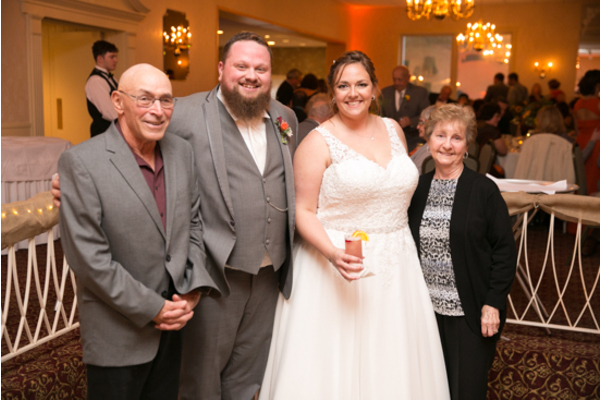 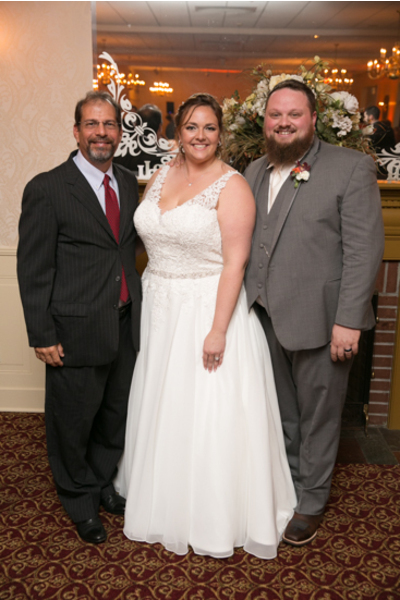 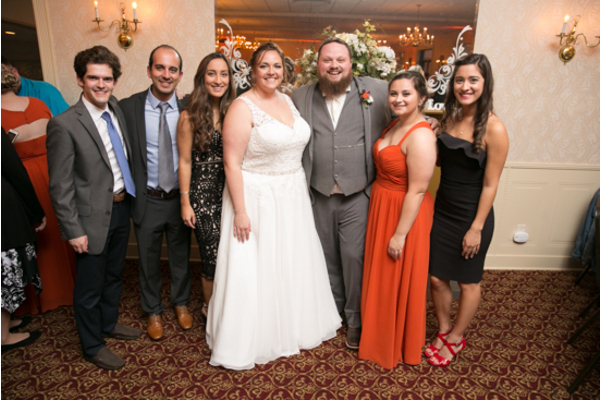 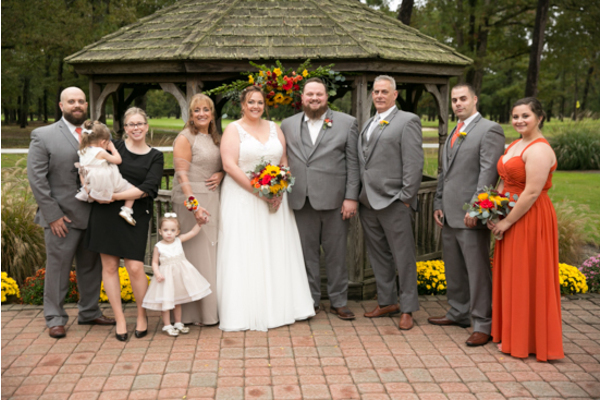 Our NJ Wedding Photographer was there to capture the laughter and memories shared on this special day. 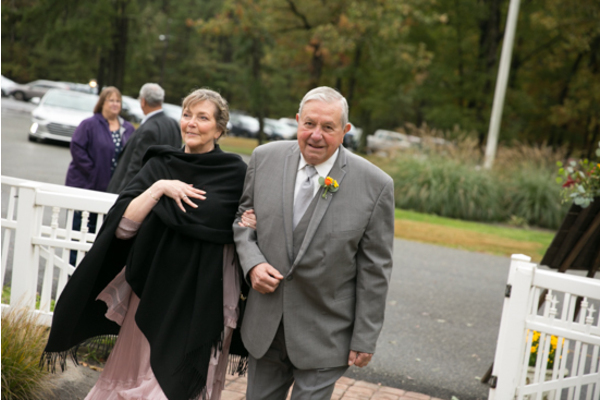 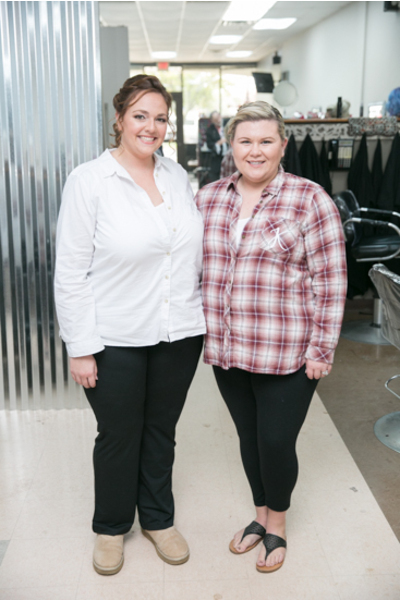 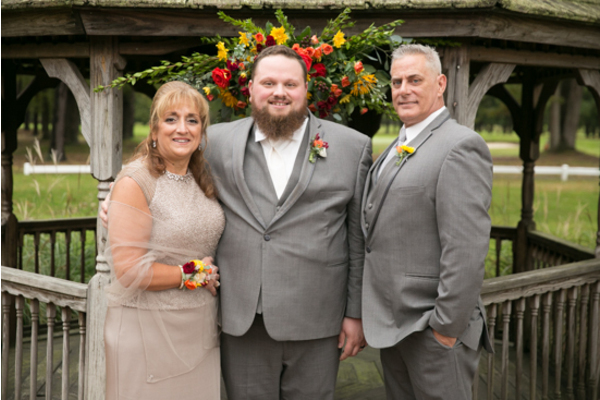 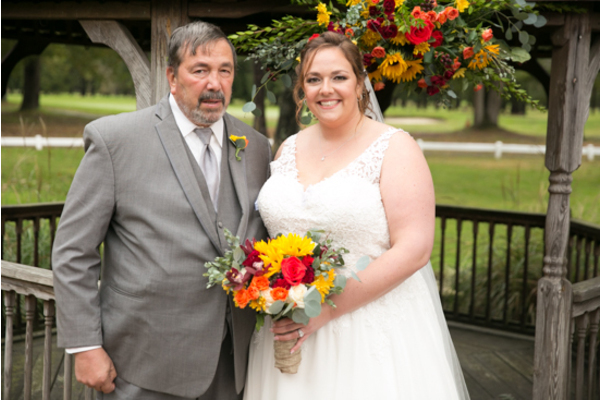 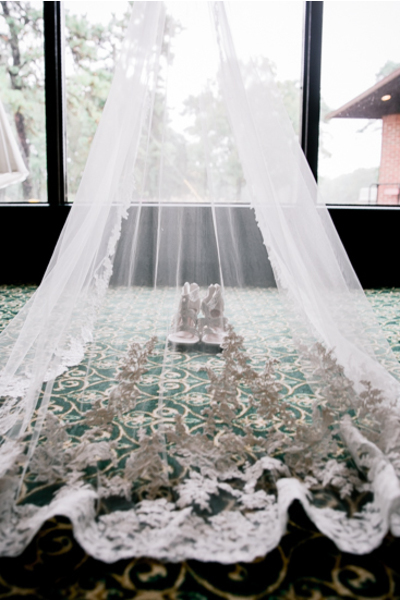 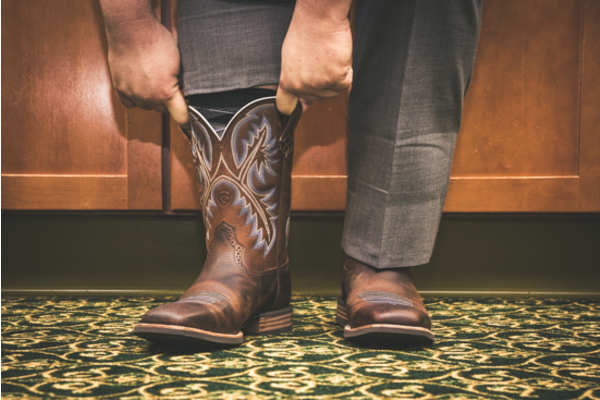 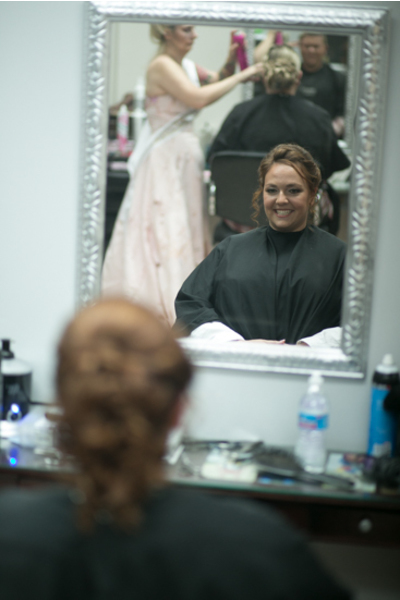 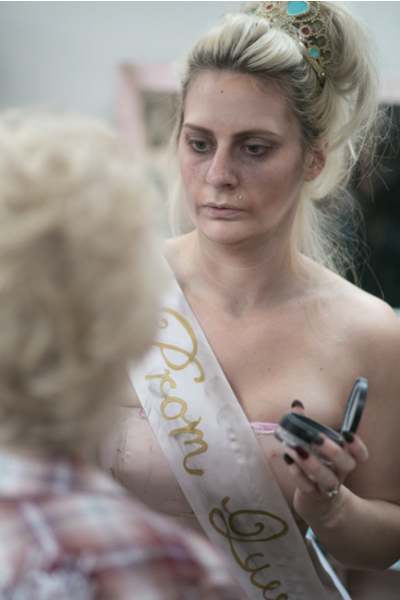 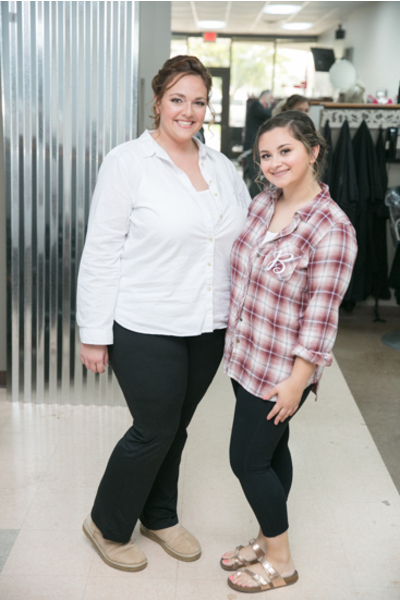 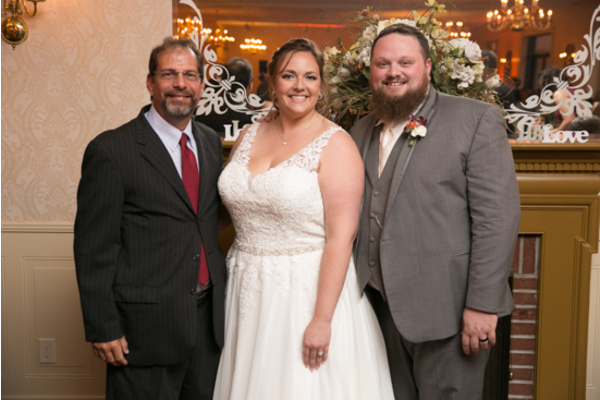 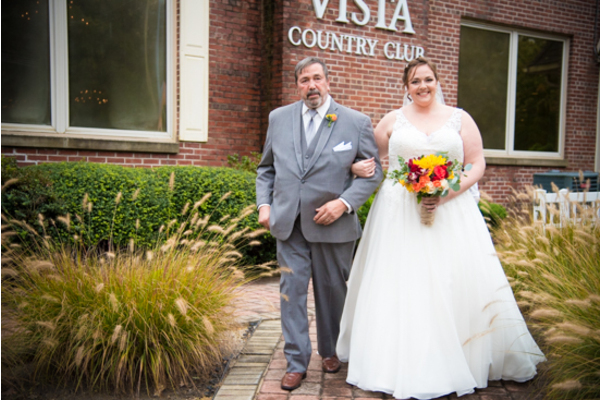 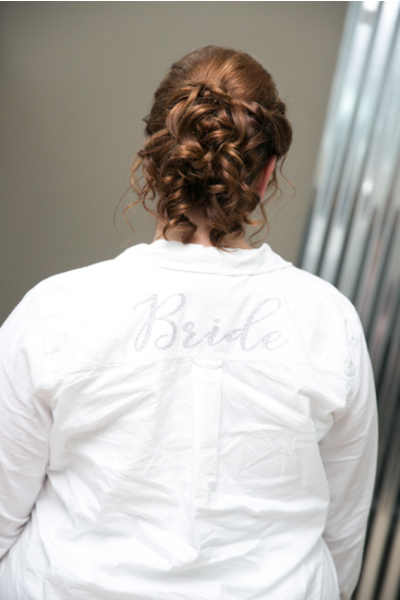 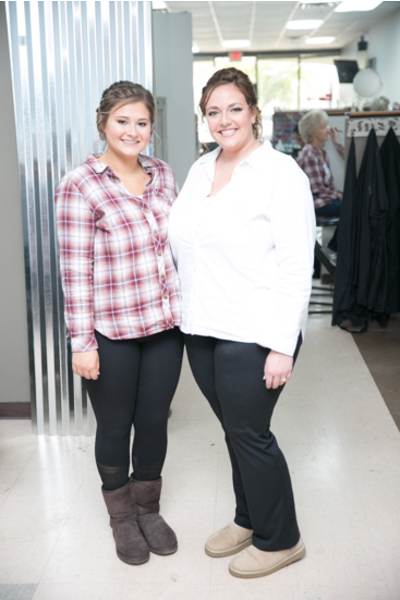 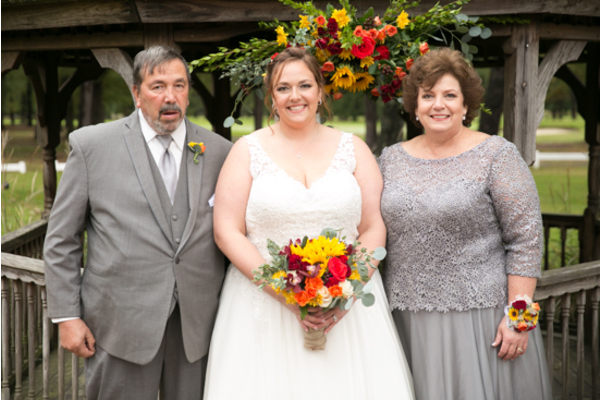 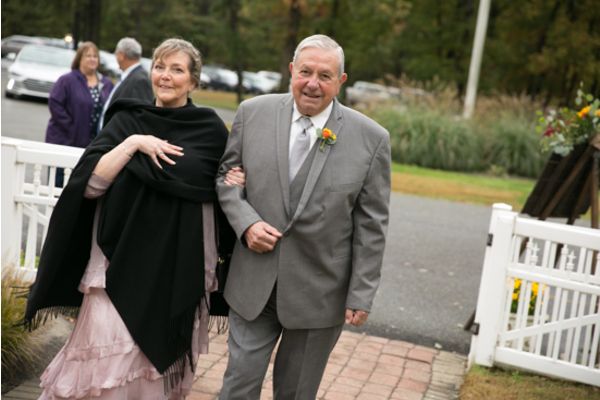 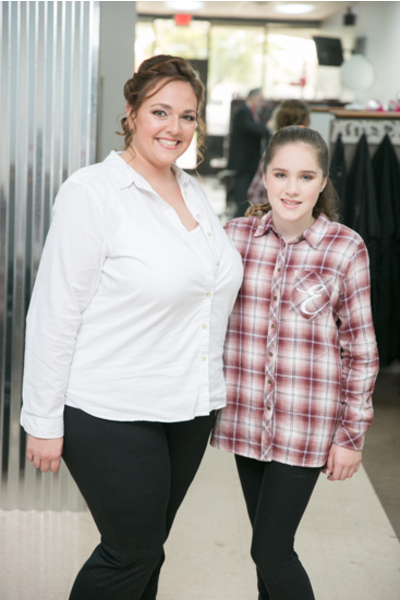 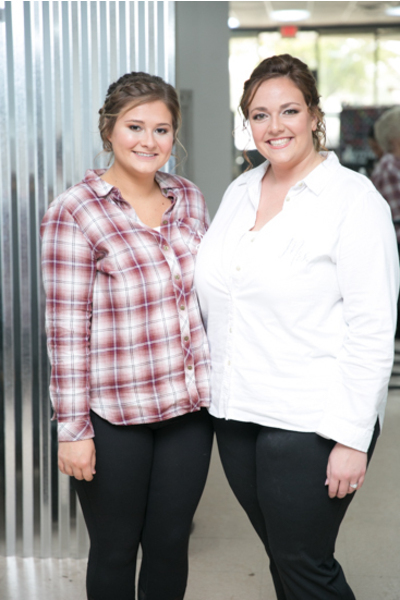 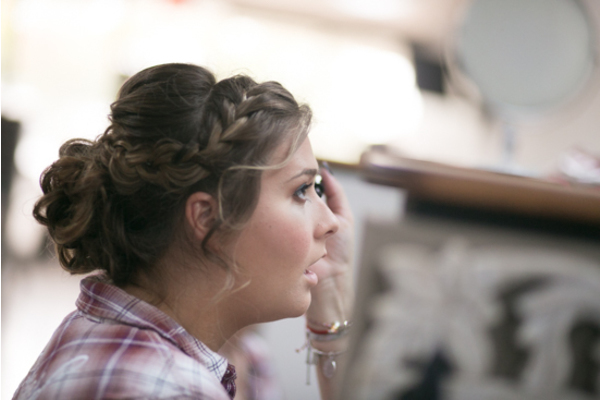 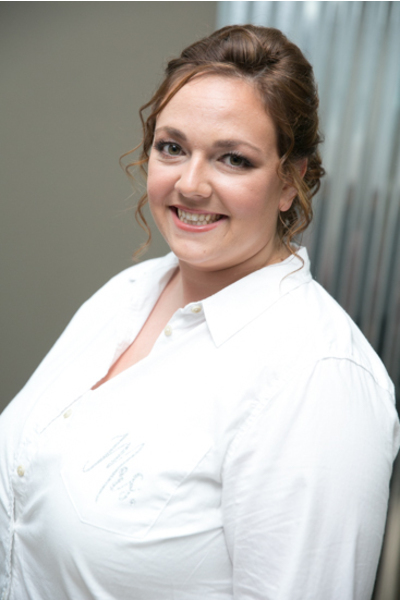 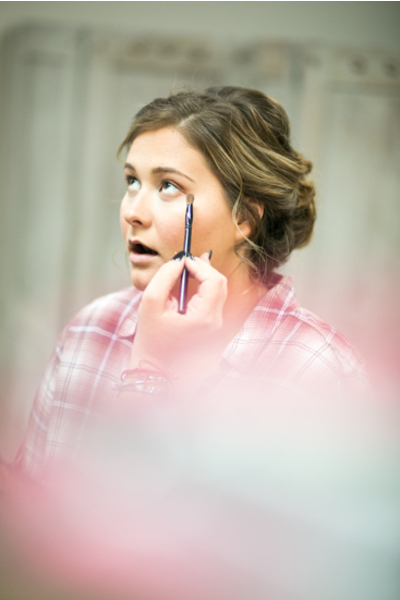 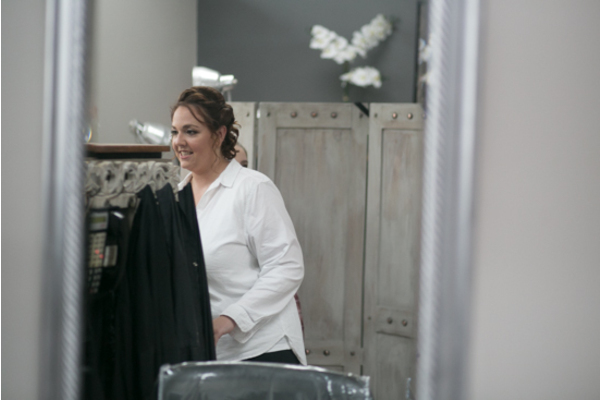 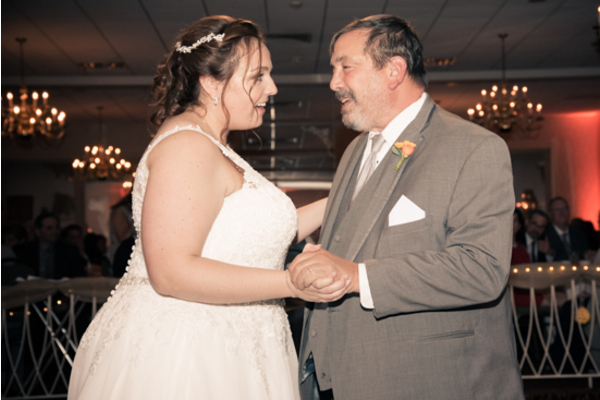 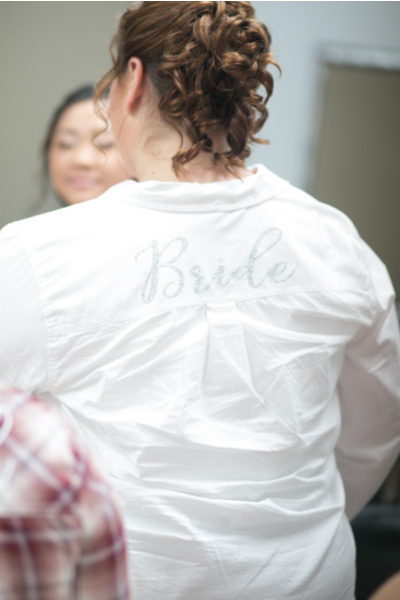 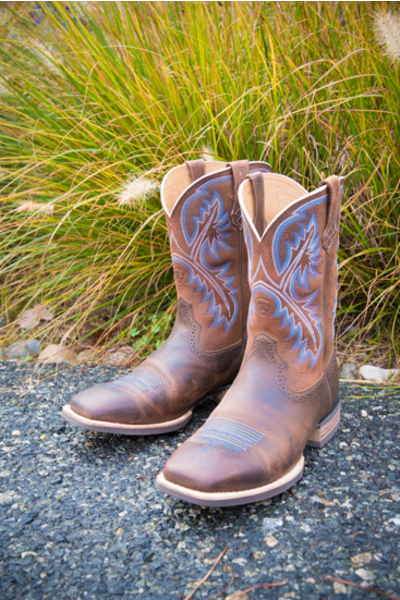 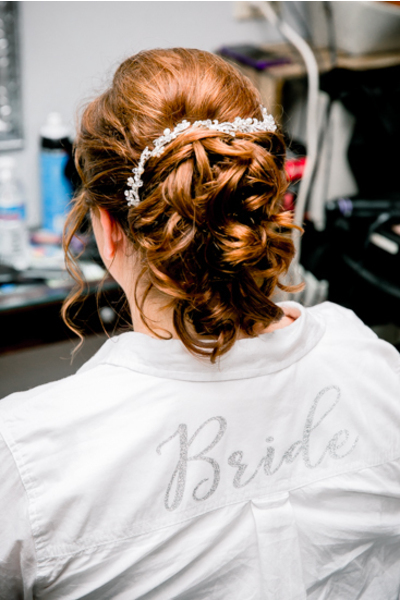 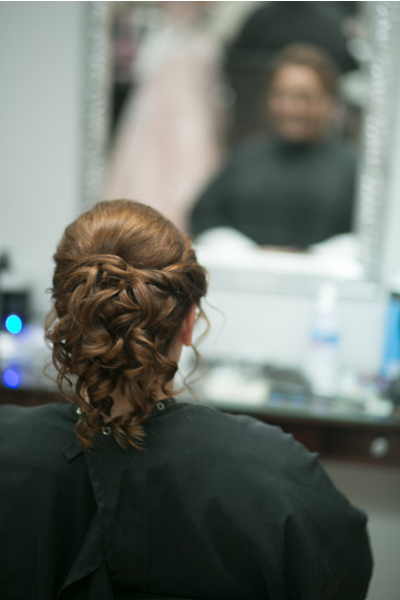 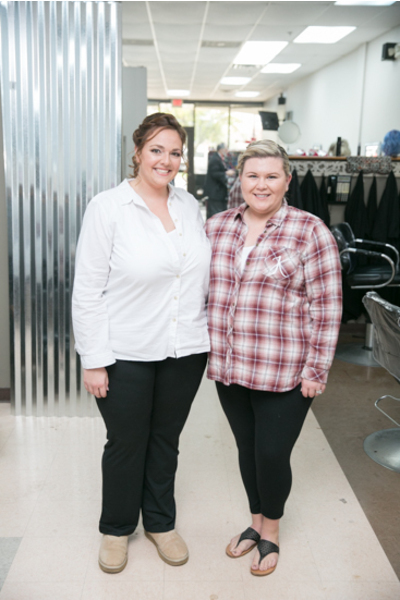 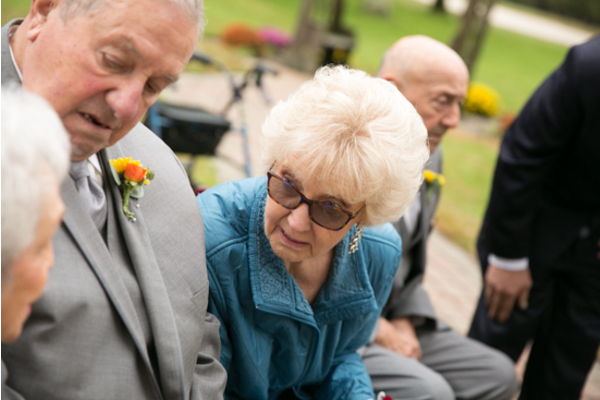 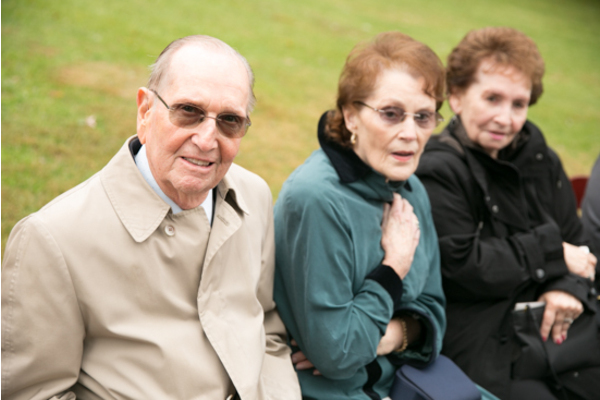 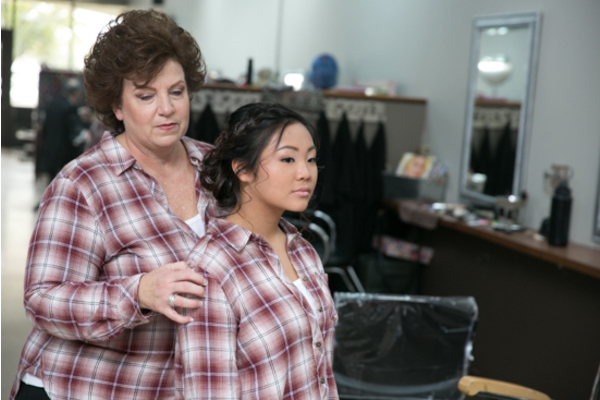 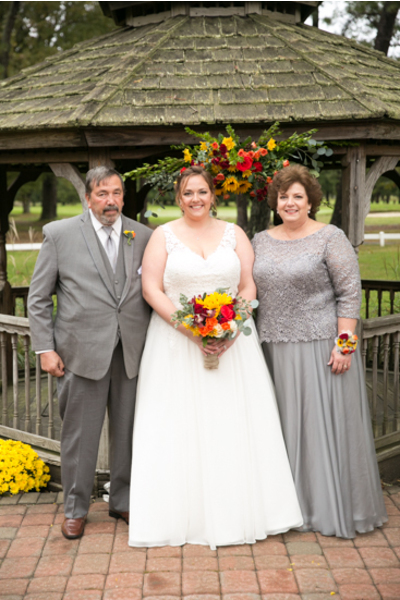 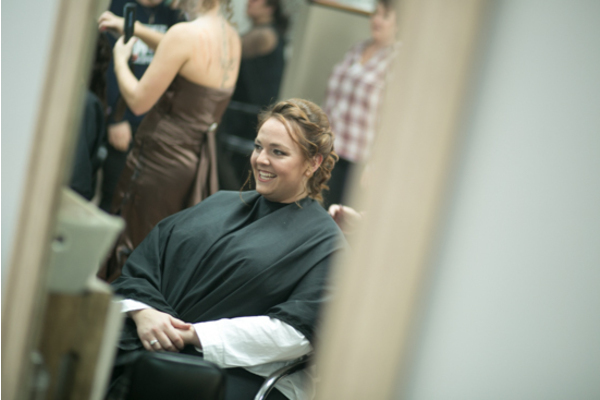 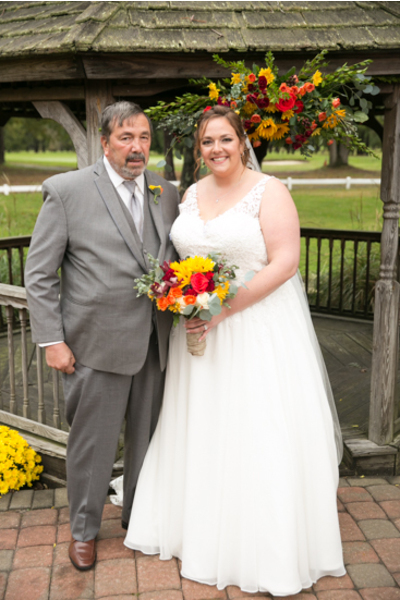 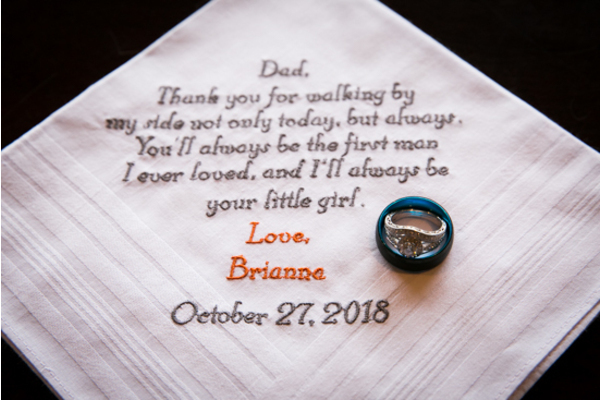 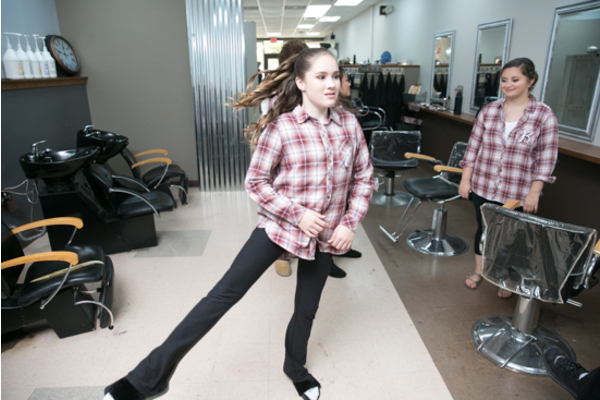 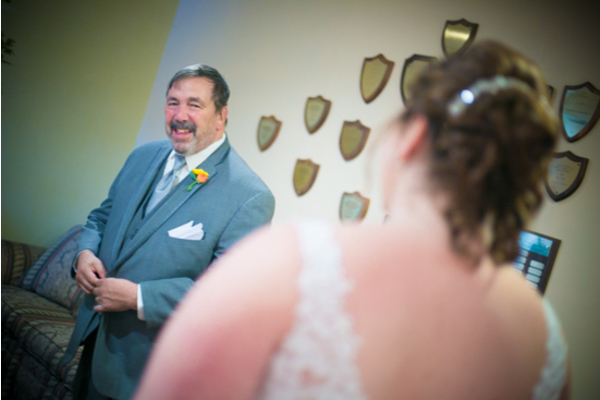 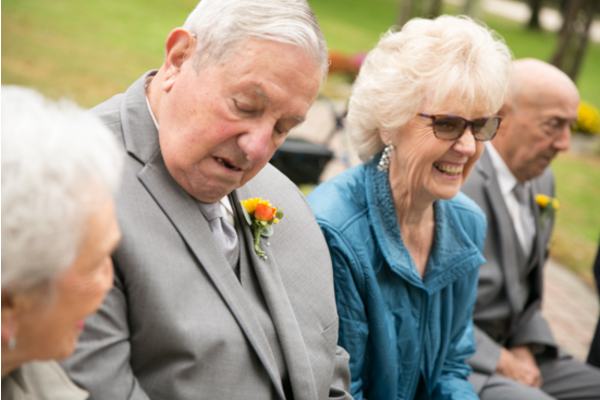 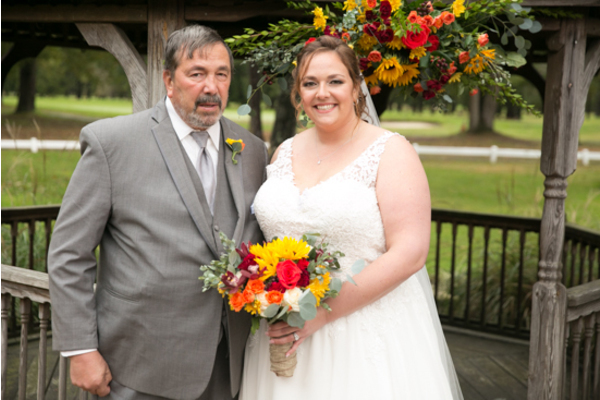 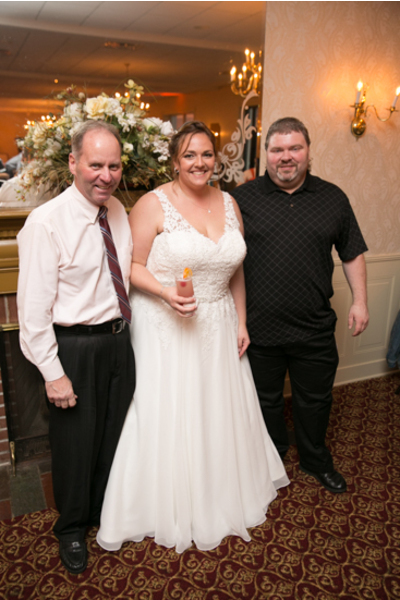 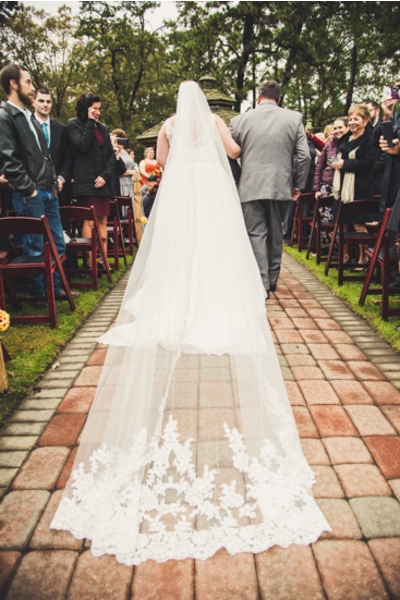 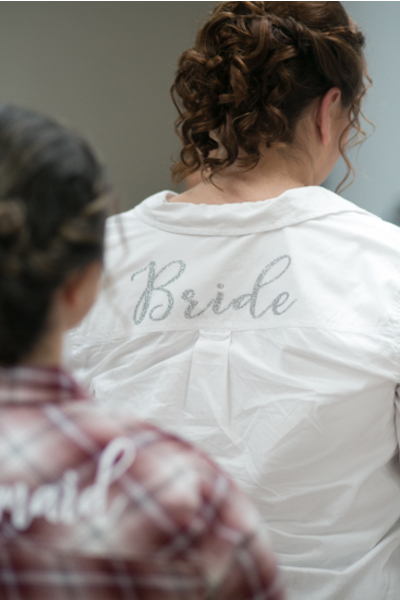 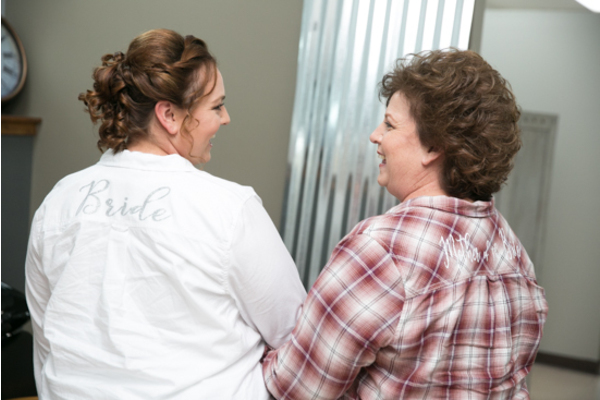 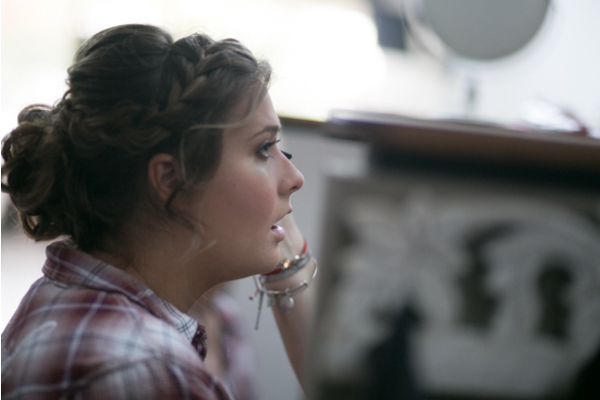 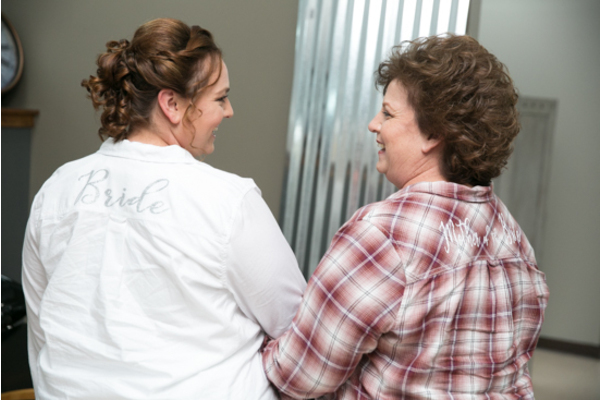 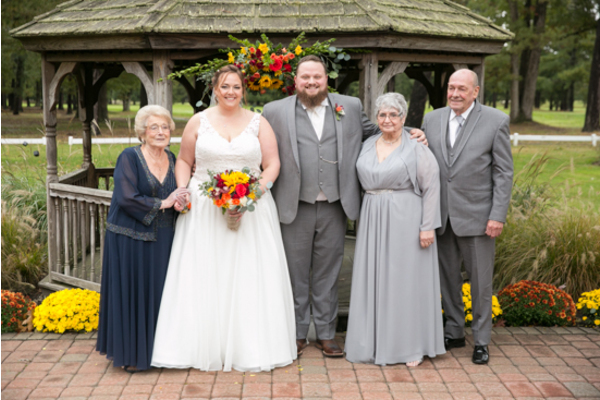 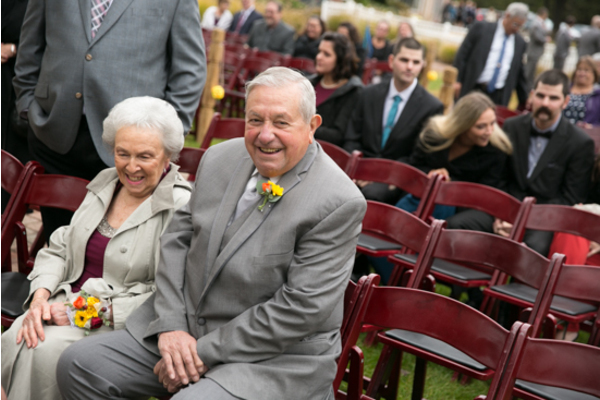 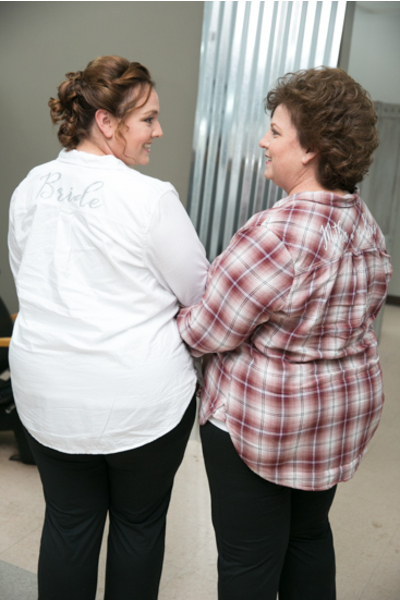 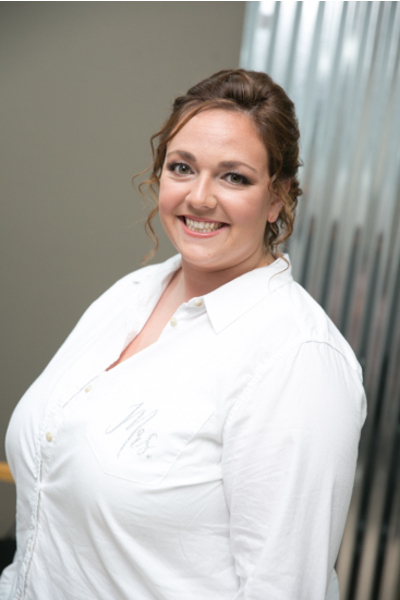 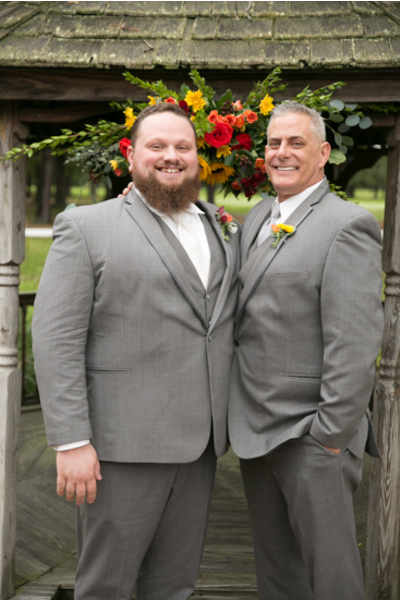 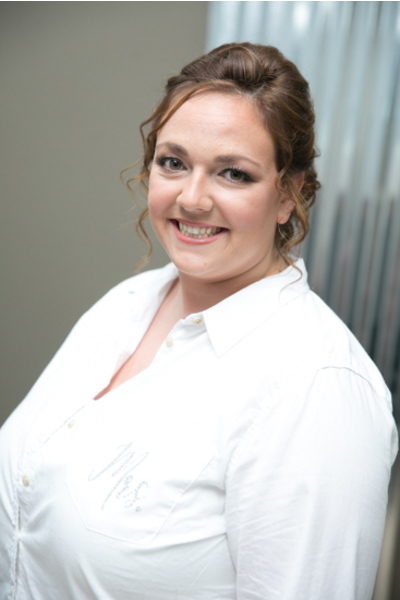 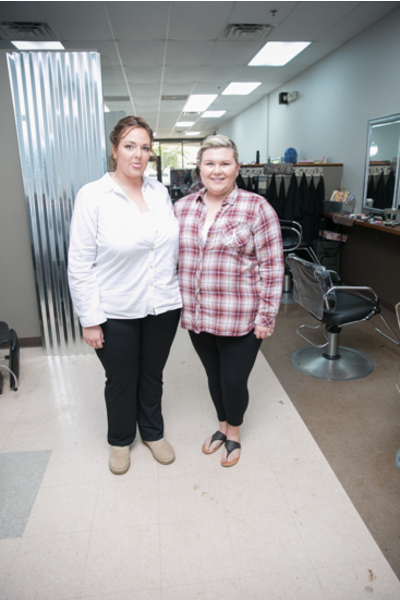 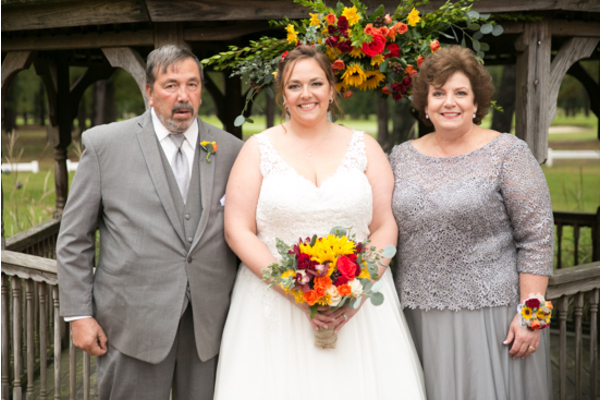 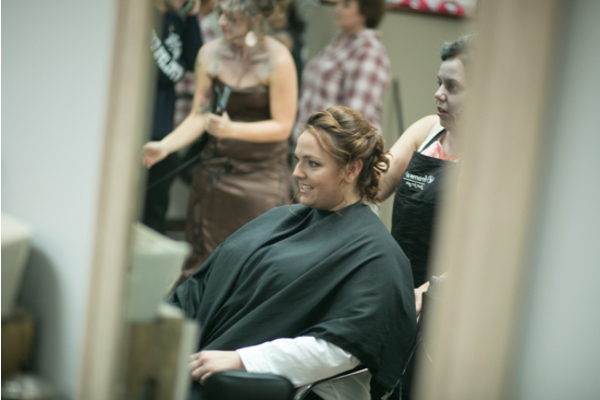 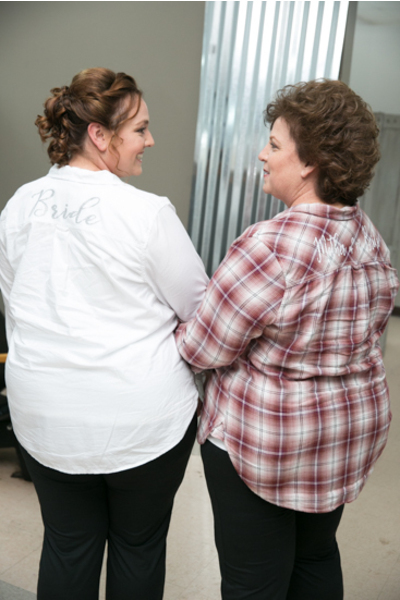 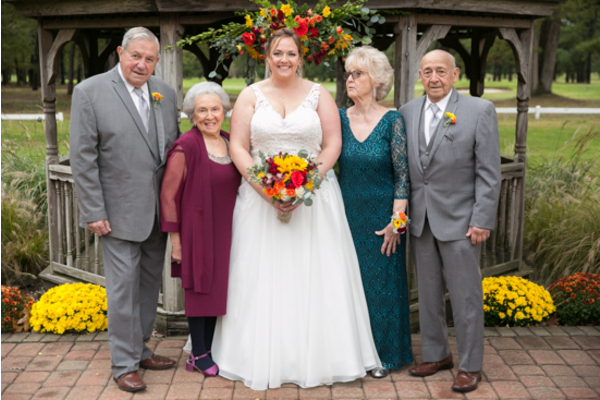 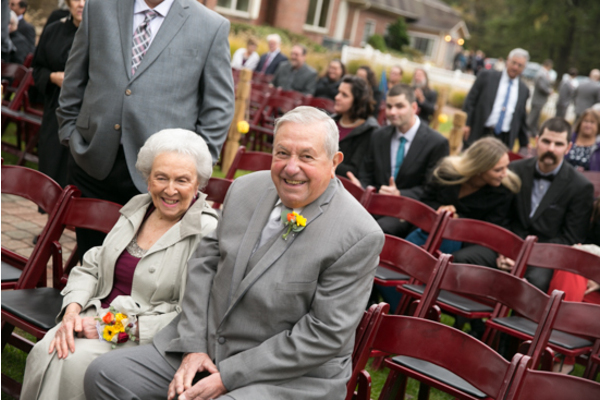 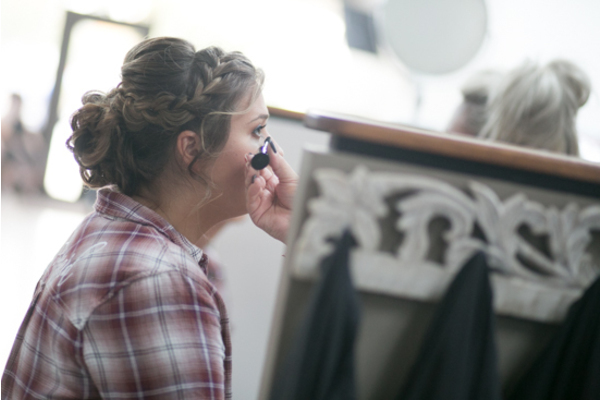 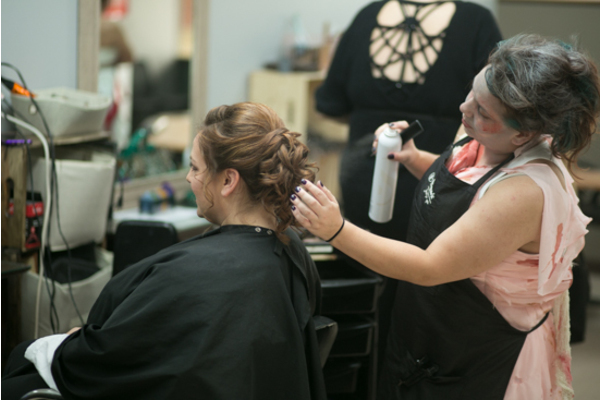 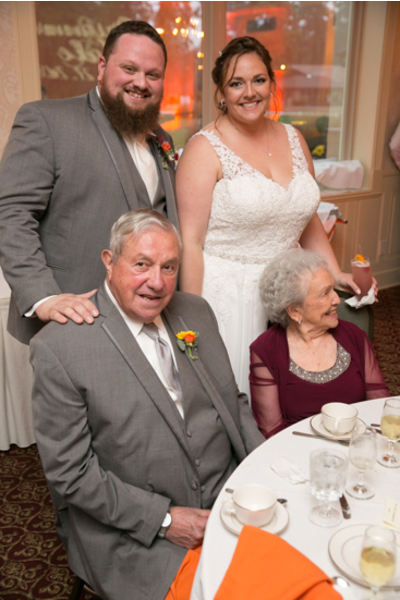 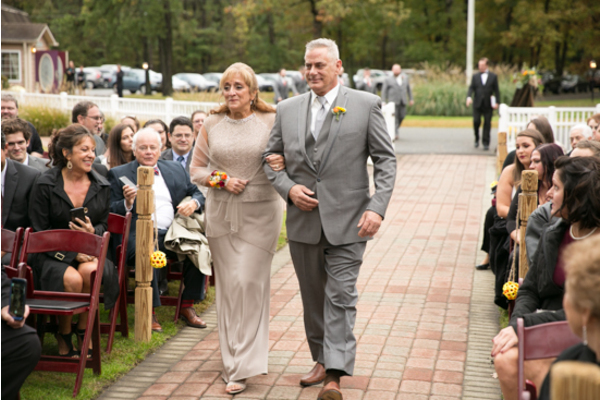 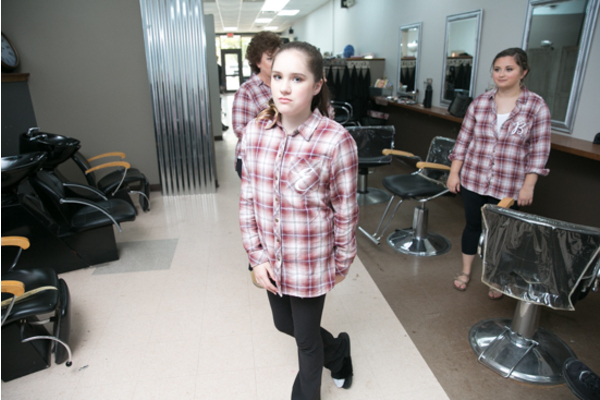 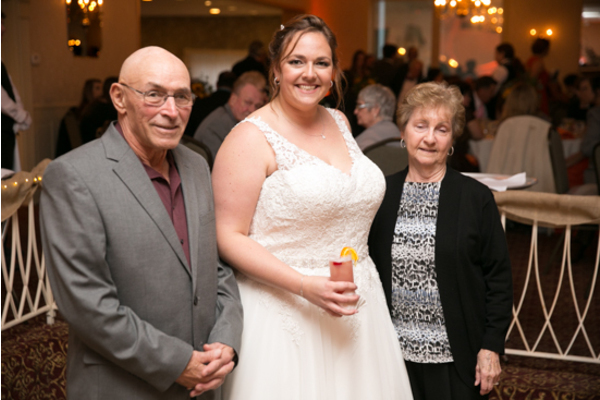 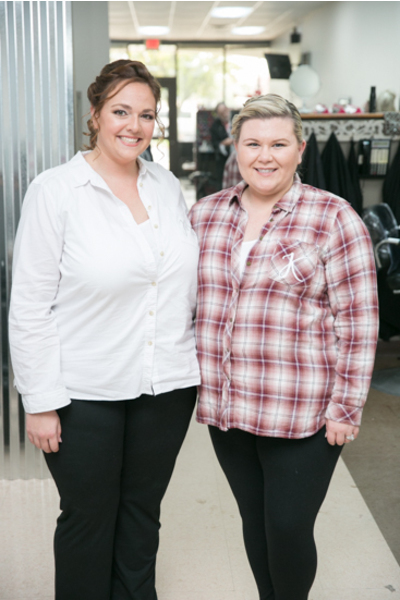 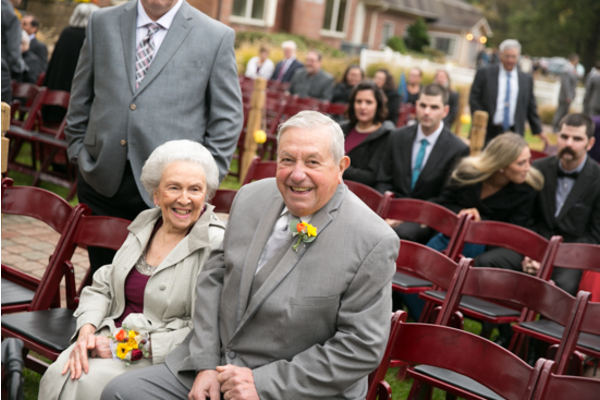 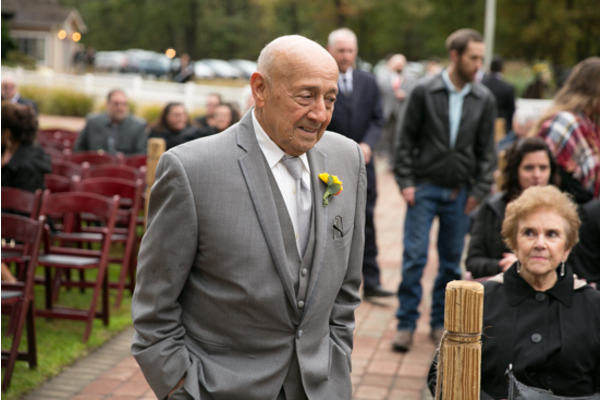 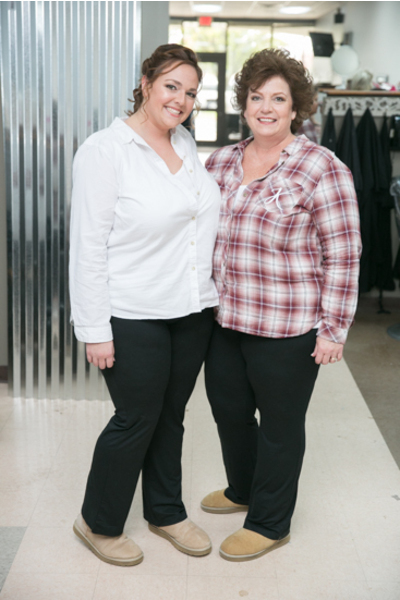 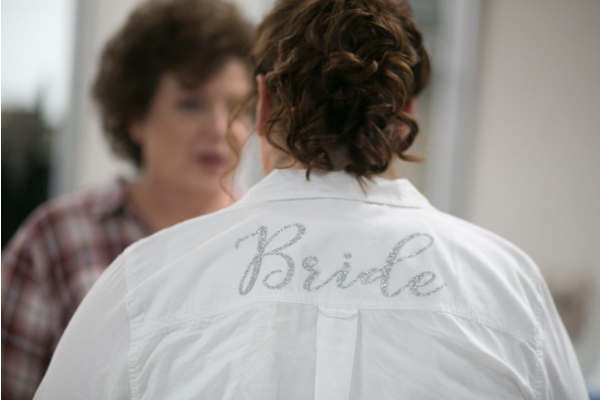 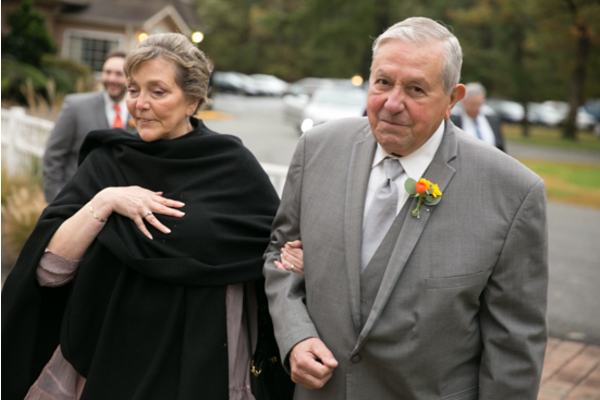 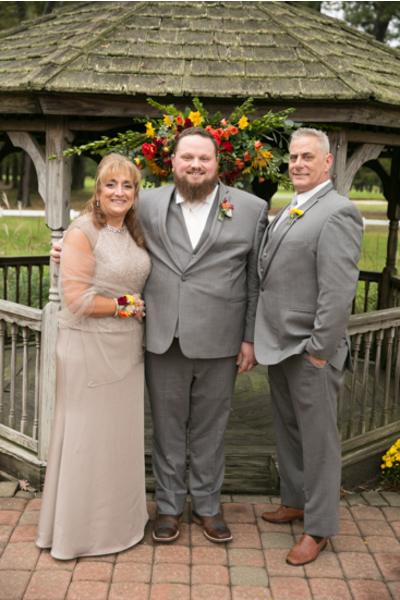 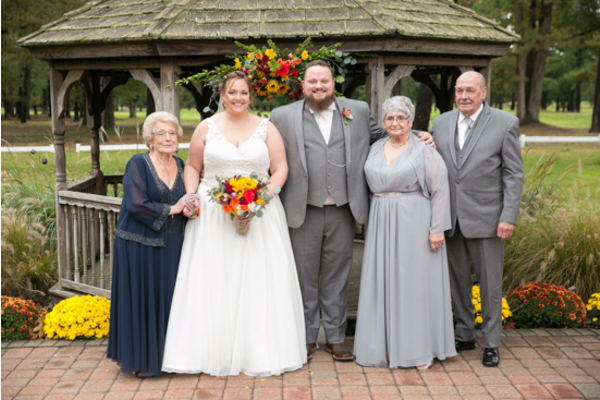 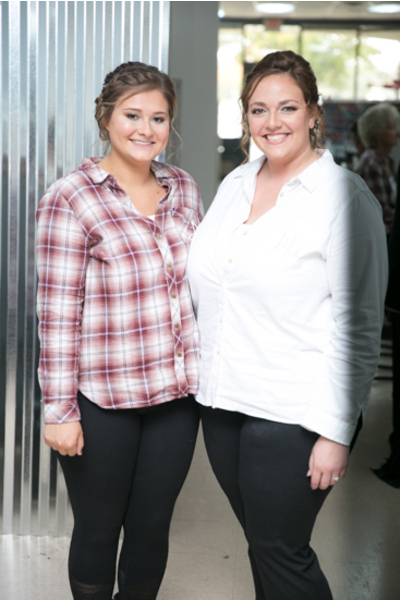 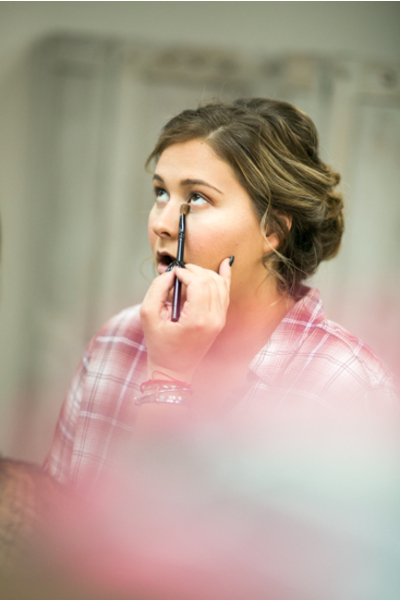 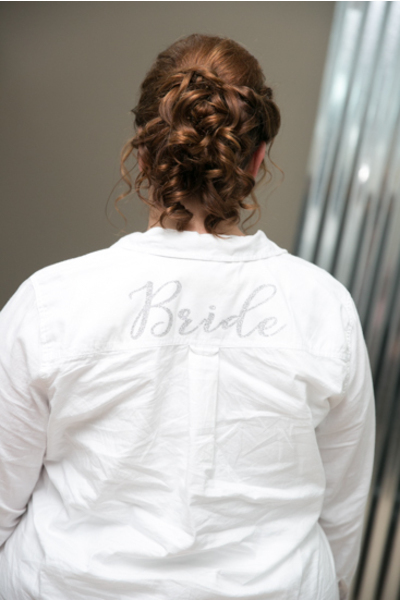 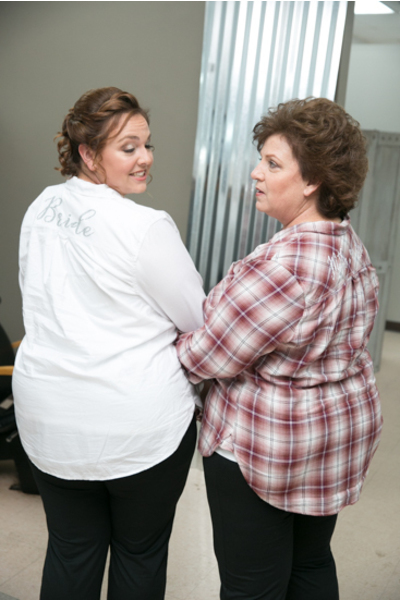 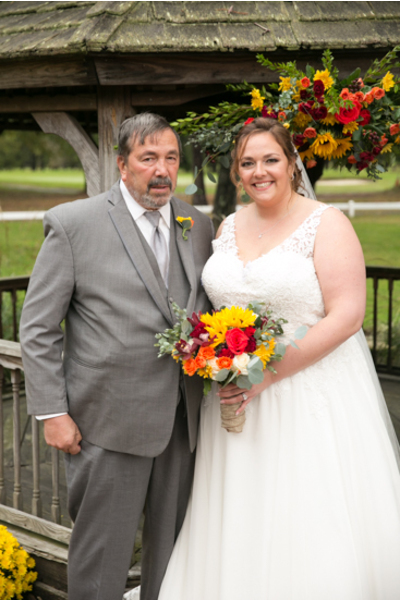 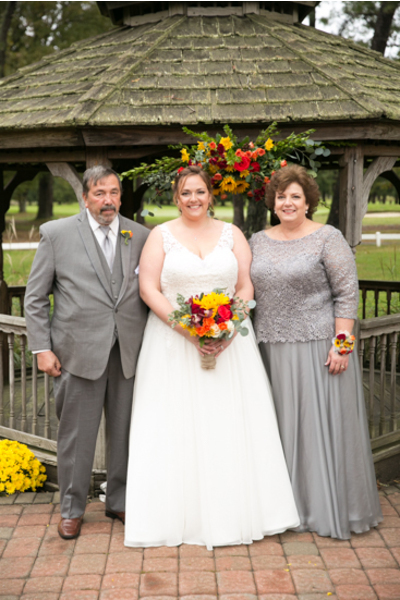 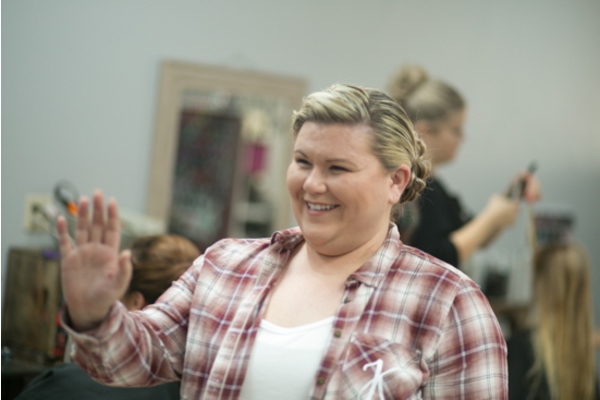 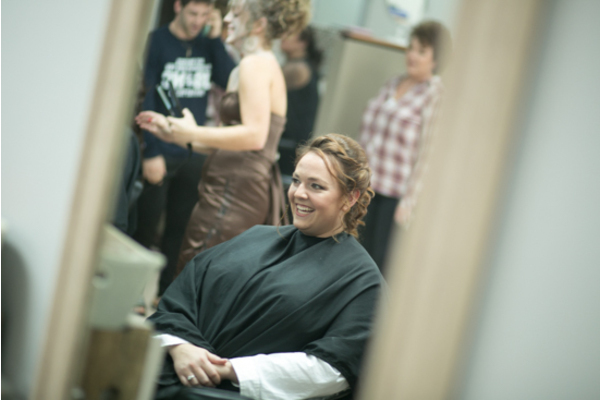 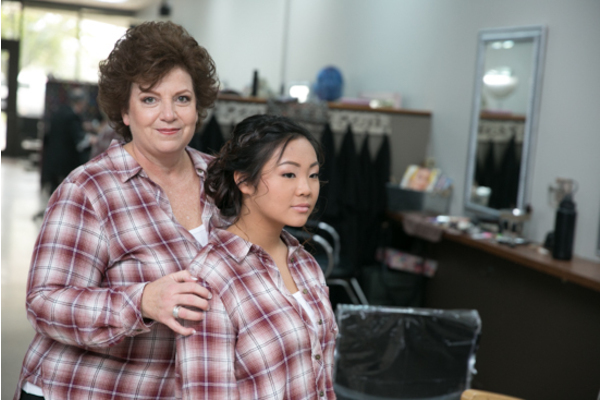 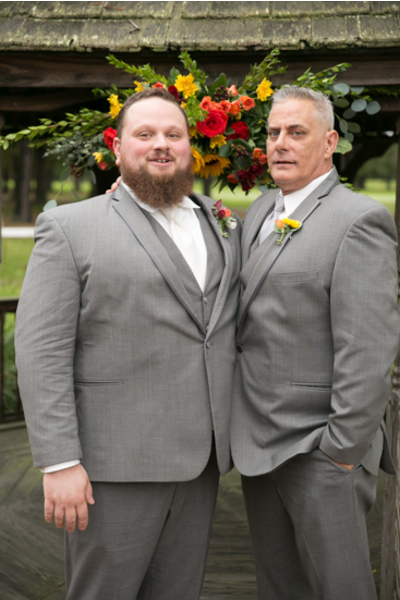 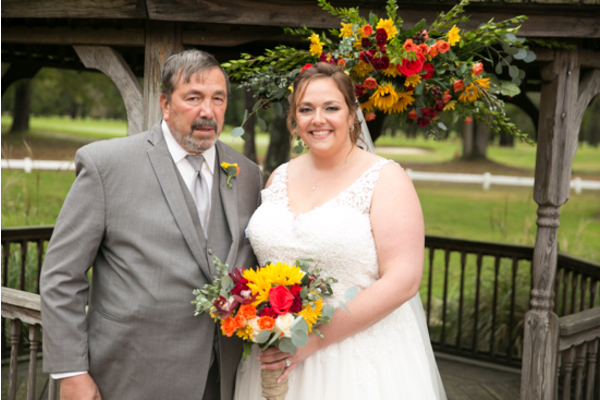 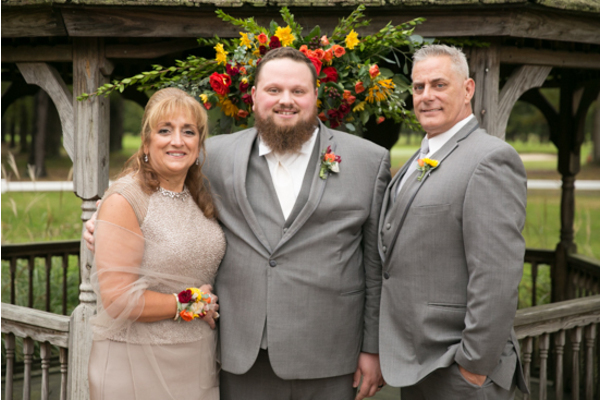 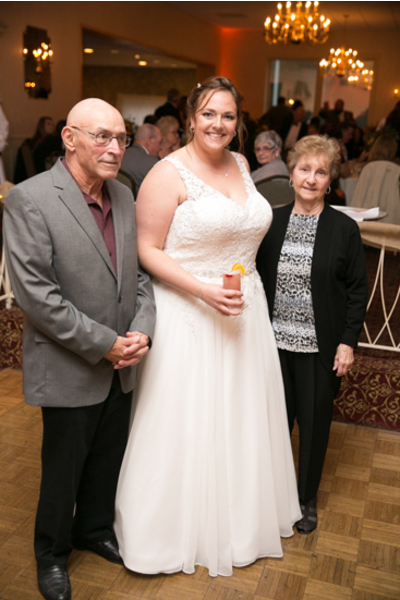 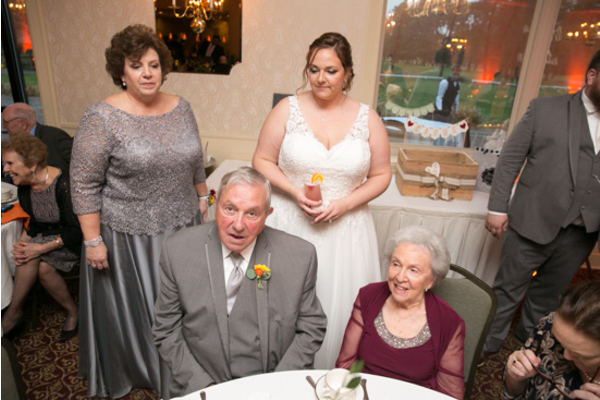 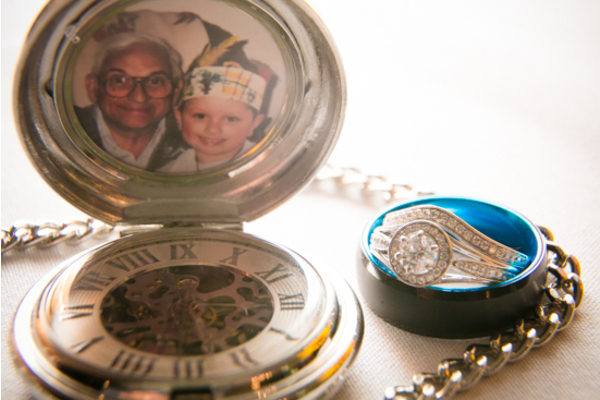 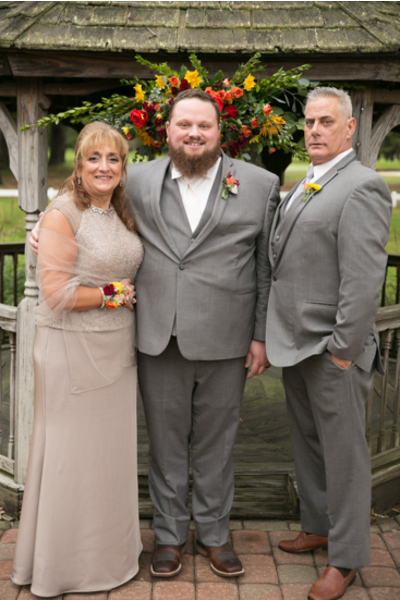 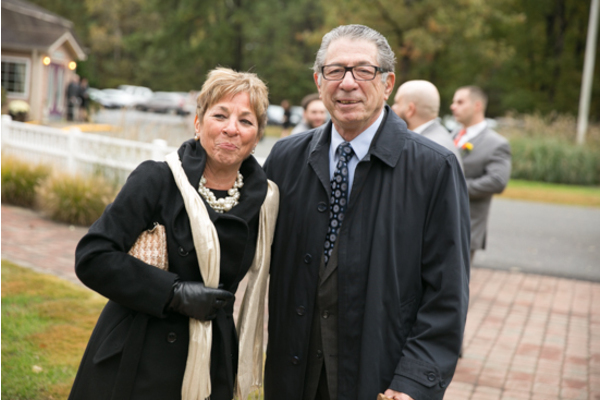 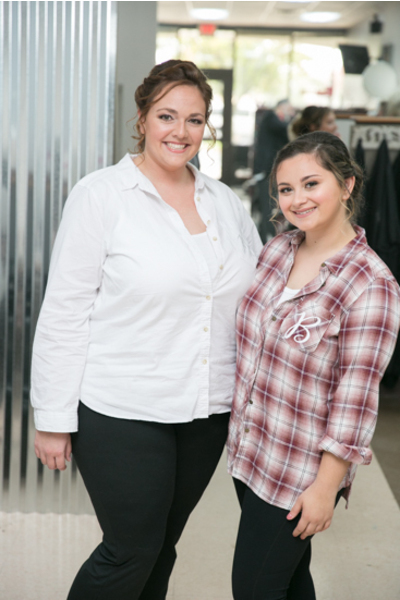 Once Brianna felt all the details were perfected, she was ready to reveal her final look to her dad! 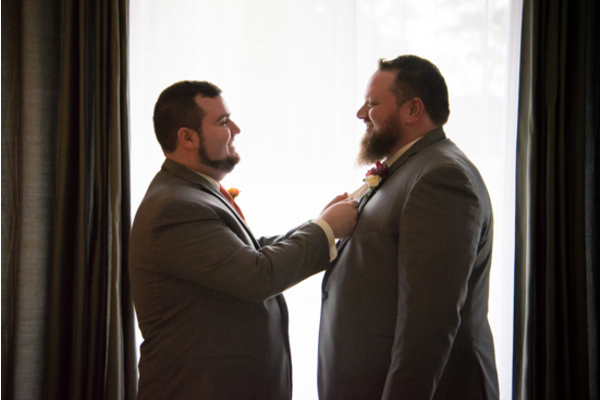 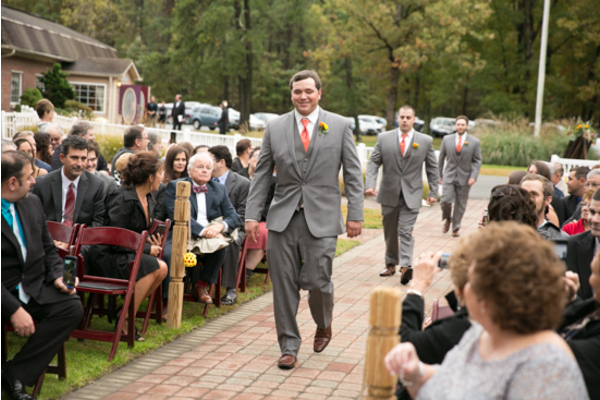 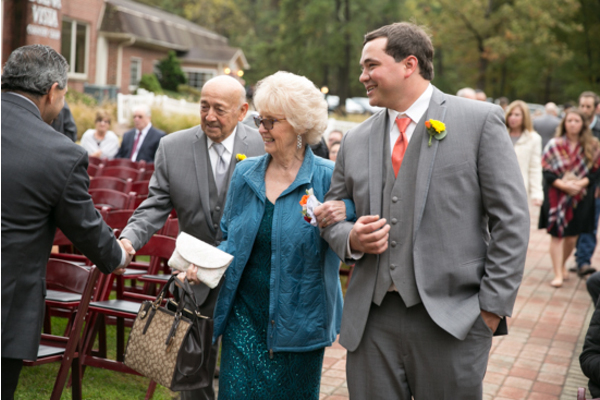 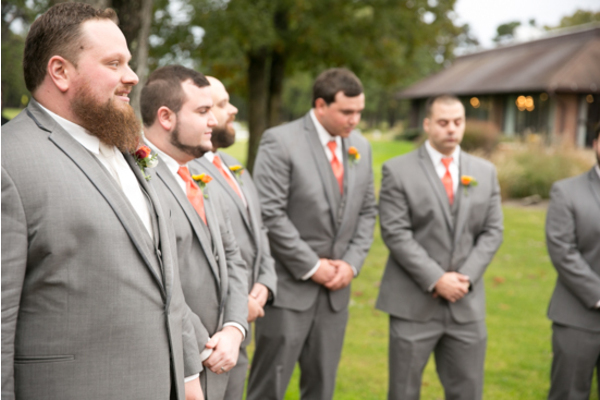 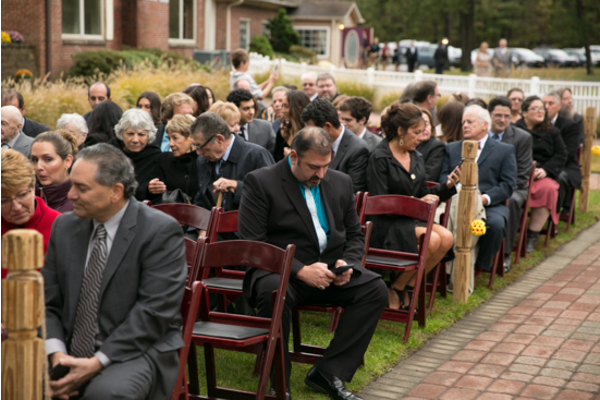 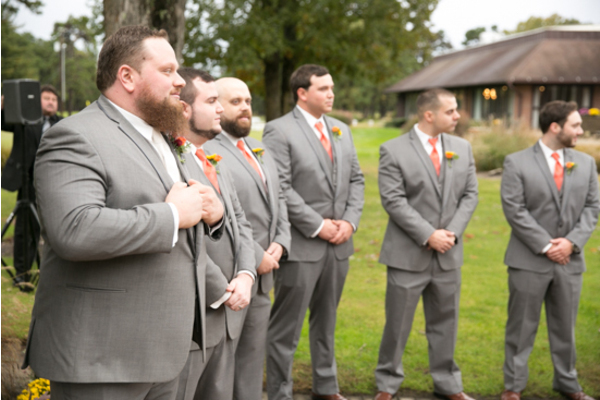 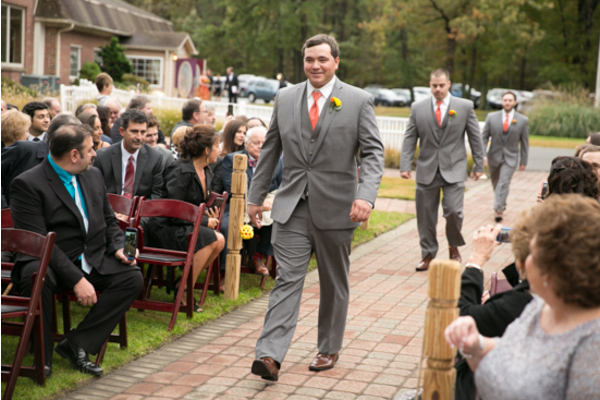 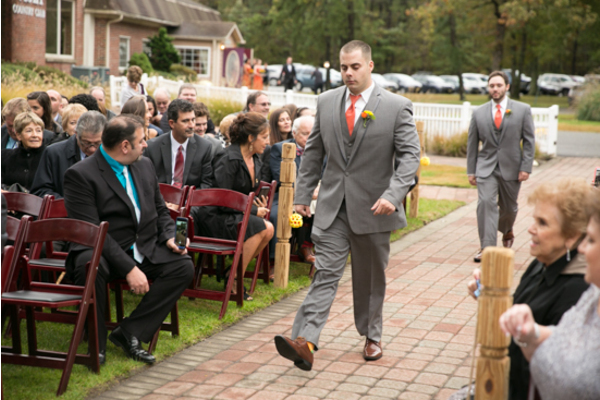 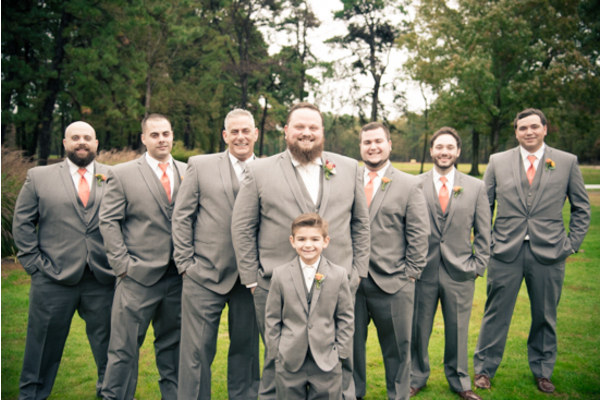 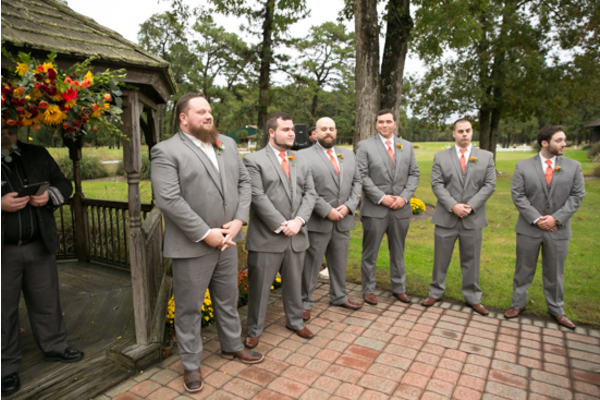 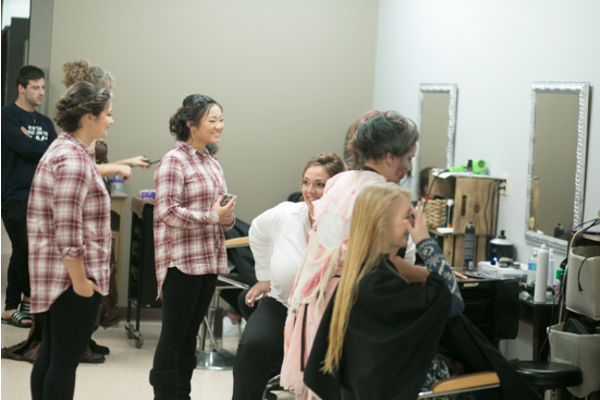 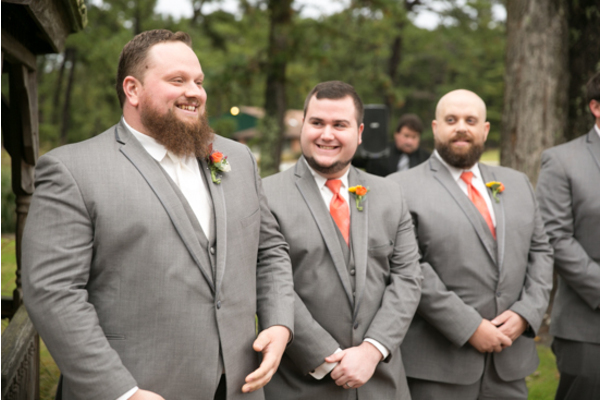 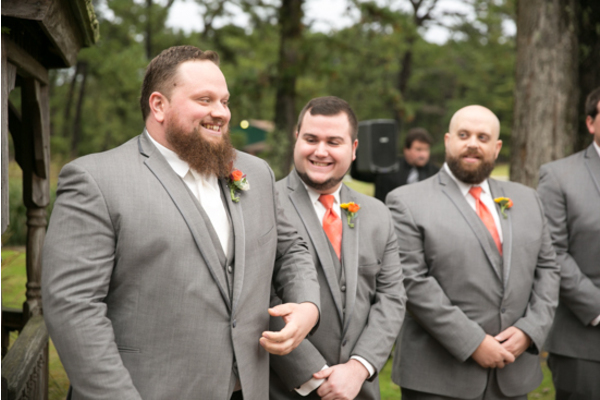 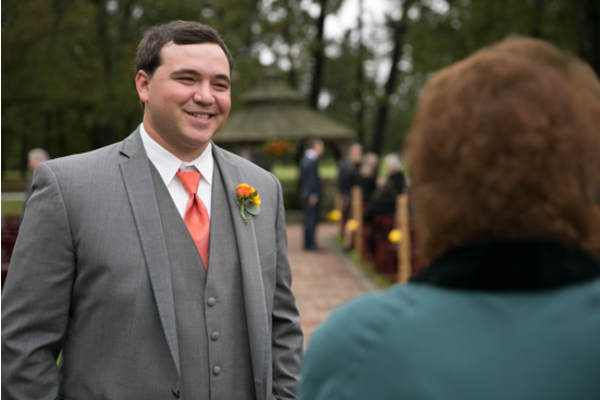 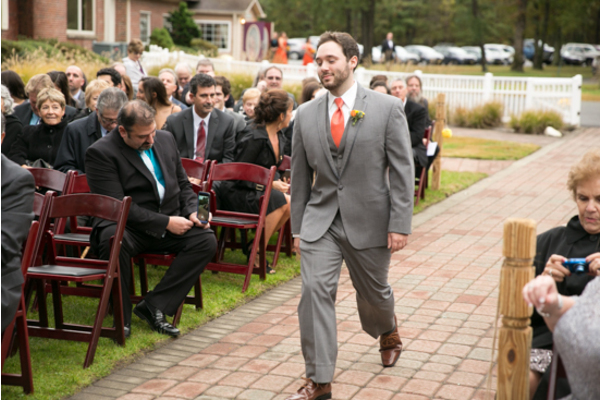 Nearby, Giacomo was spending some quality time with his groomsmen as he finished preparing prior to the ceremony! 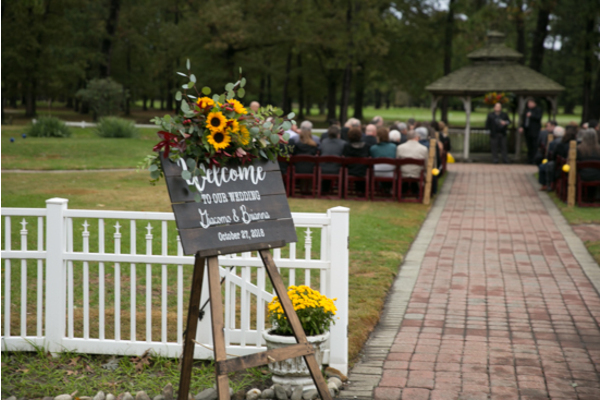 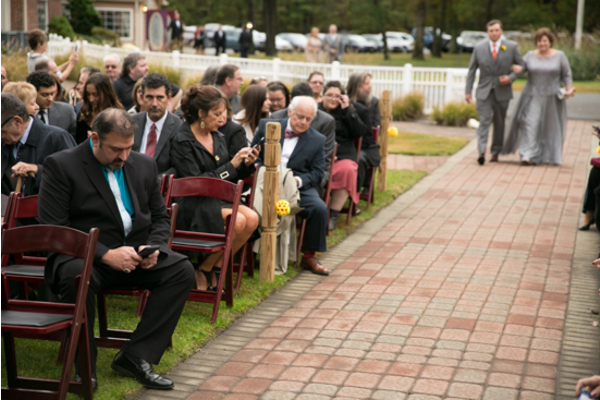 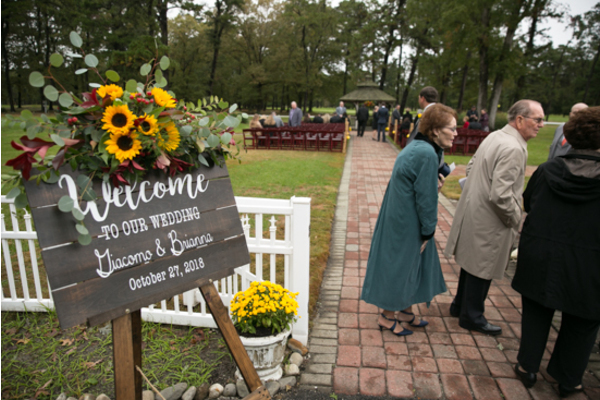 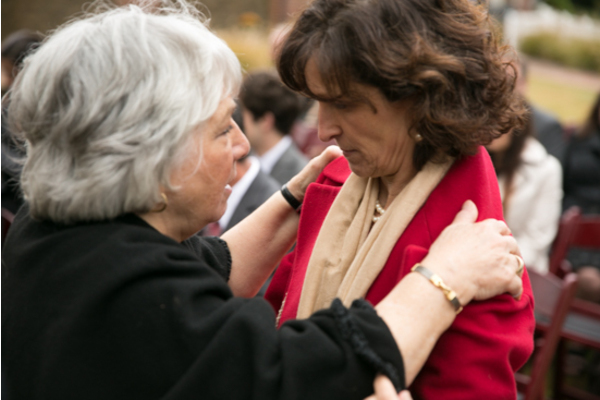 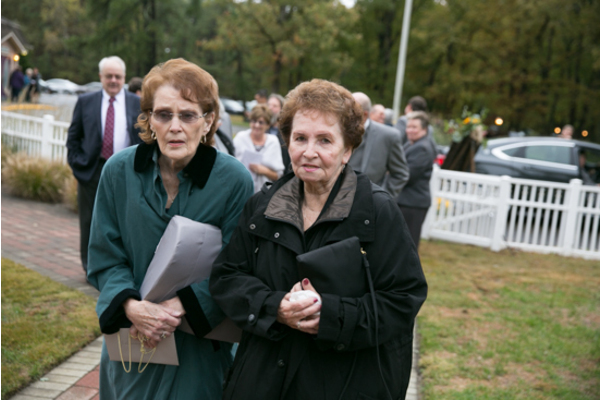 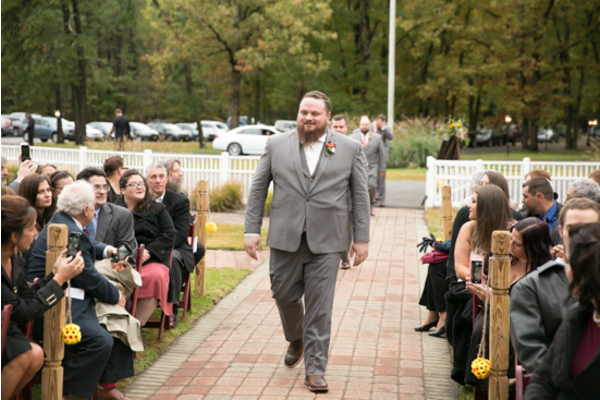 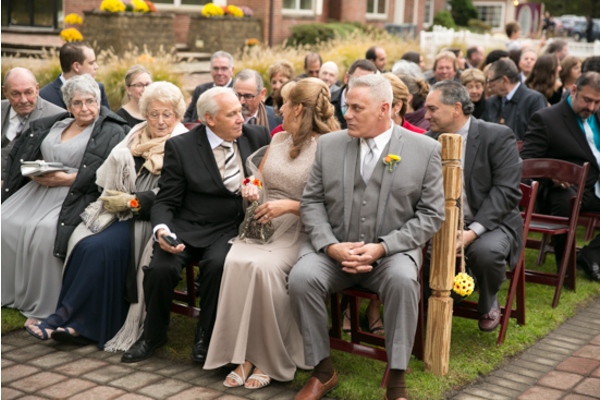 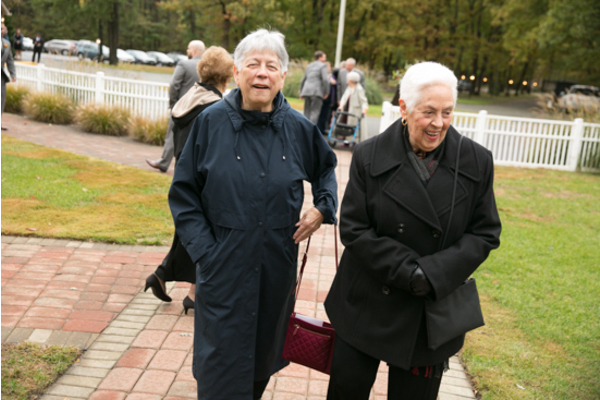 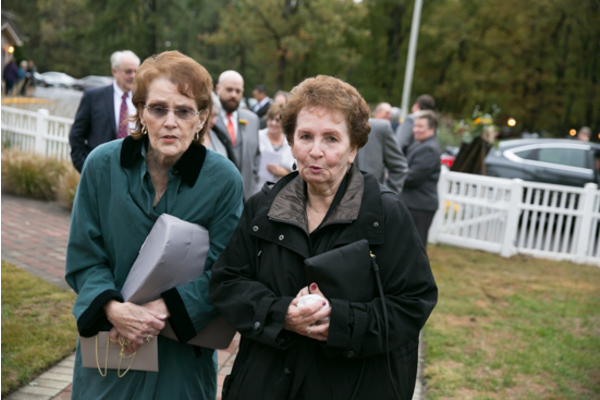 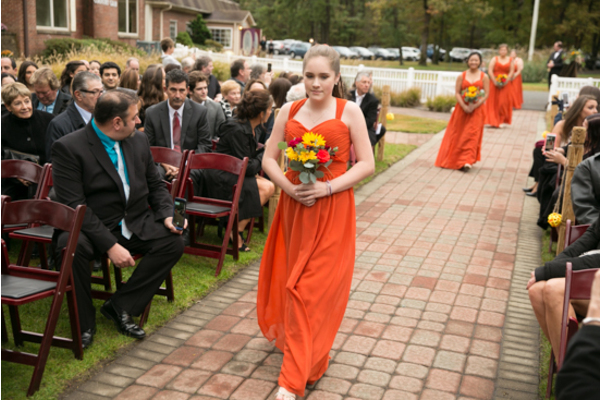 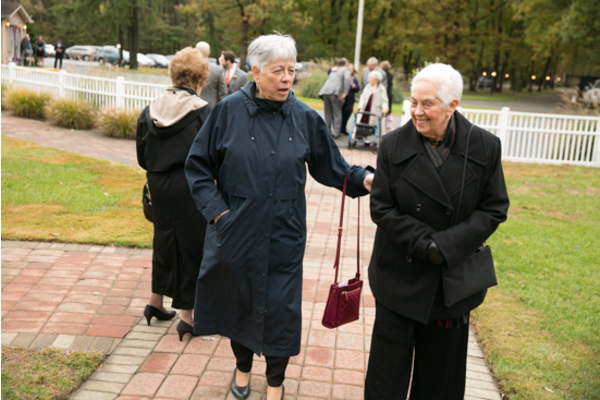 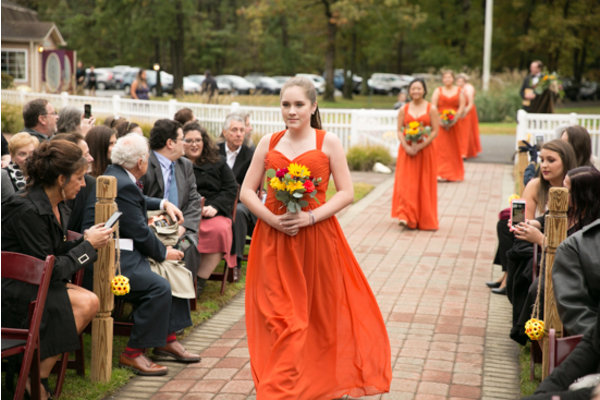 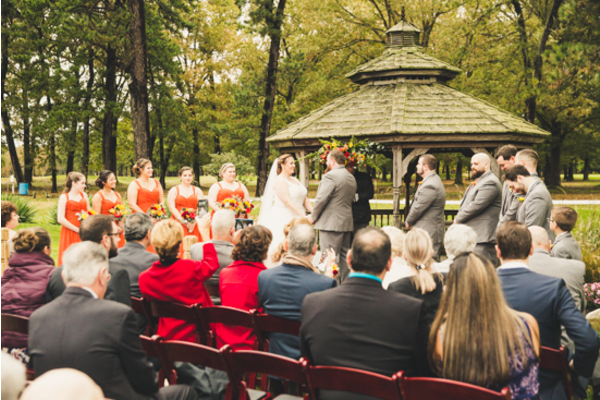 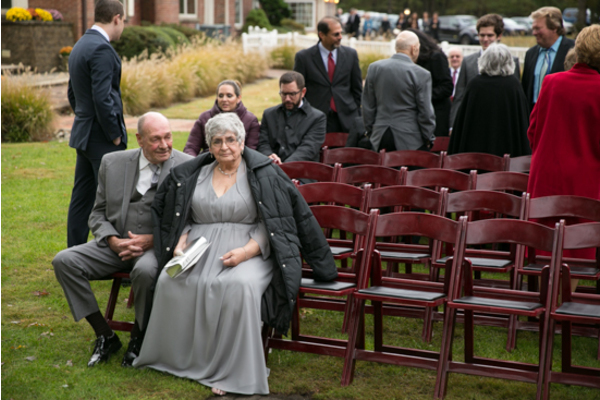 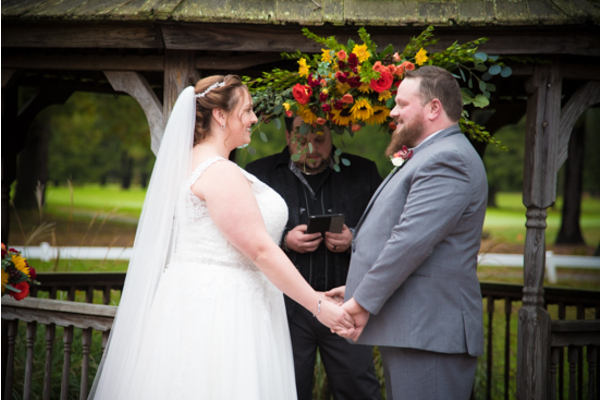 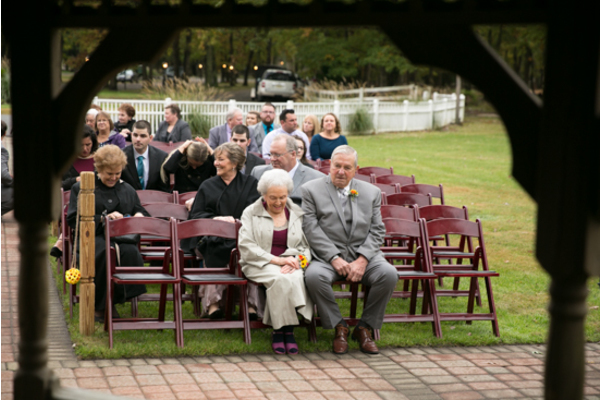 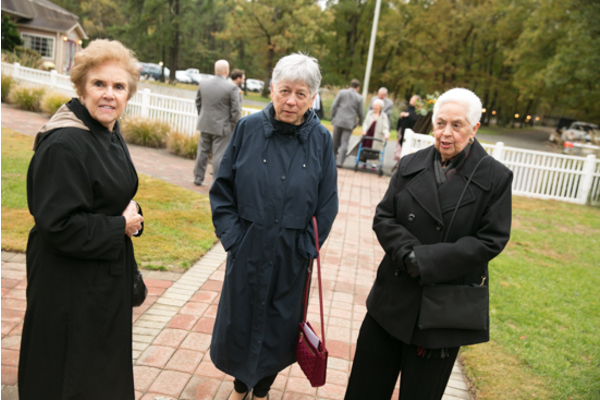 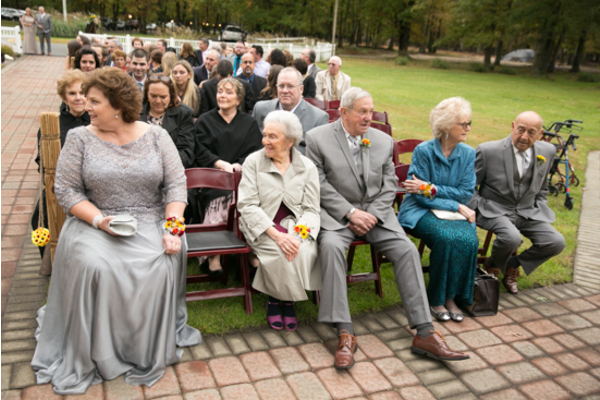 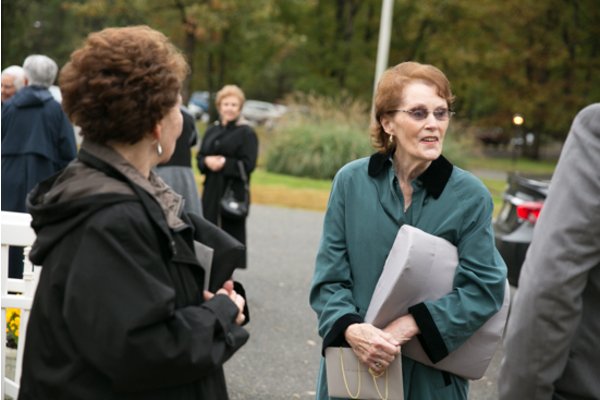 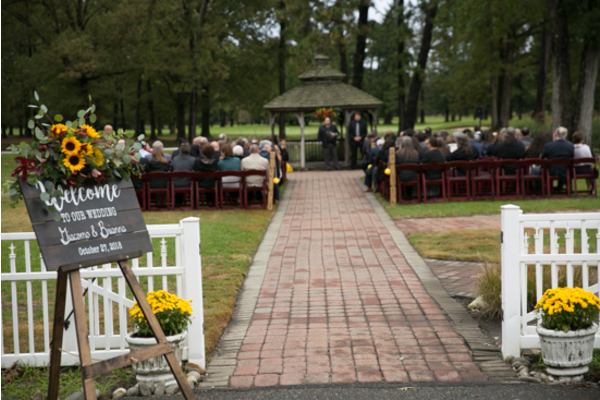 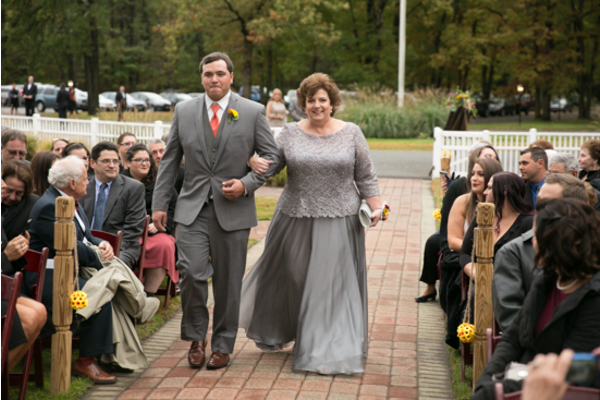 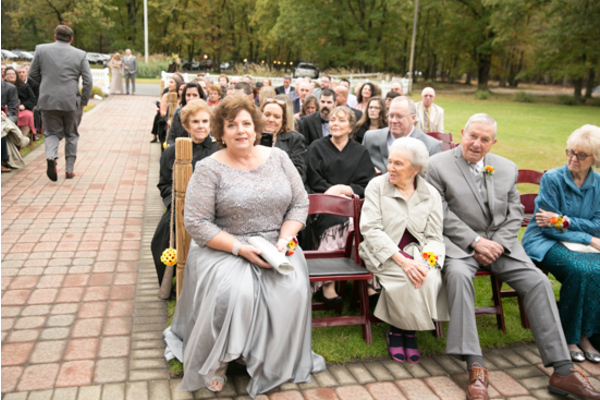 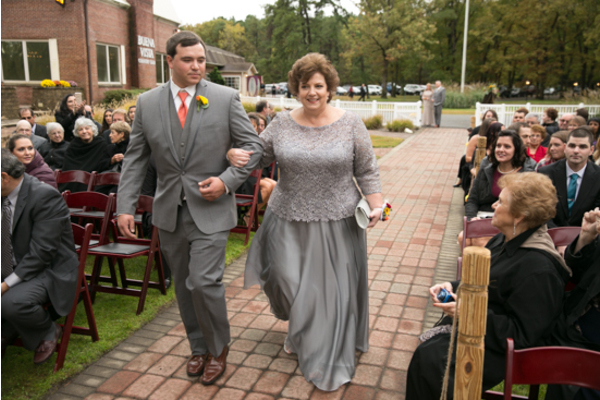 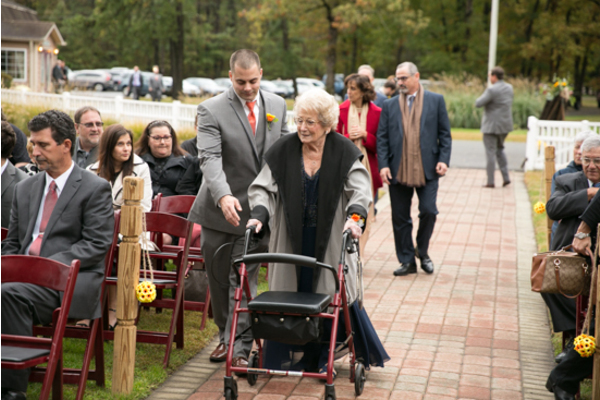 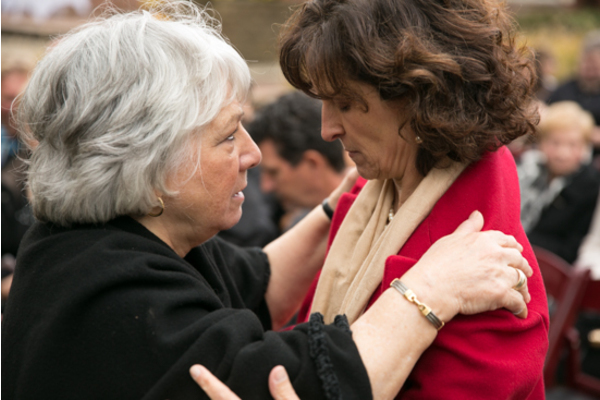 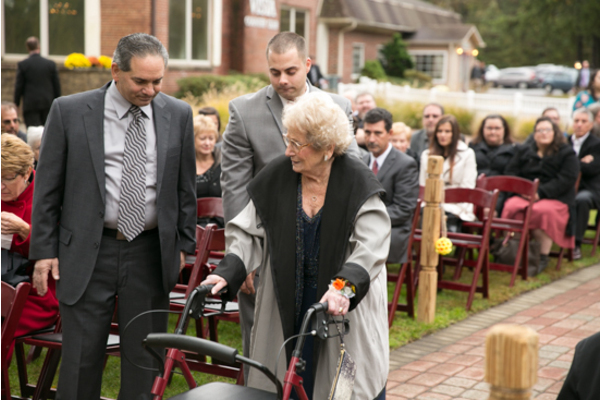 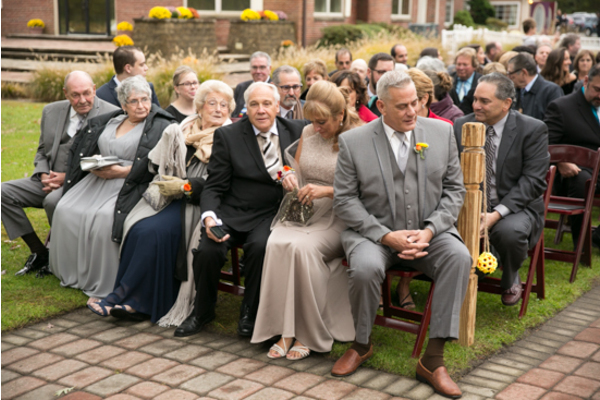 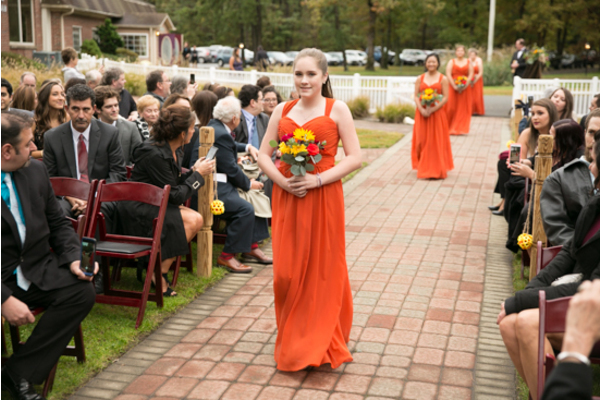 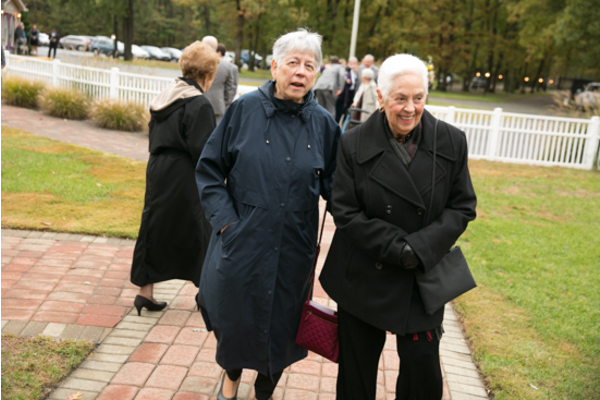 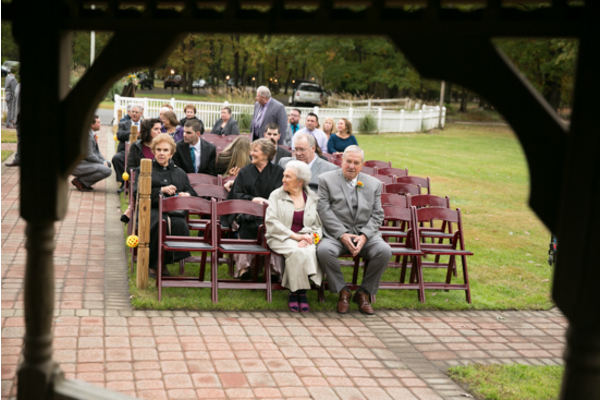 Overall, this outdoor fall ceremony was unlike any other. 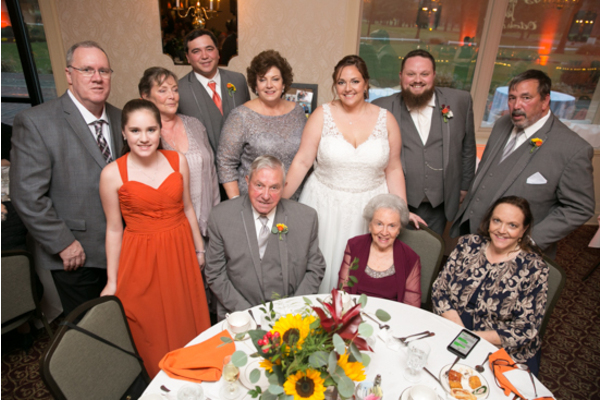 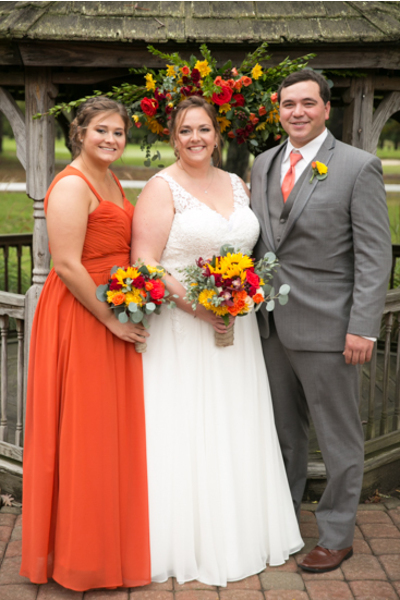 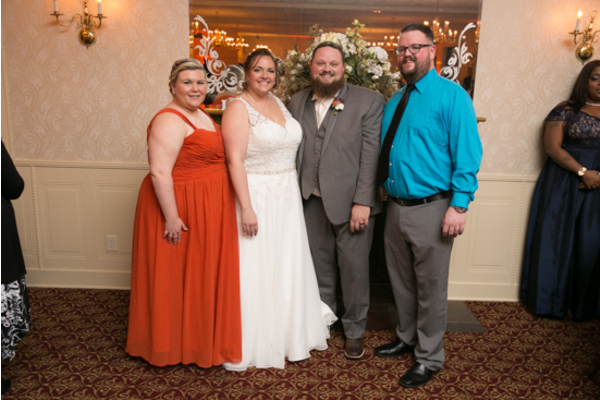 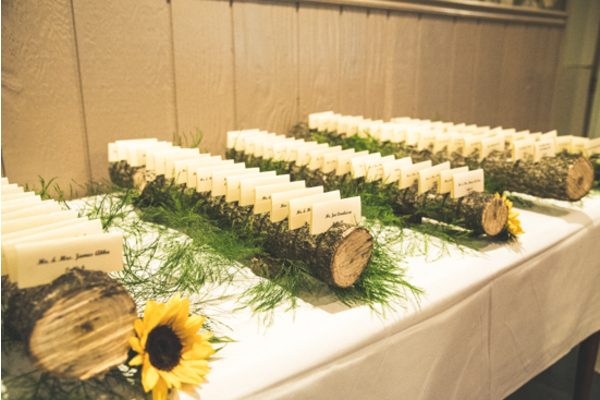 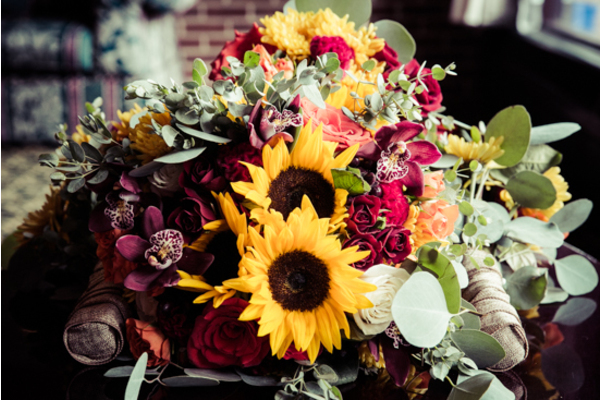 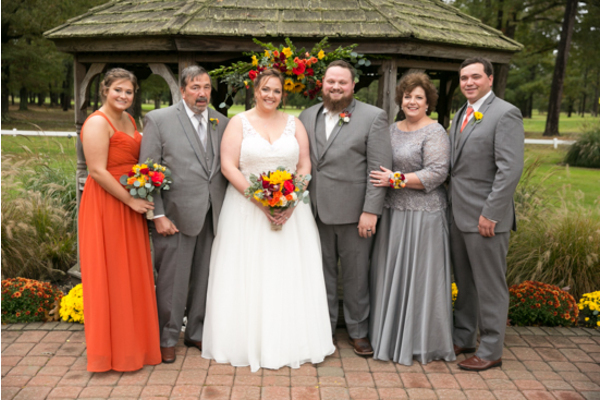 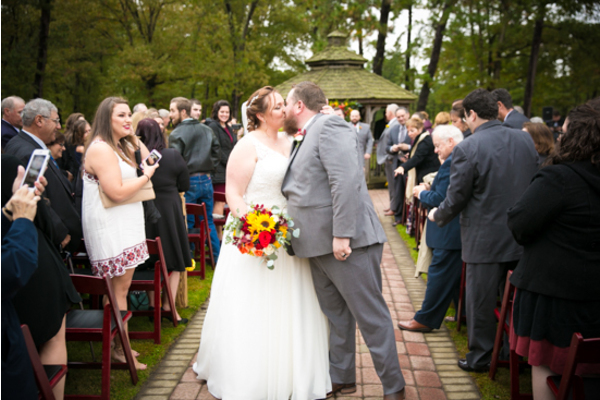 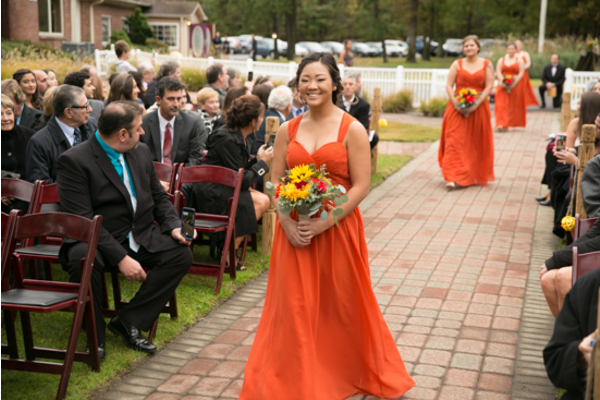 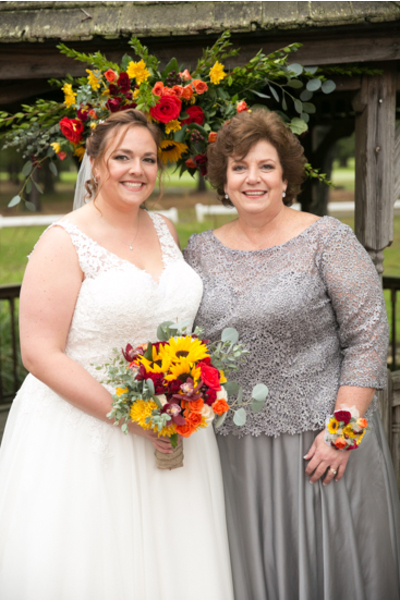 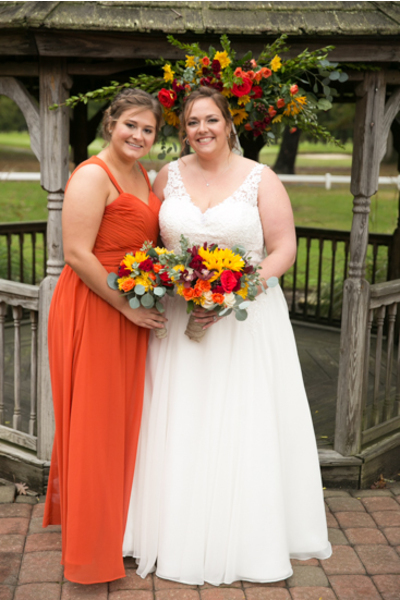 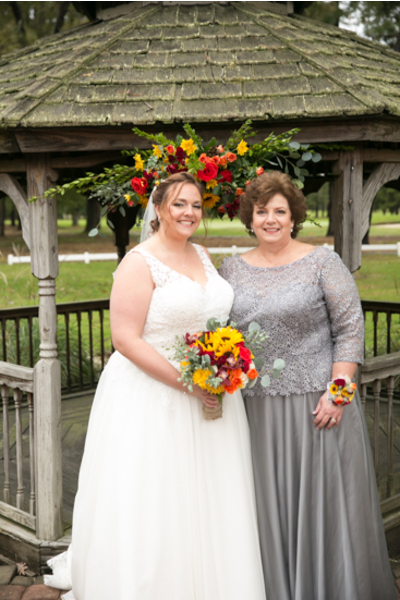 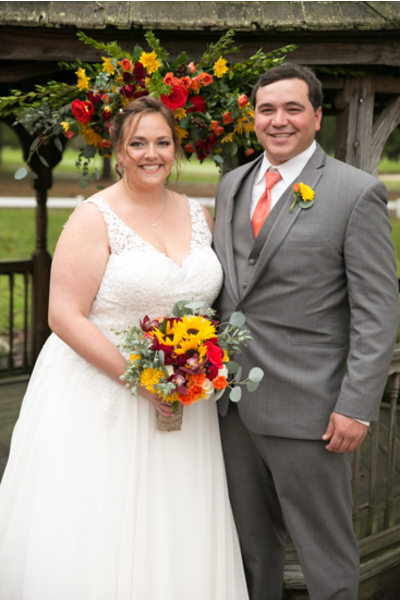 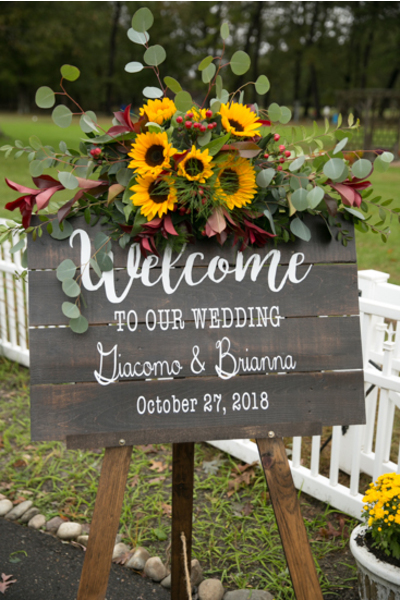 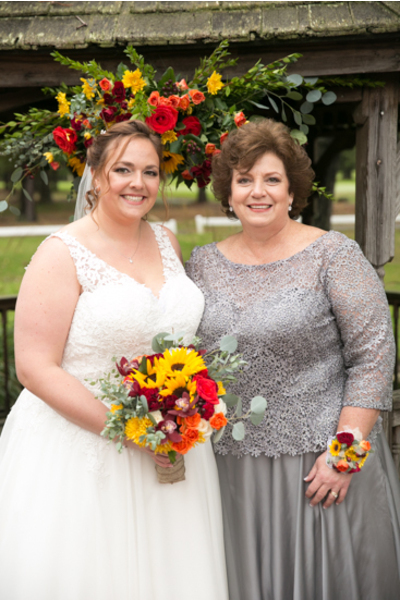 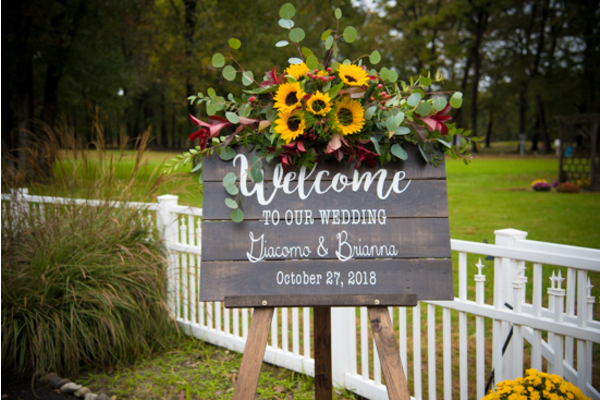 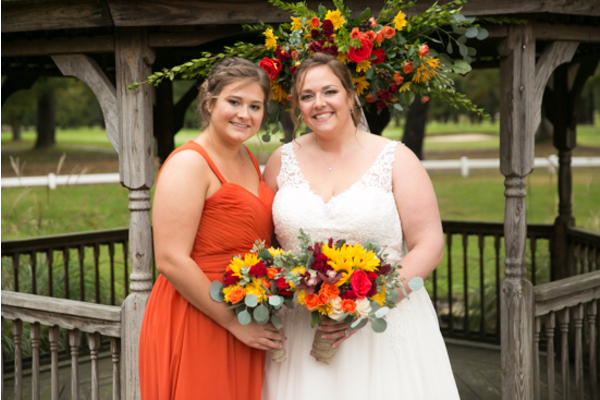 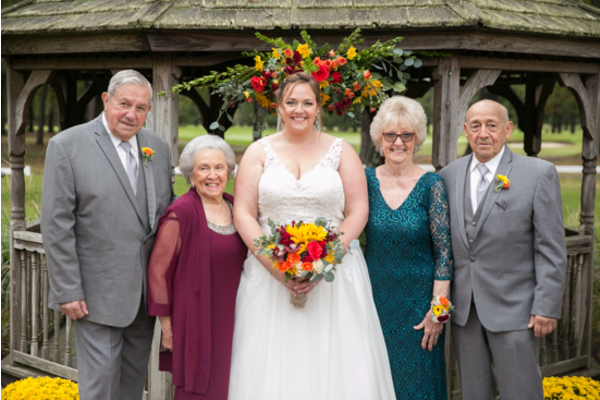 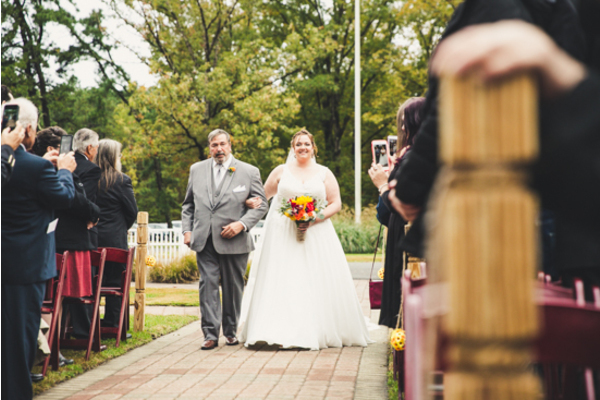 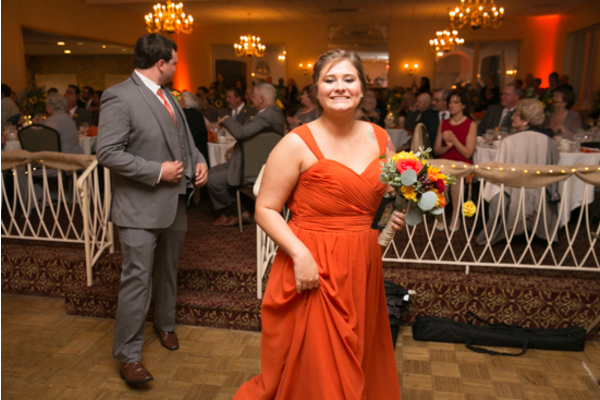 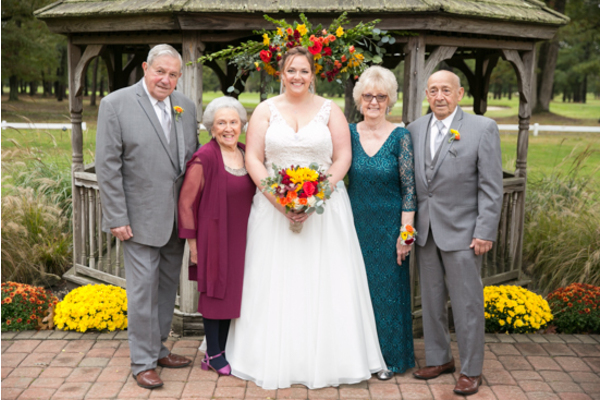 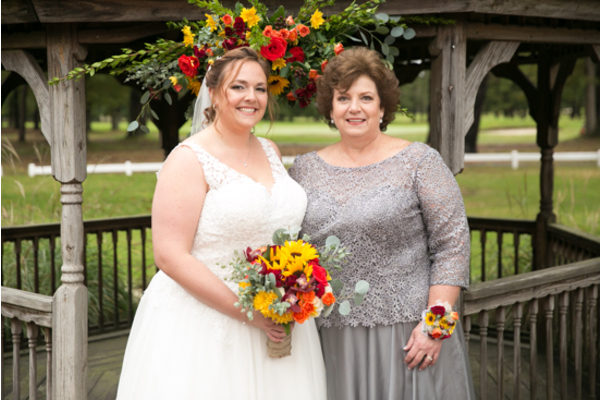 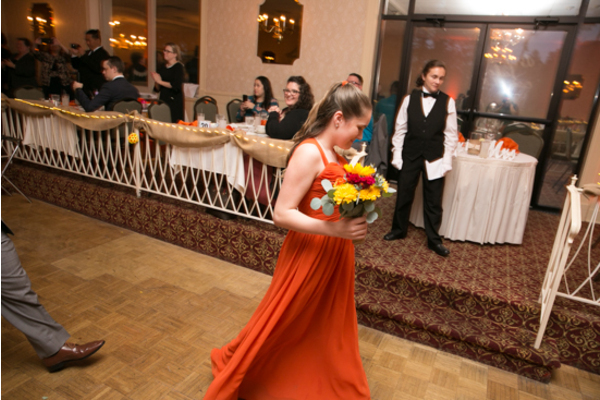 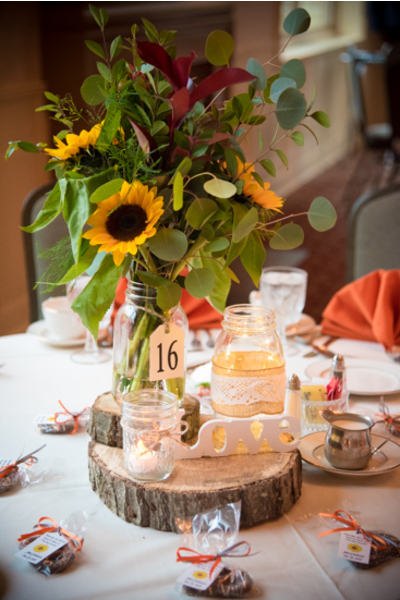 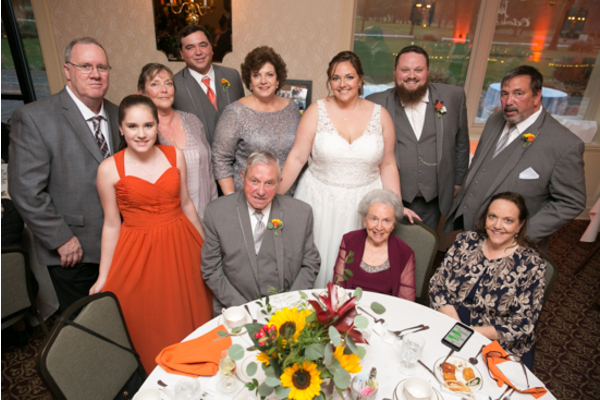 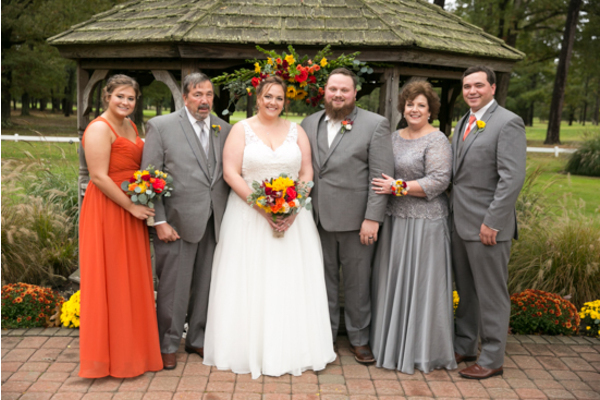 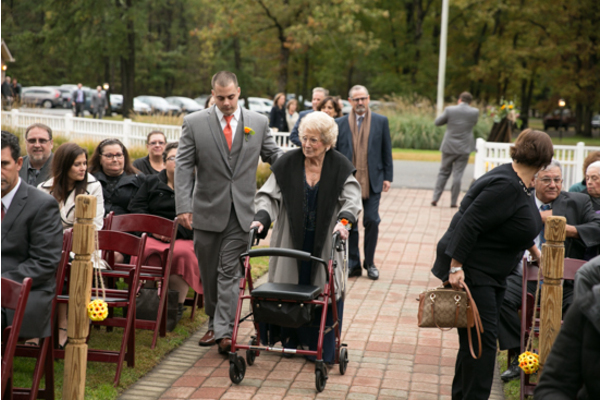 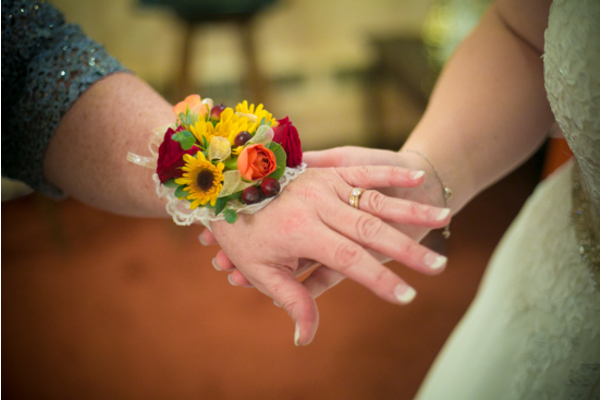 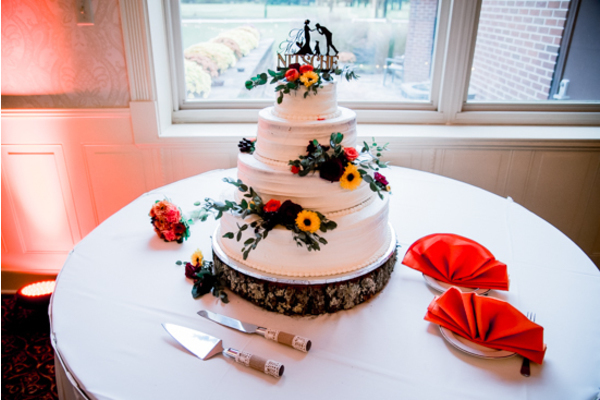 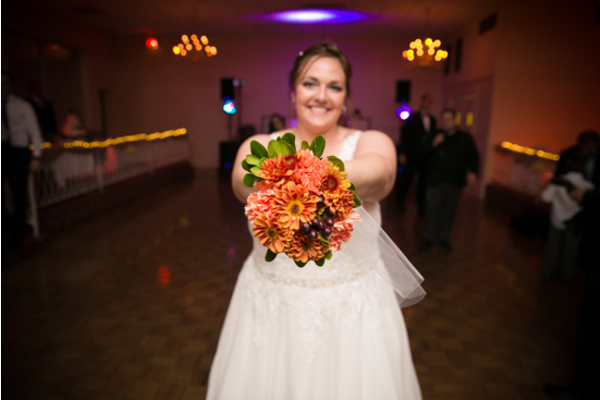 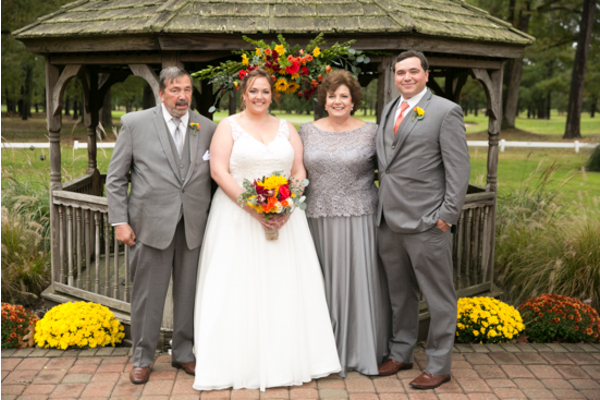 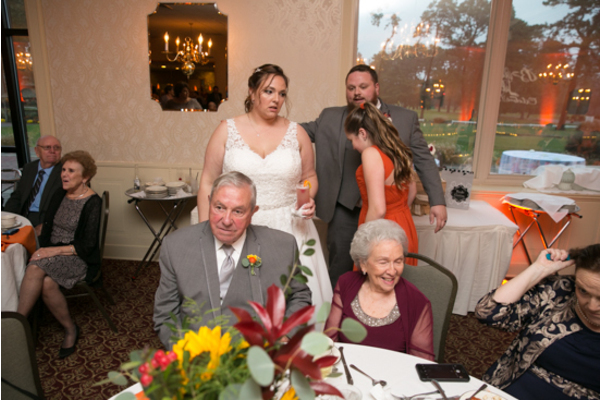 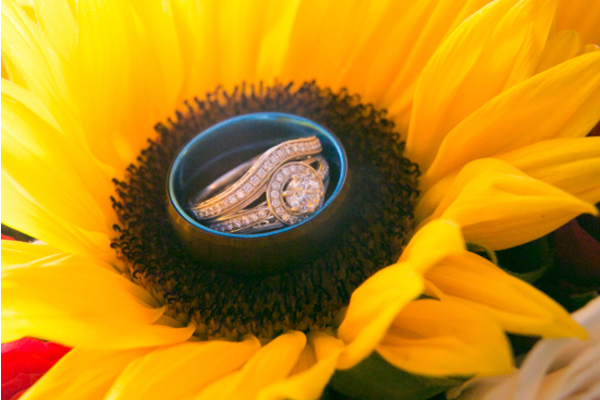 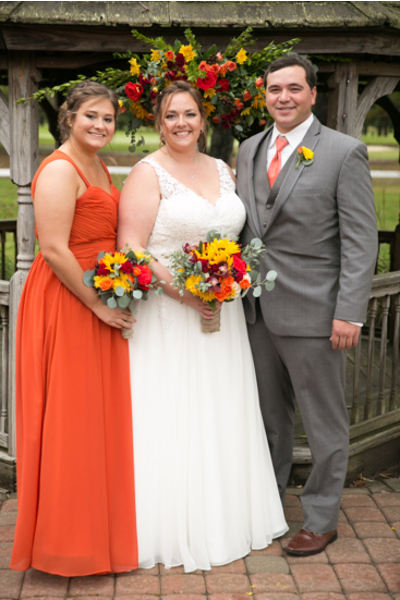 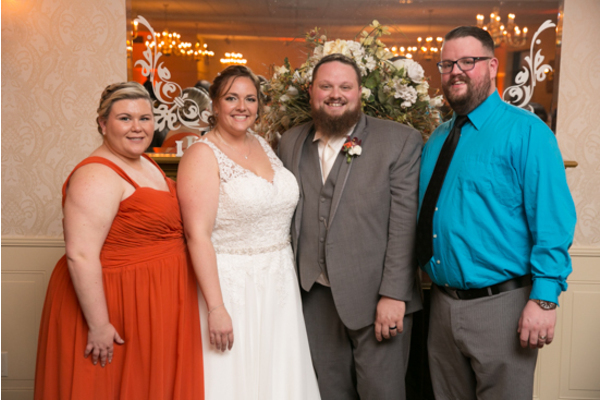 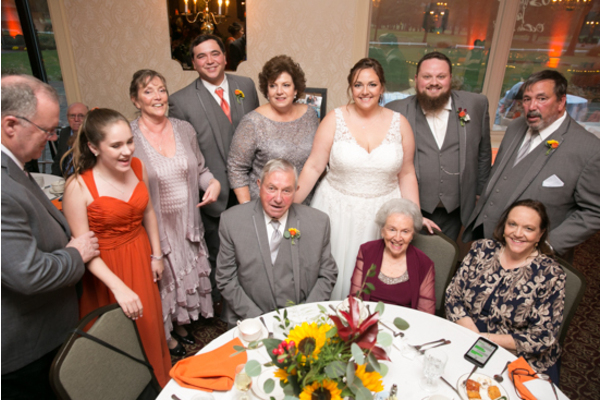 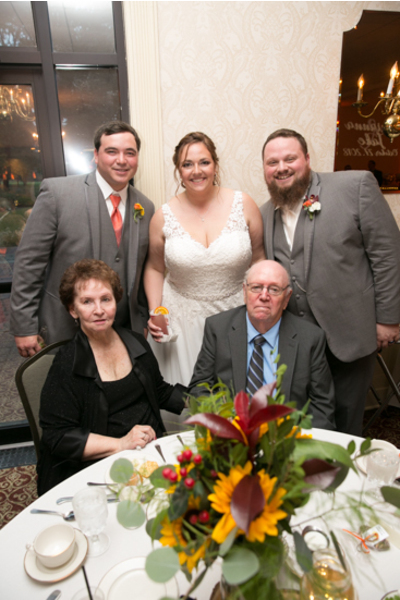 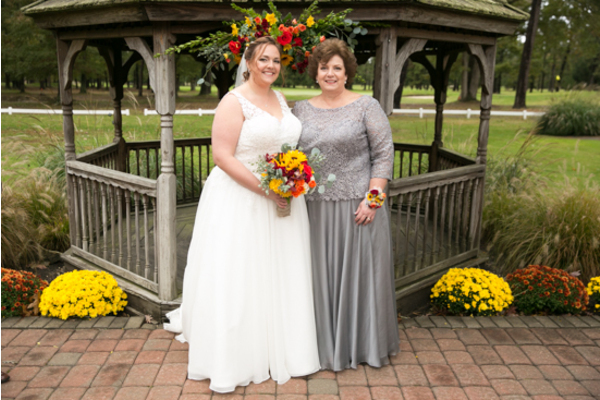 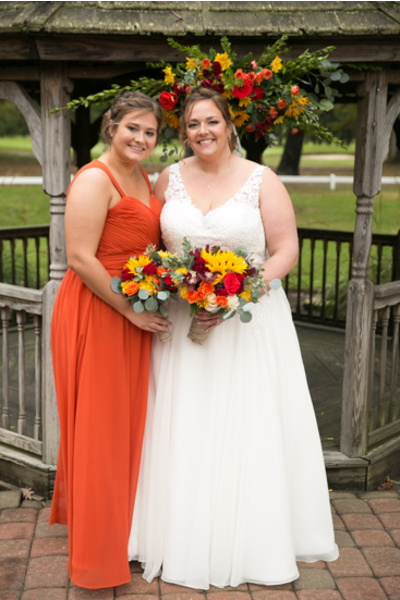 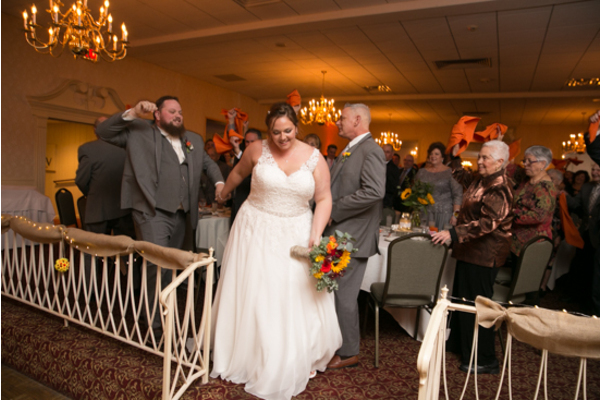 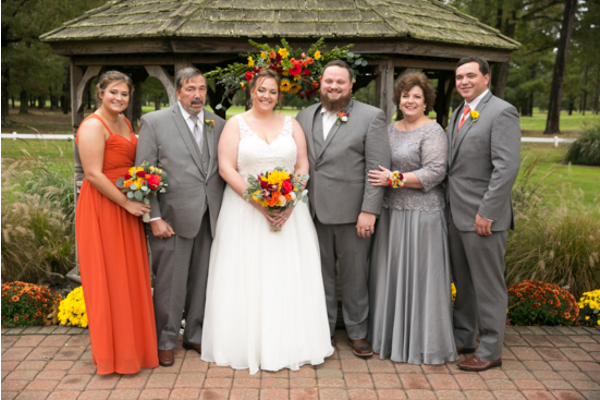 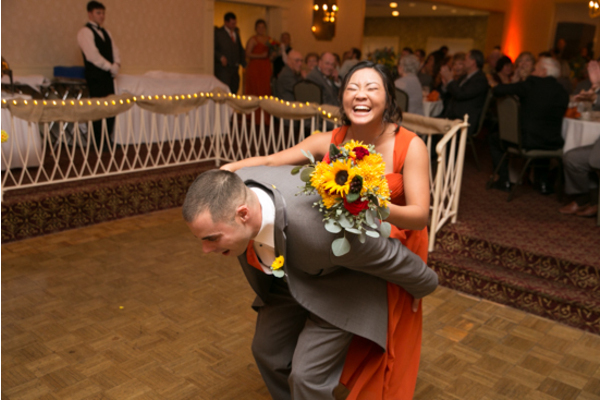 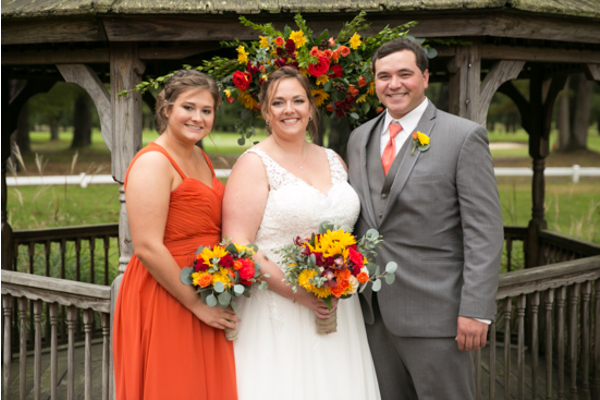 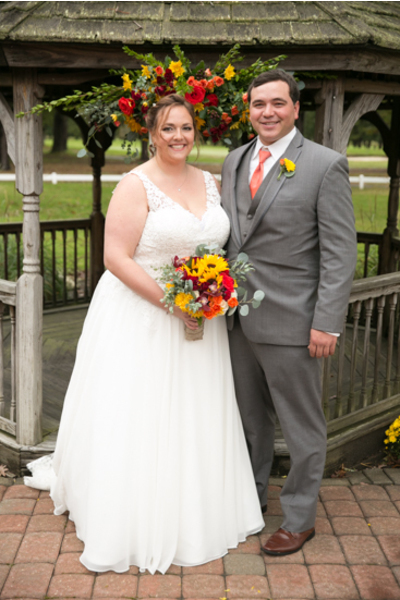 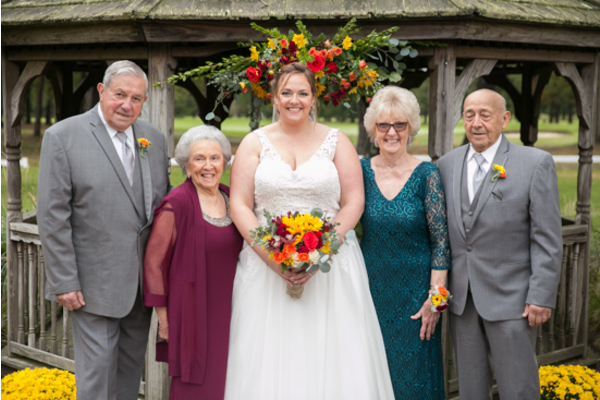 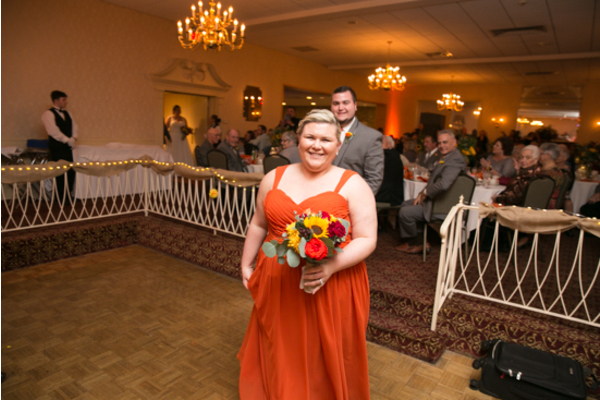 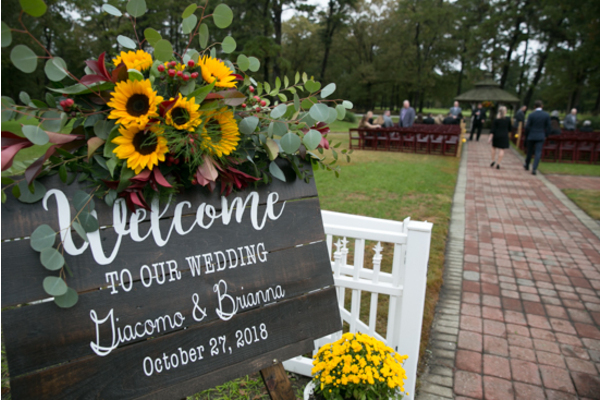 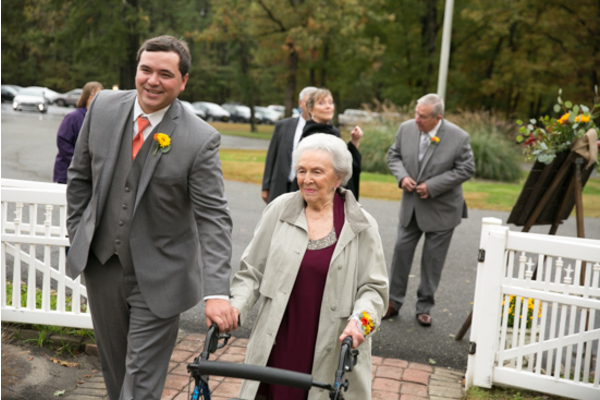 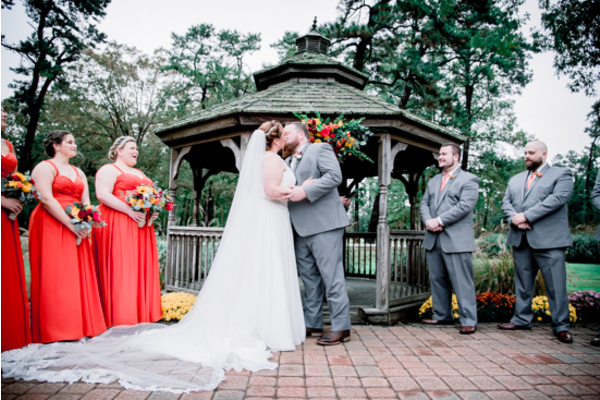 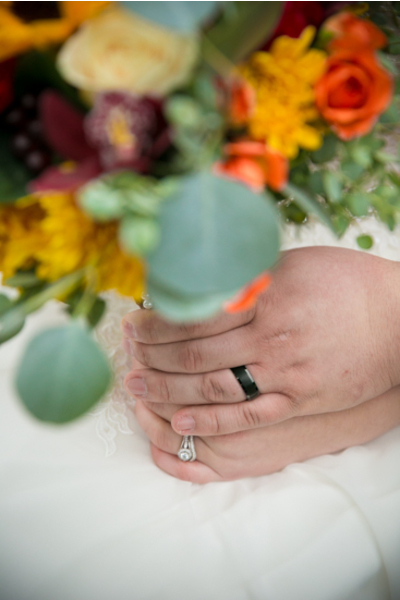 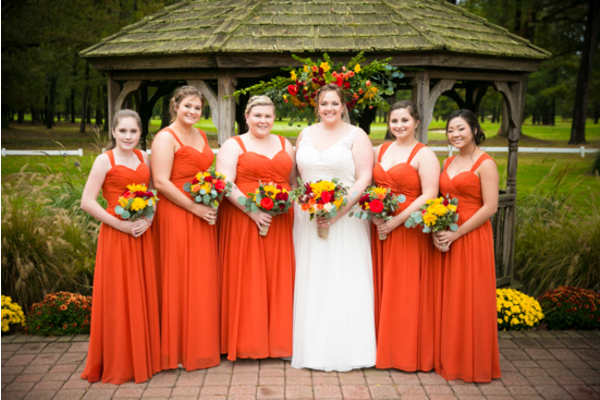 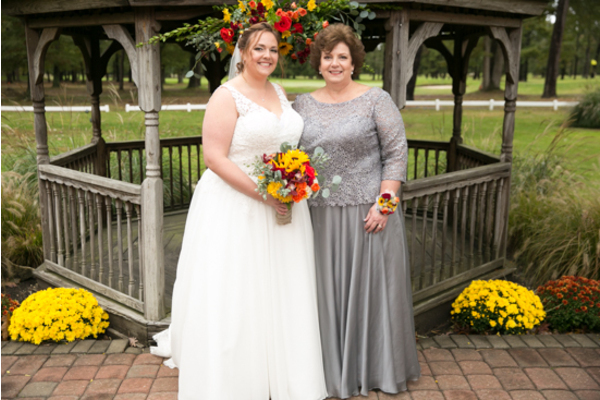 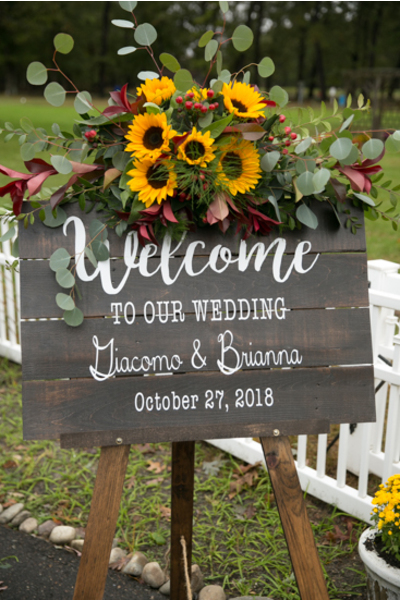 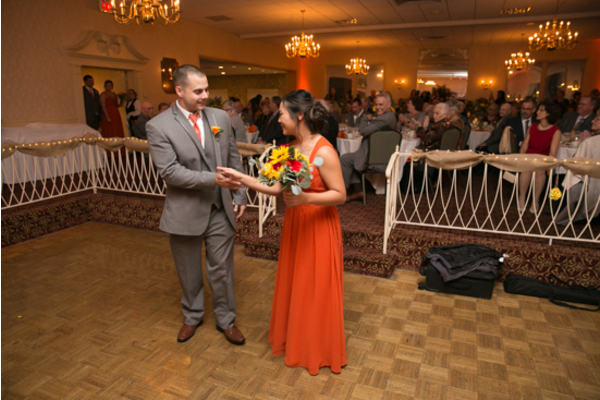 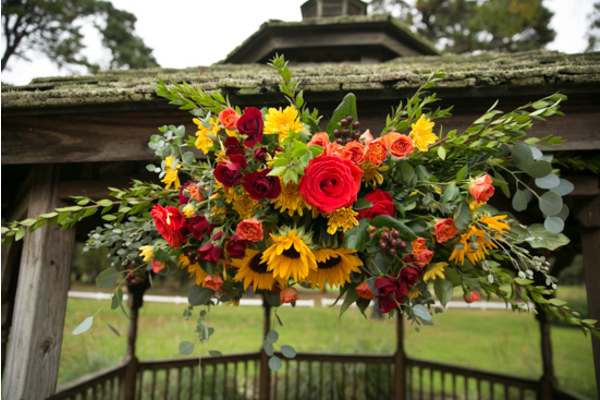 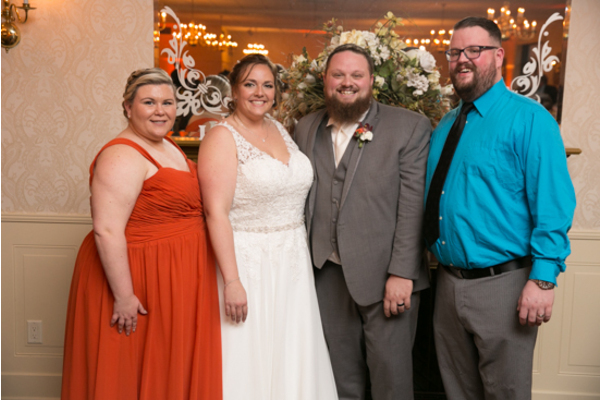 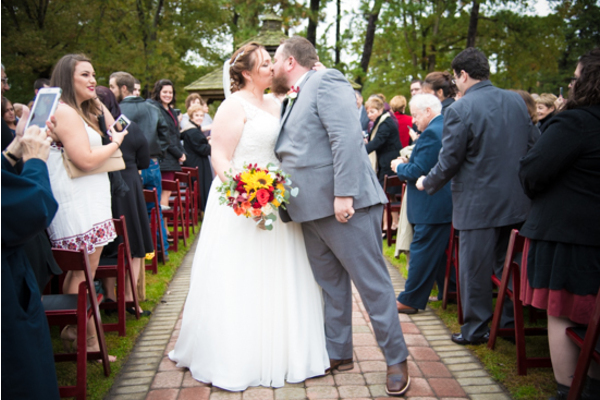 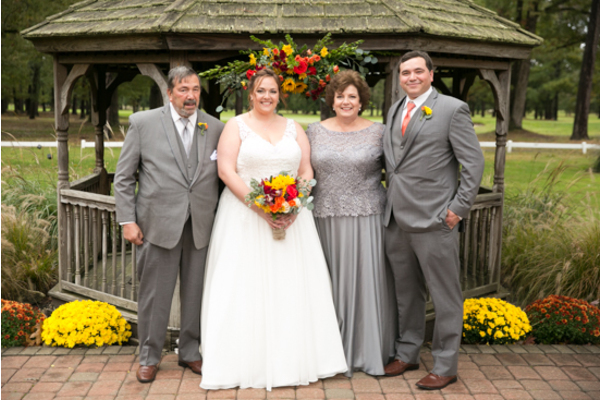 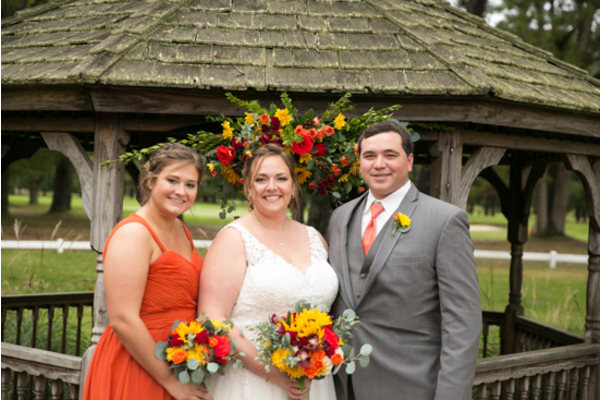 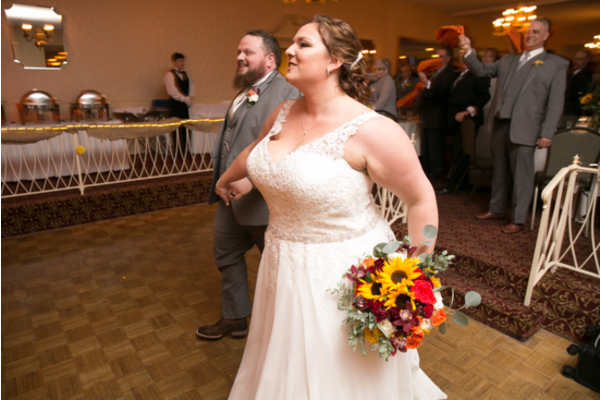 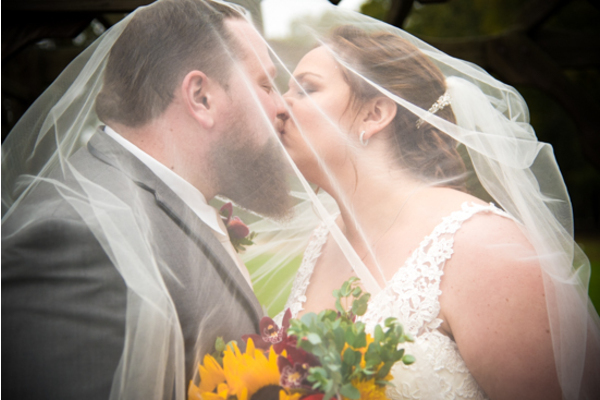 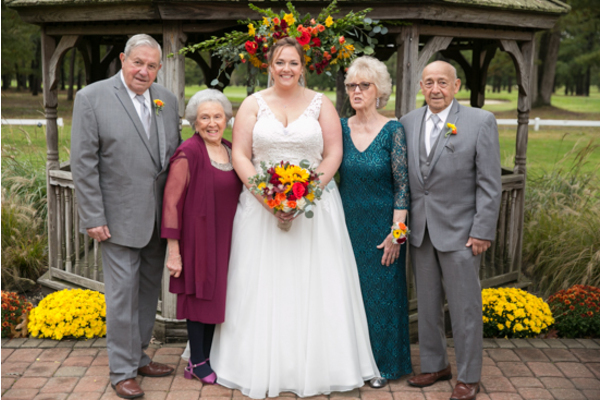 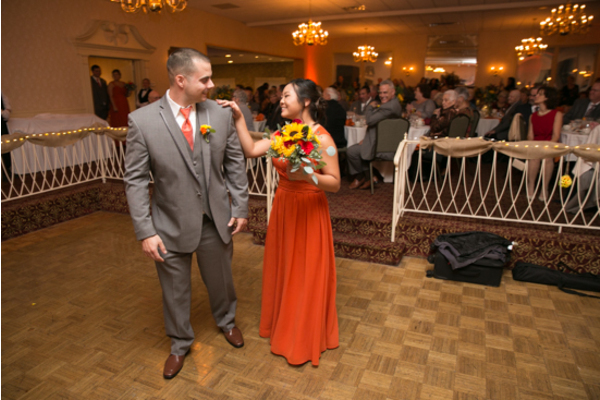 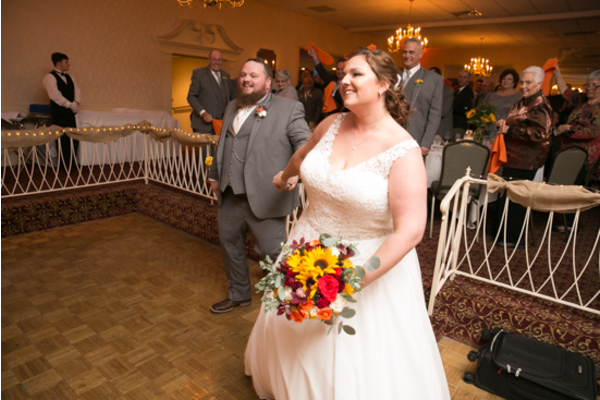 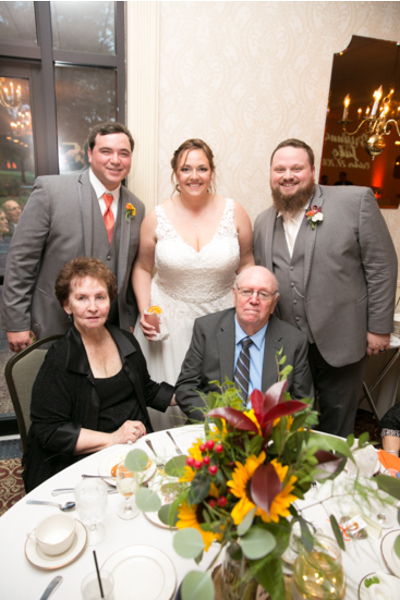 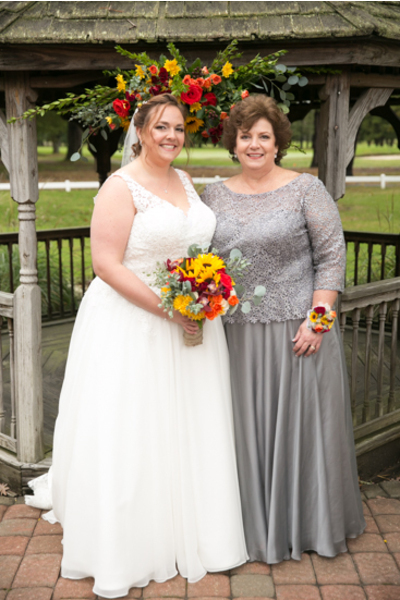 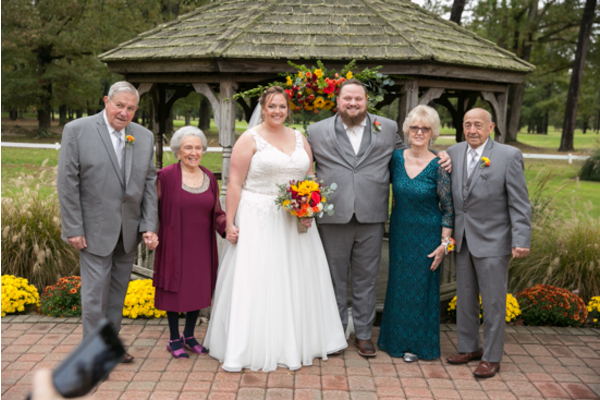 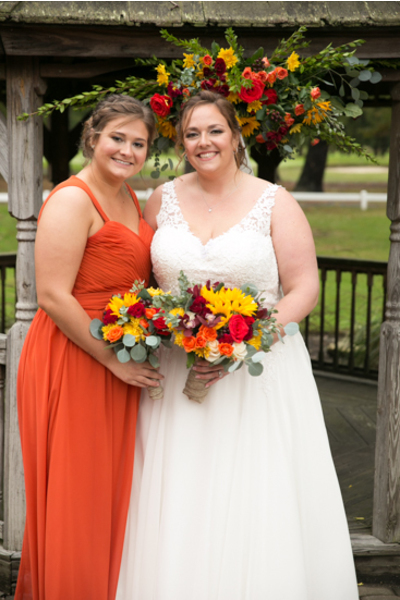 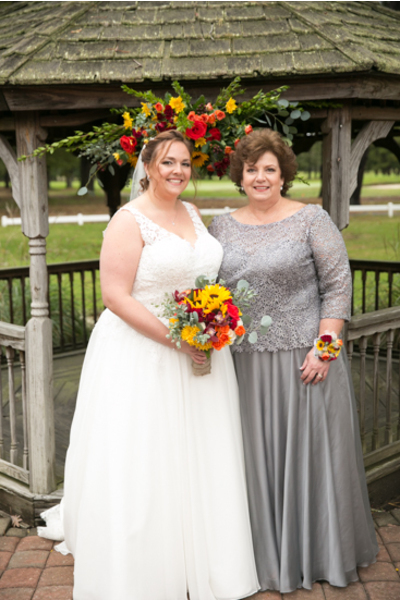 Brianna’s bouquet of bright orange, red and sunflowers stood out in the room! 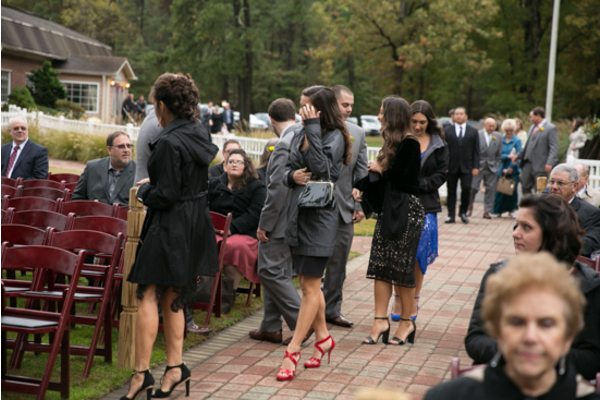 Moreover, Giacomo could not hold back his tears of joy as he watched Brianna make her way towards him. 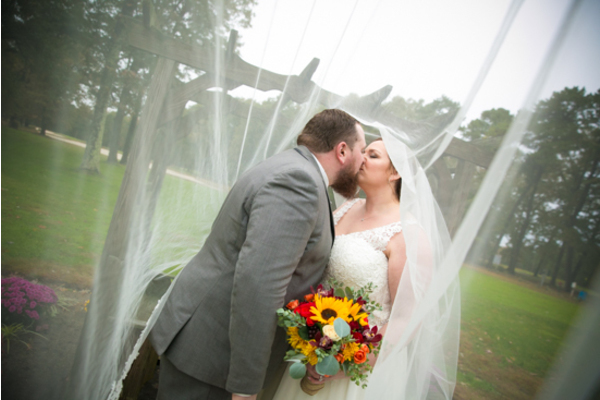 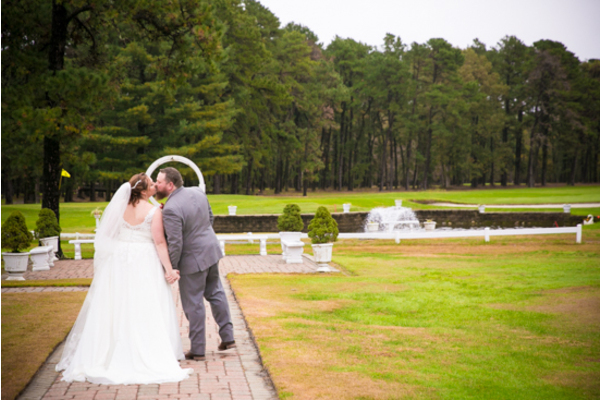 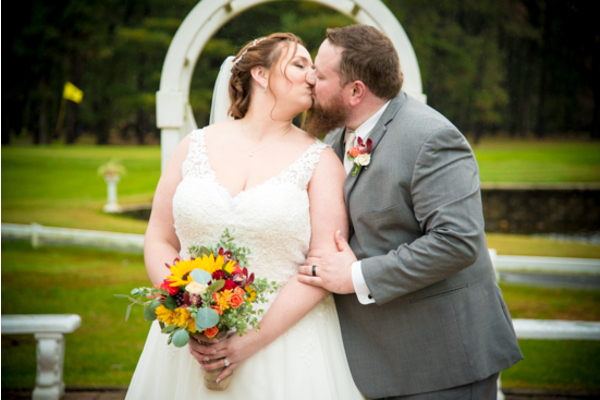 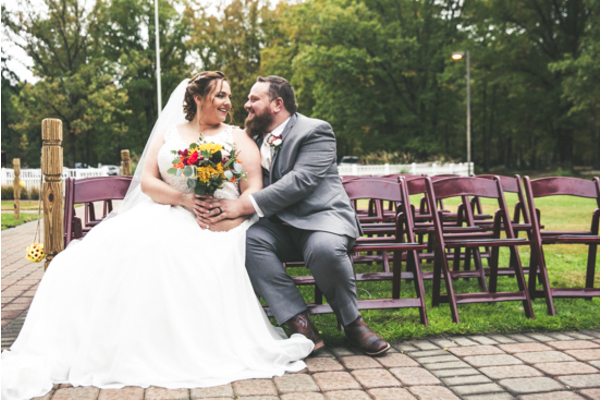 Our NJ Wedding Photographer captured the unmatched love shared between the two as they exchanged their vows and made them official with a kiss. 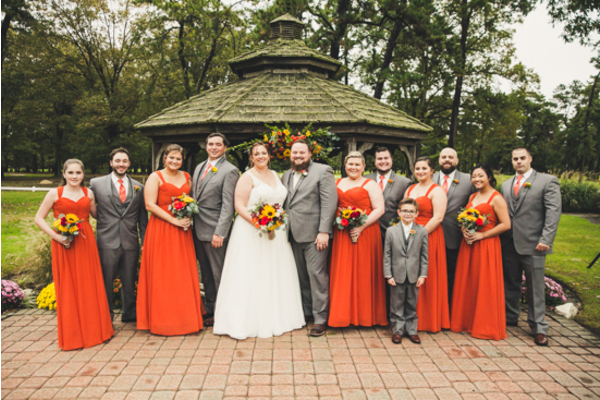 Full of happiness, the newlyweds got together with their loved ones for a few portraits before party time! 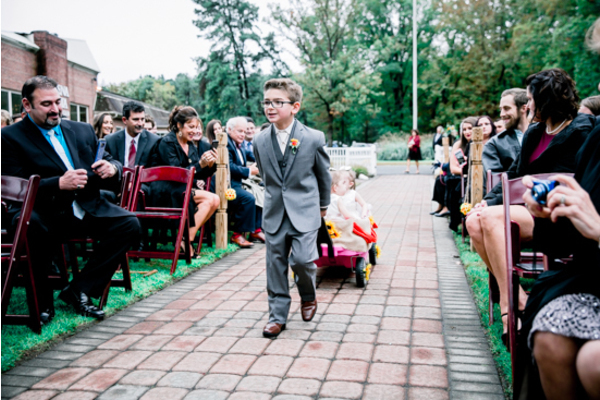 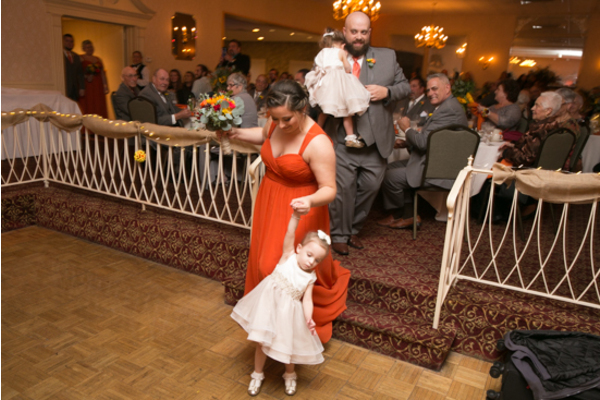 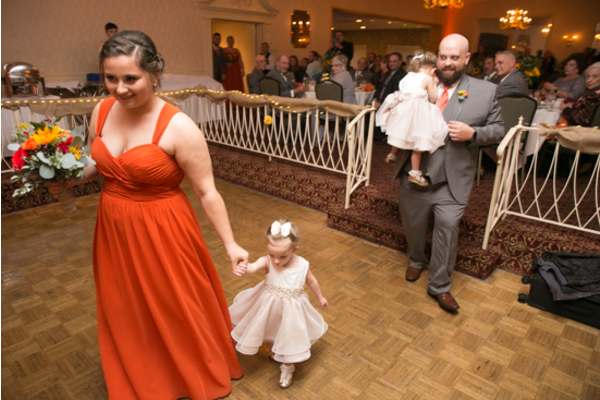 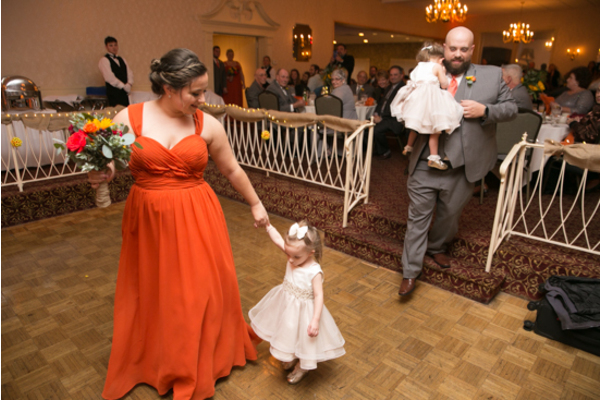 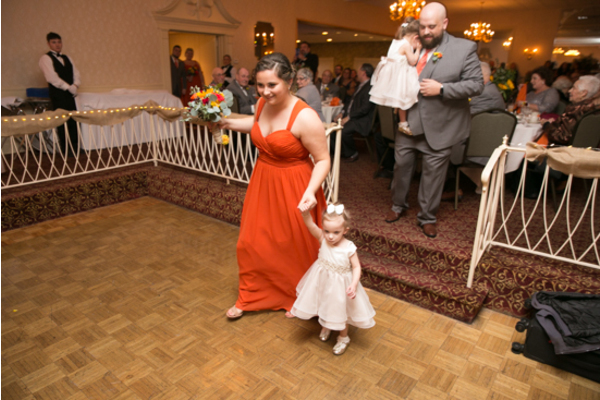 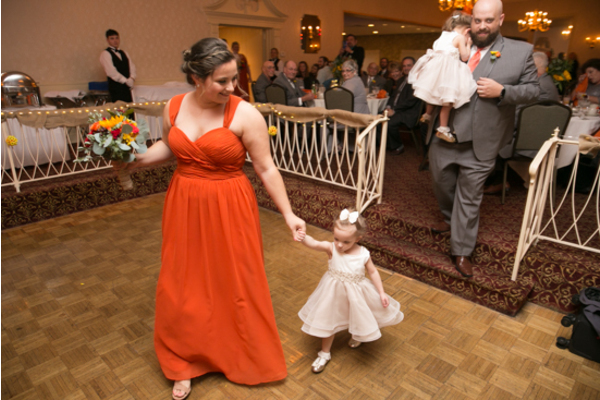 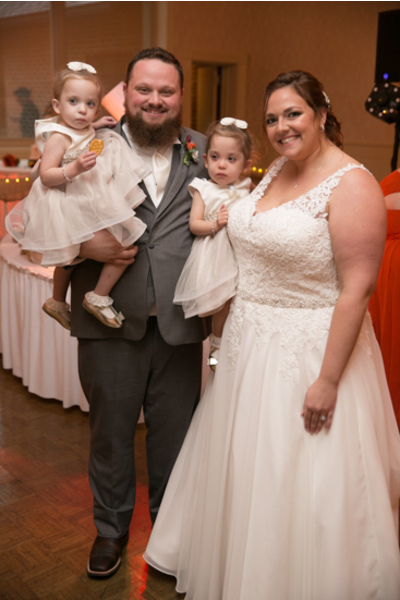 Next, Brianna and Giacomo were met by absolute joy during their grand entrance. 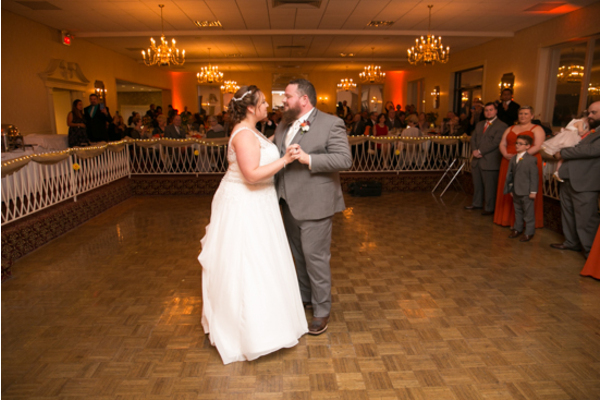 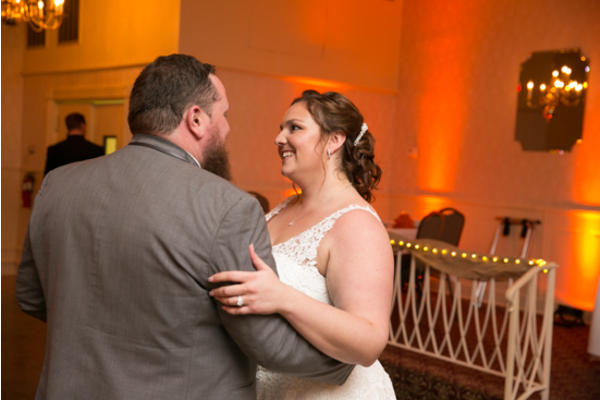 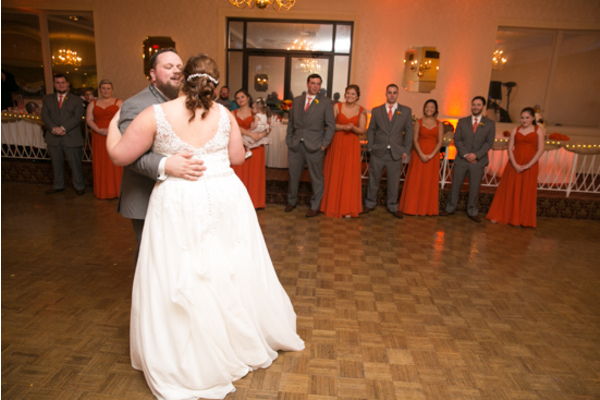 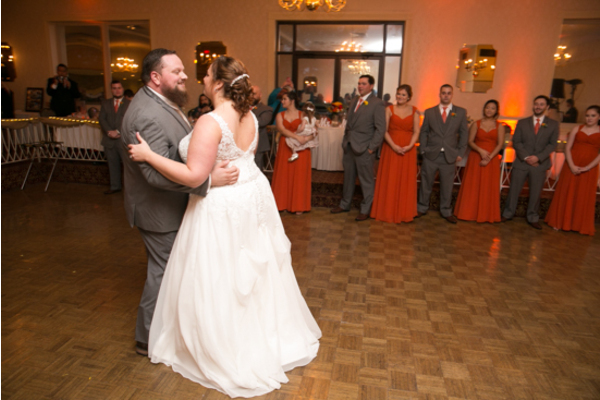 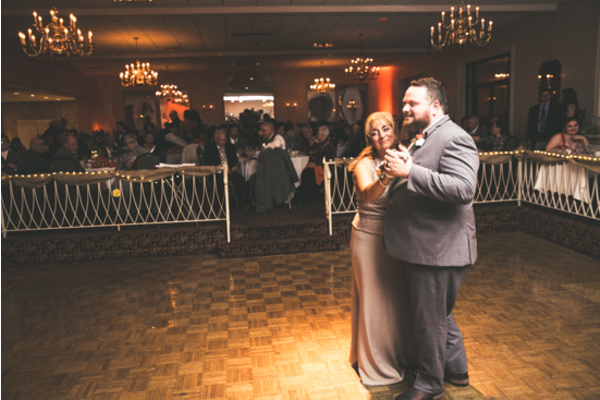 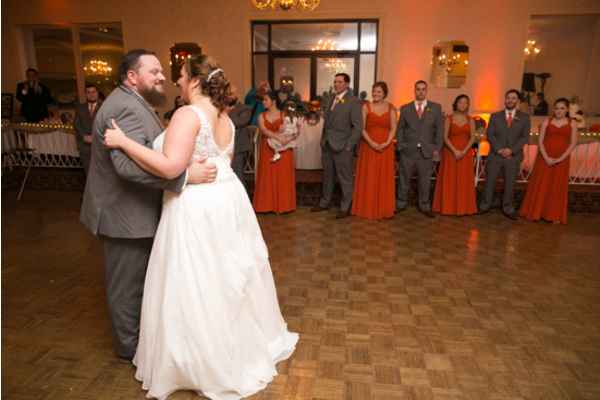 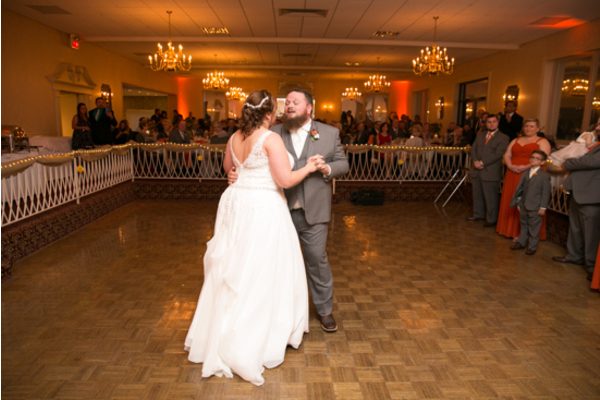 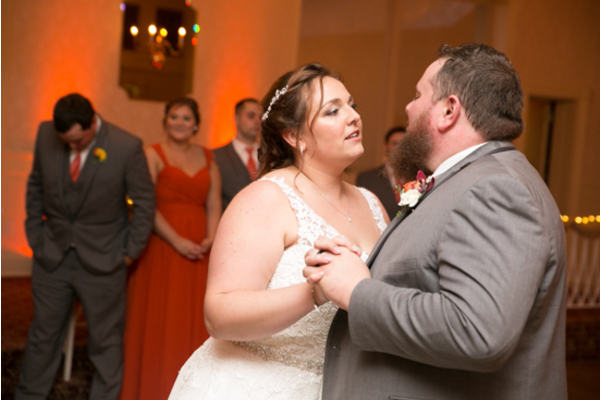 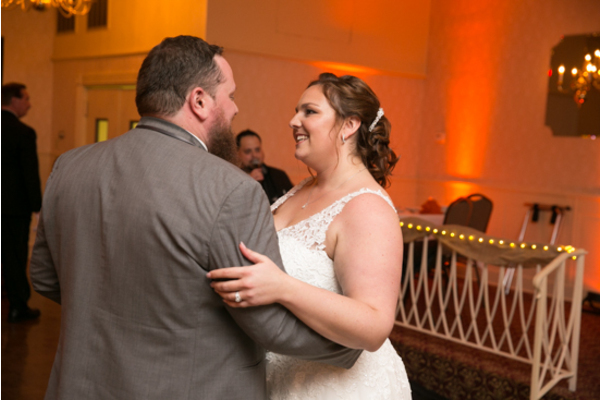 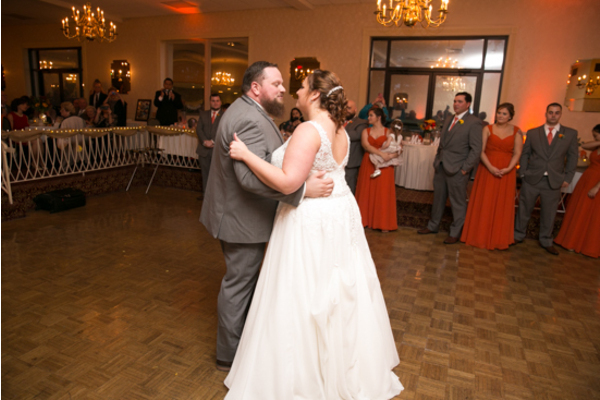 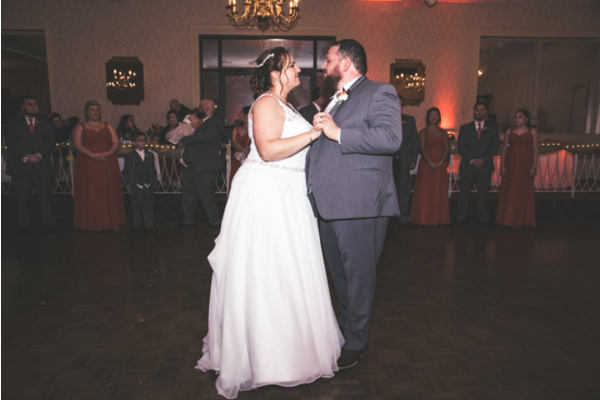 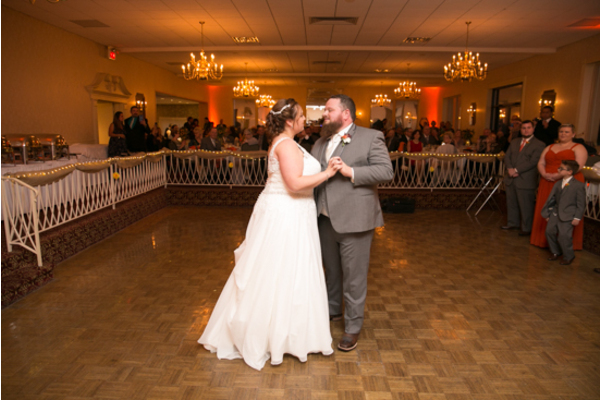 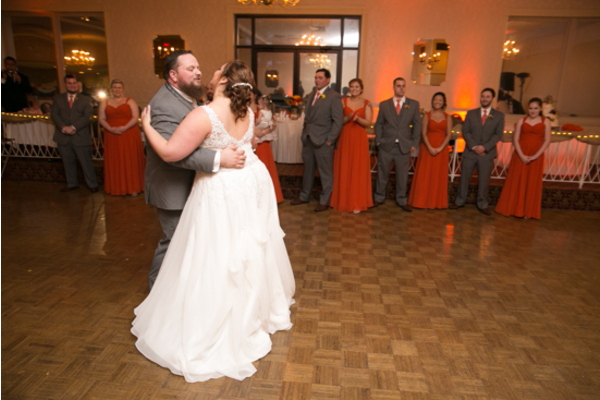 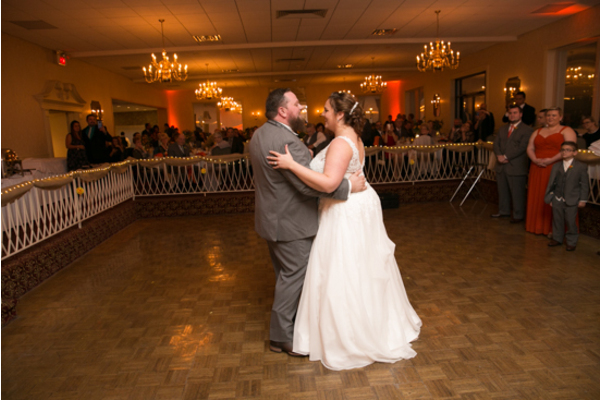 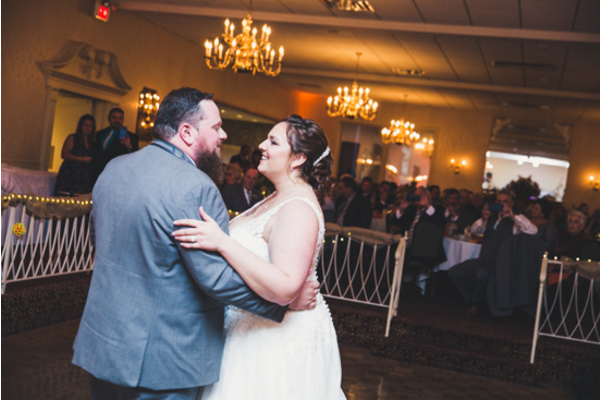 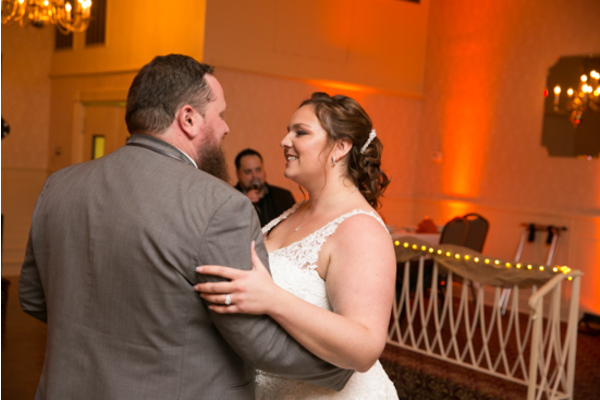 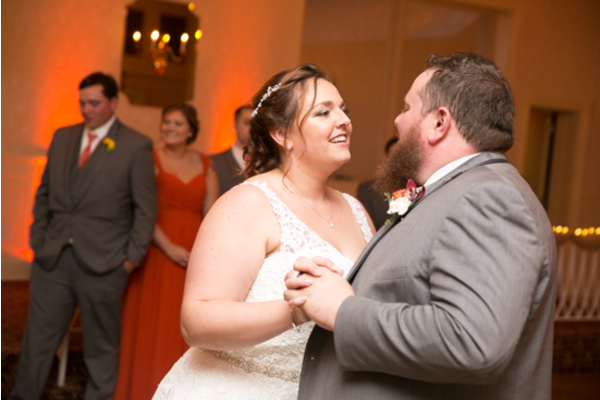 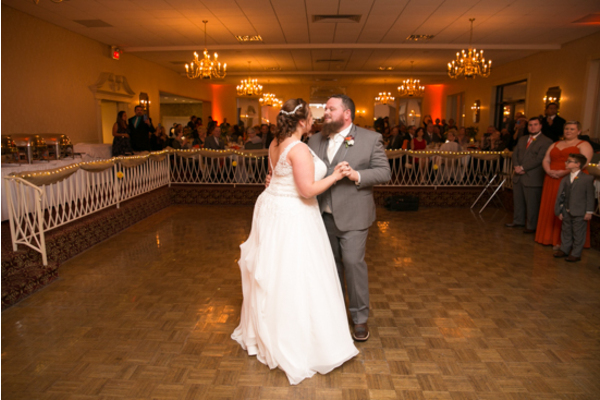 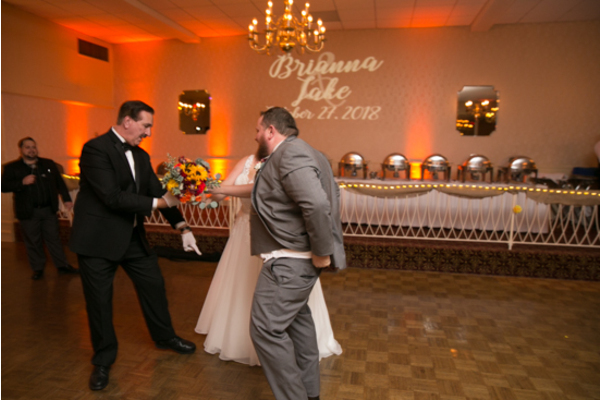 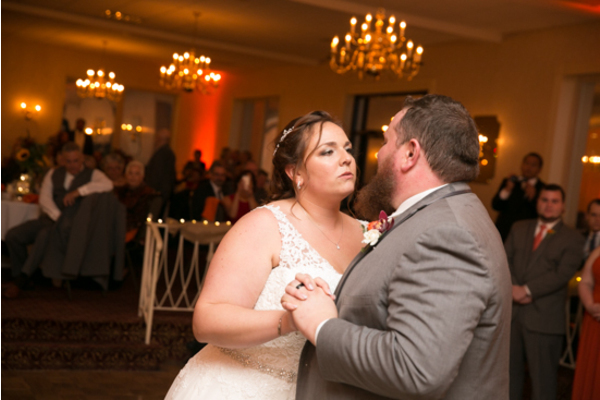 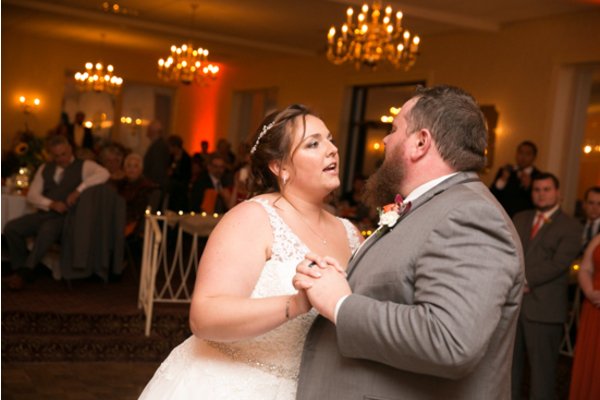 Of course, our NJ Wedding Photographer caught their first dance on camera. 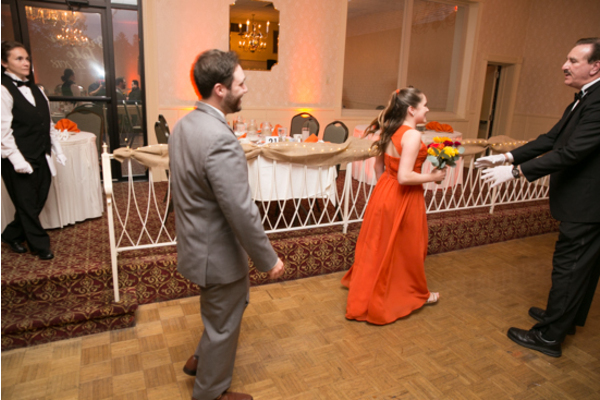 Once the speeches were given and the cake cut, guests had a blast dancing. 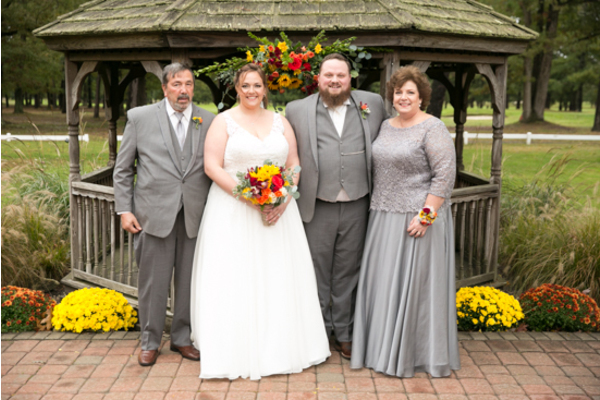 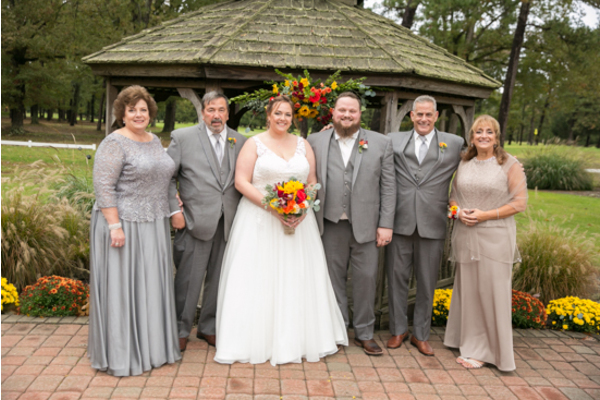 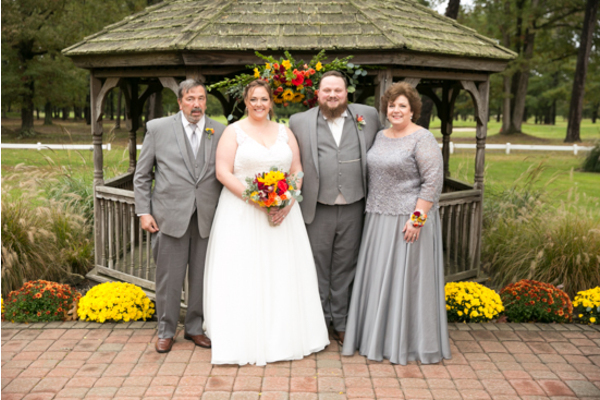 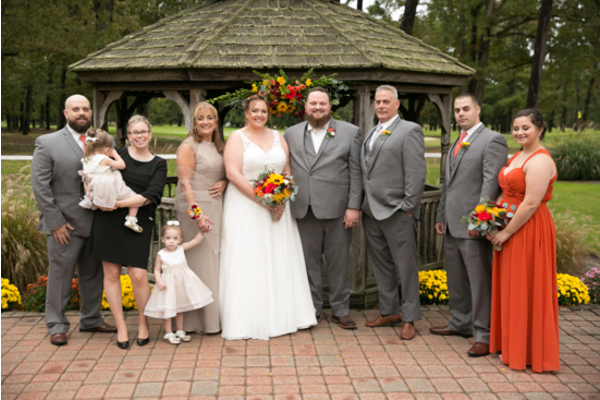 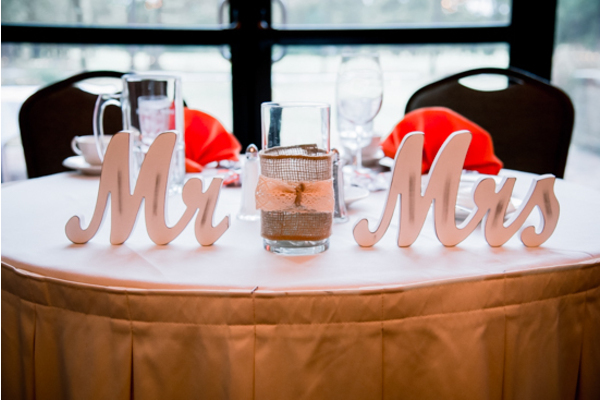 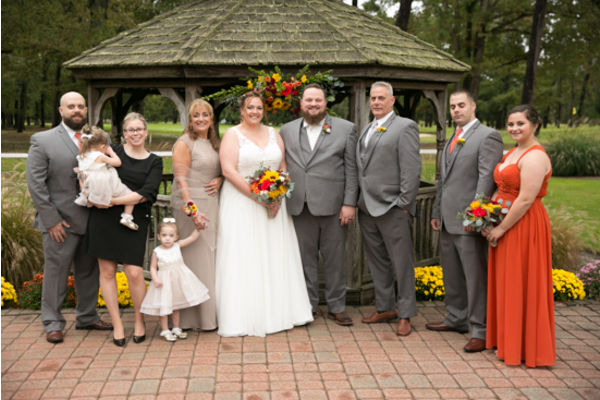 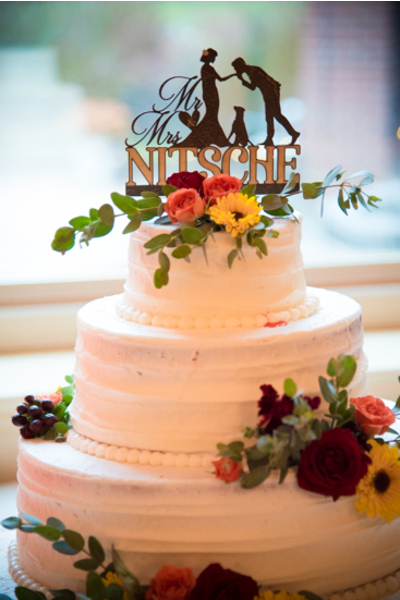 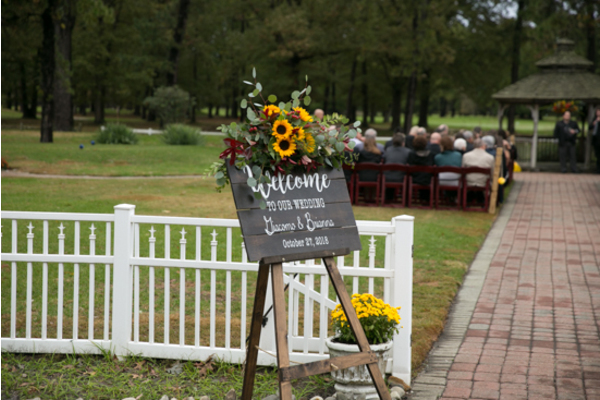 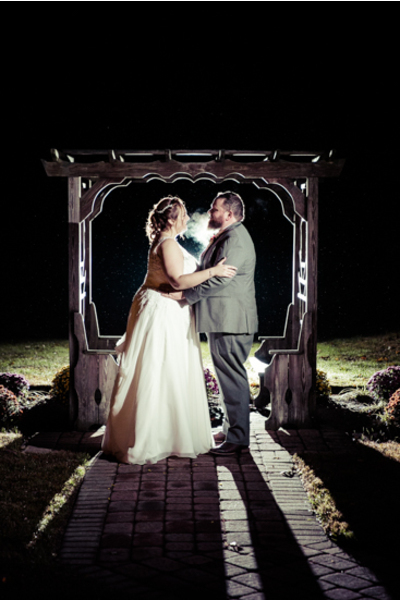 The rest of the reception was spent celebrating the union of a family on this magical fall night! 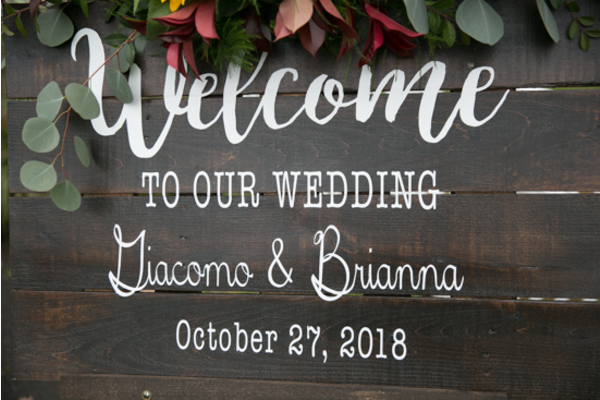 Congratulations, again, to Brianna and Giacomo. 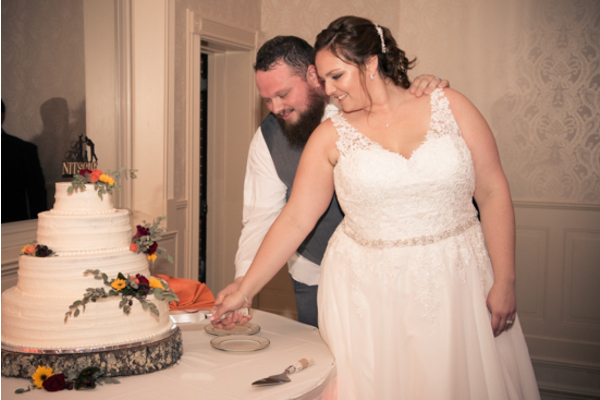 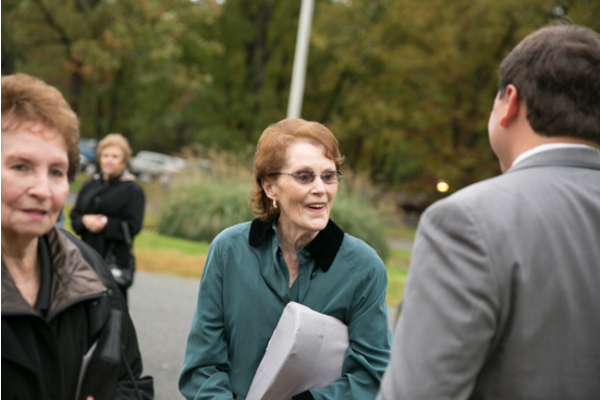 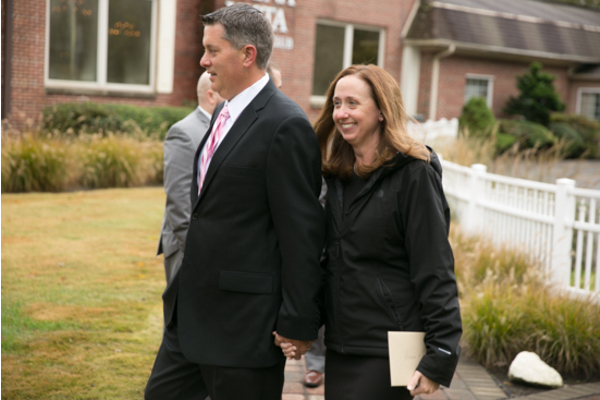 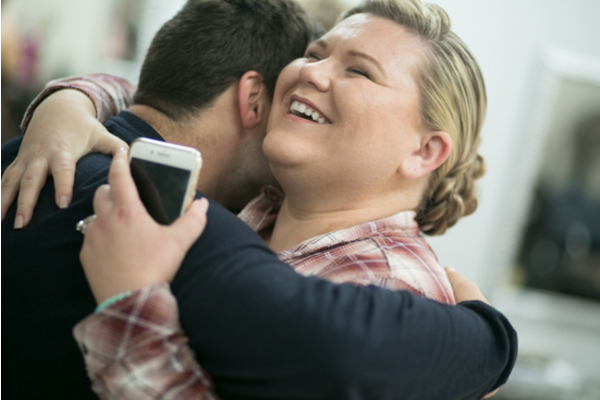 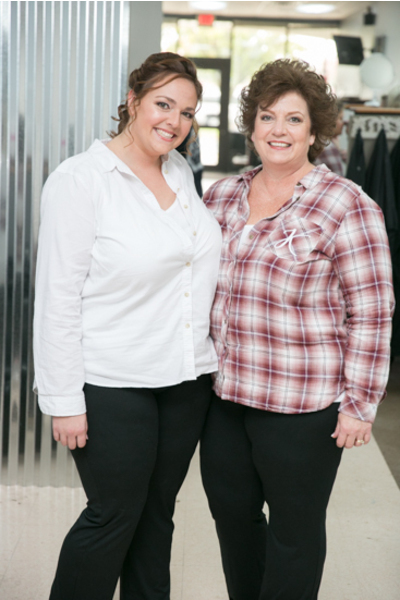 We are so grateful to have been able to be there to celebrate!